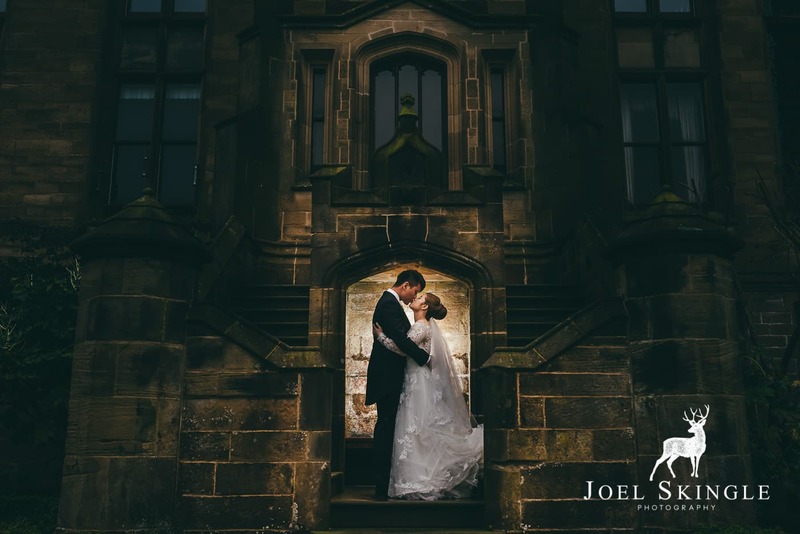 It really has been so much fun putting this blog post together – its quite incredible just how many weddings I’ve been so lucky to shoot in the last year and this year is looking even busier! 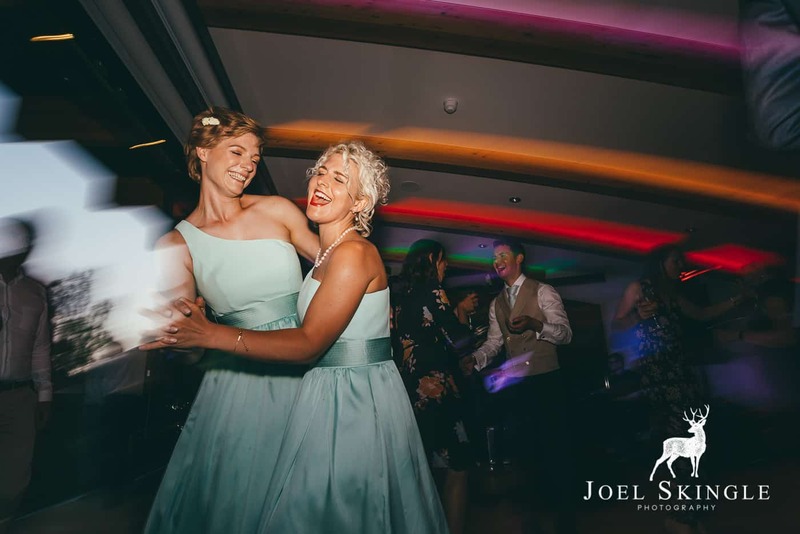 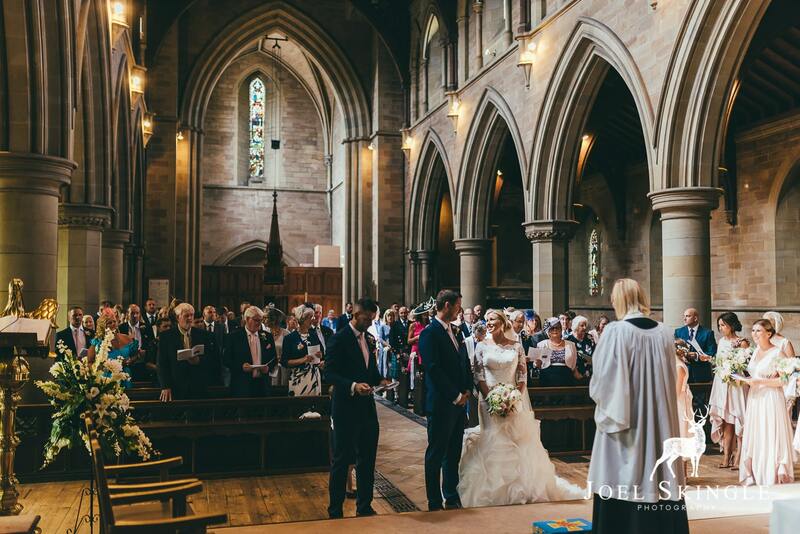 I have to say a huge thank you to all of my couples – there has been such a range of different types of weddings in 2018; but without you guys laughing and dancing and crying; none of these images would be here. 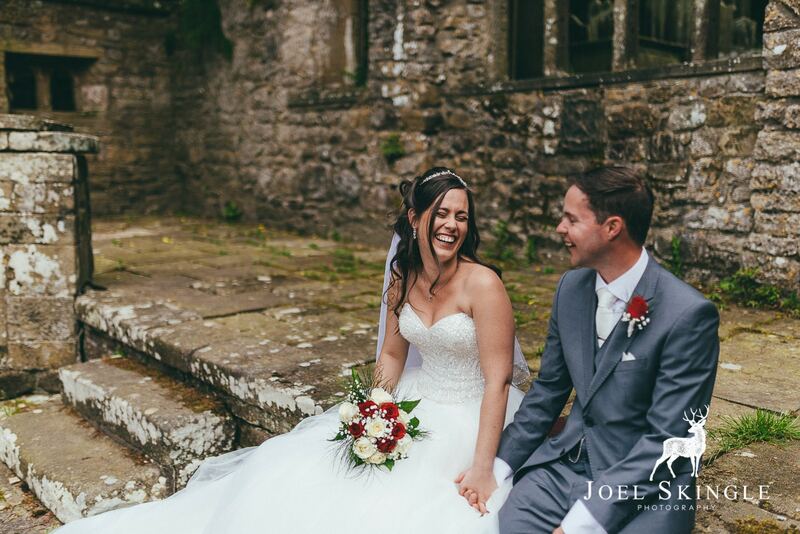 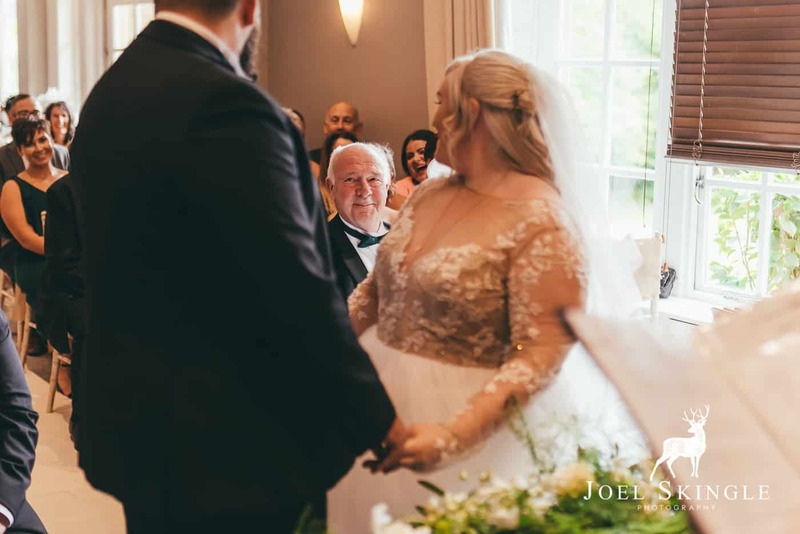 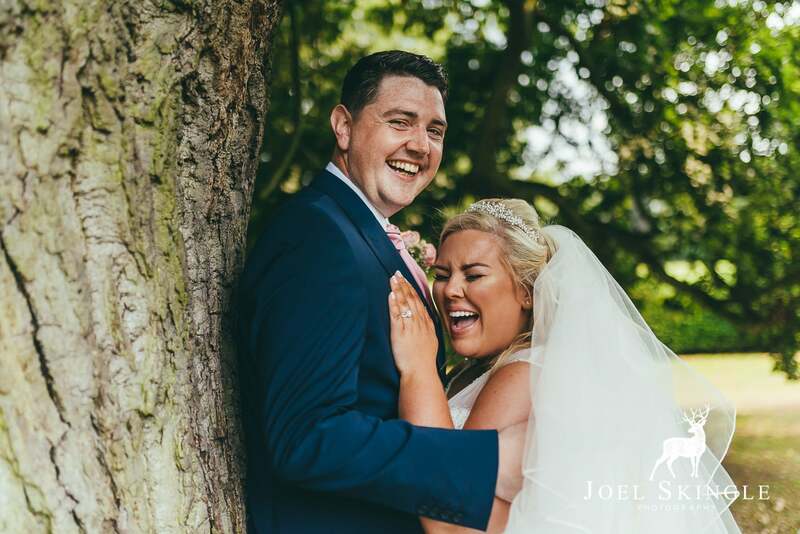 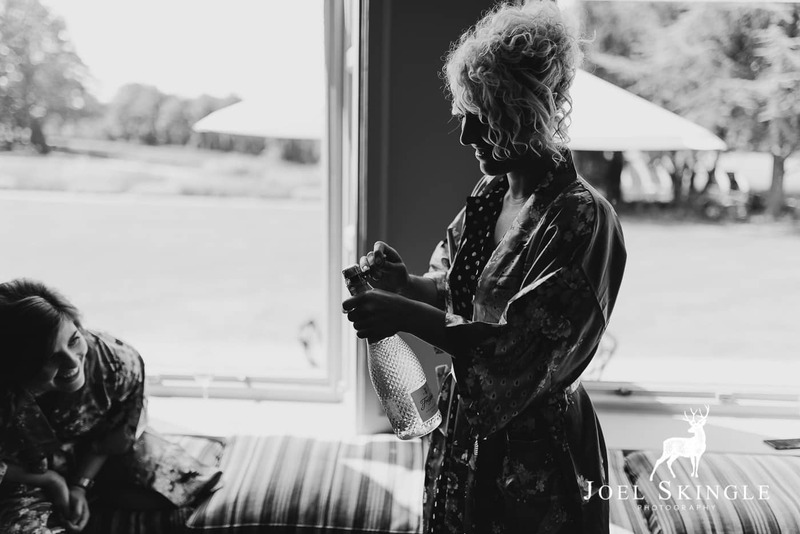 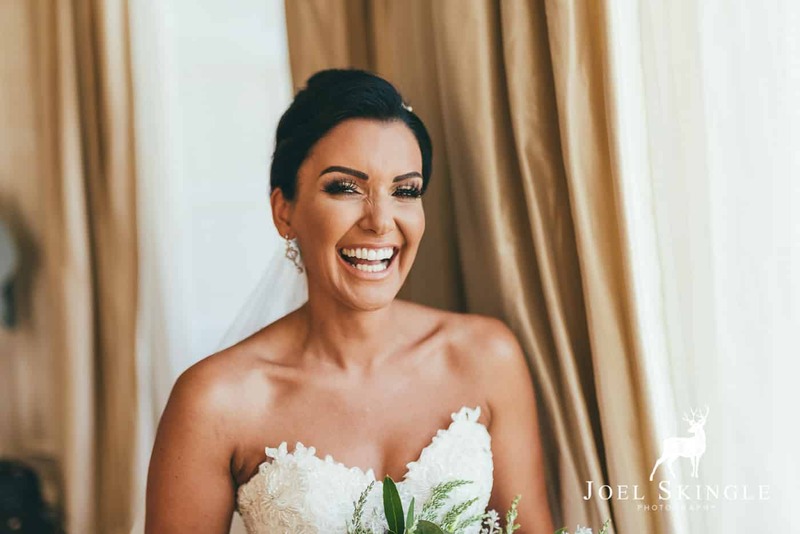 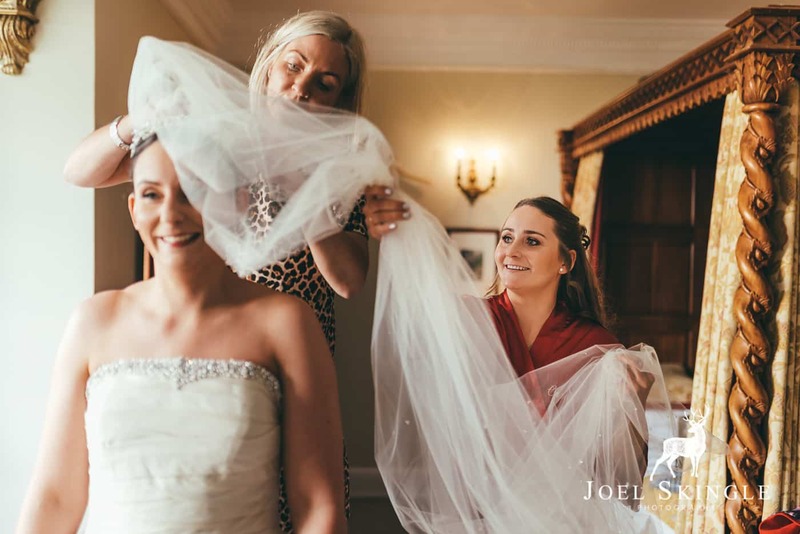 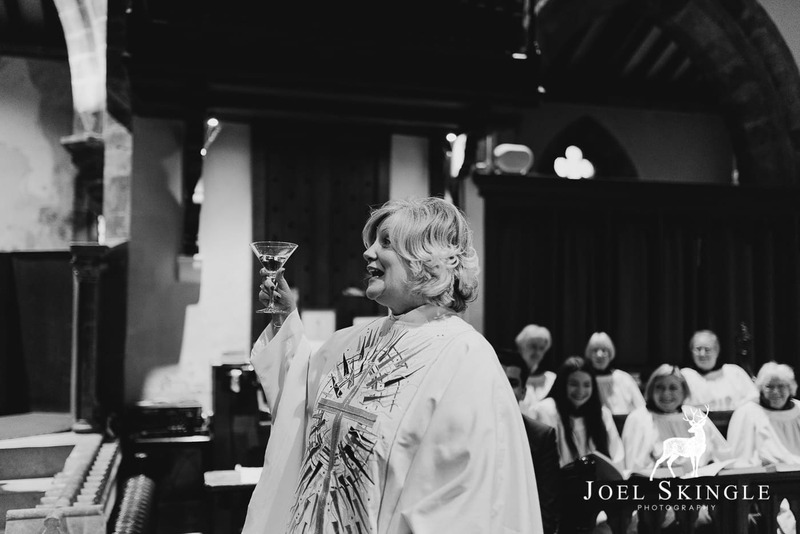 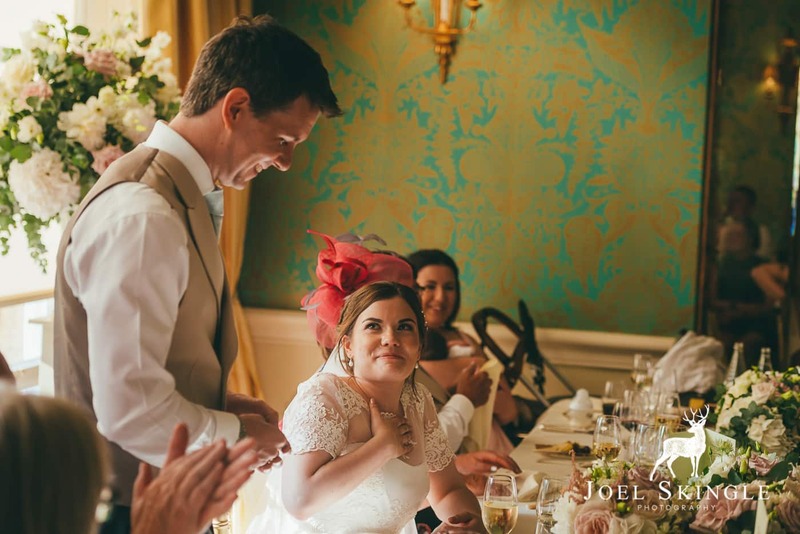 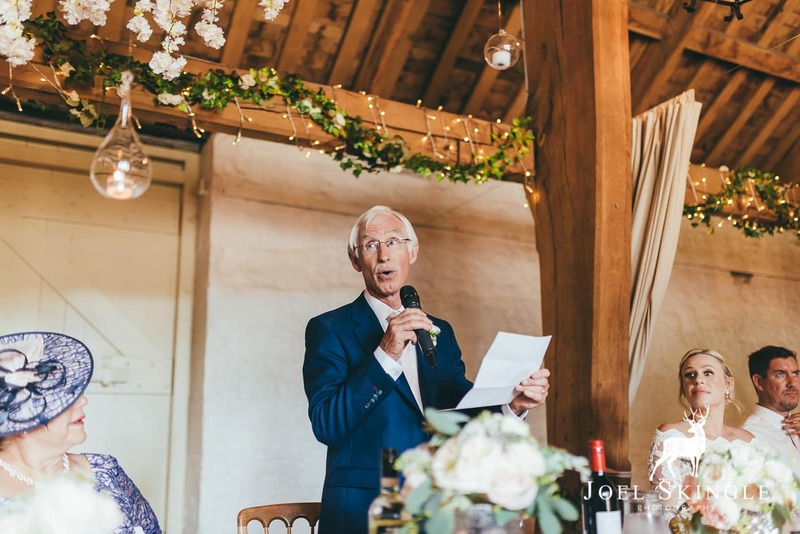 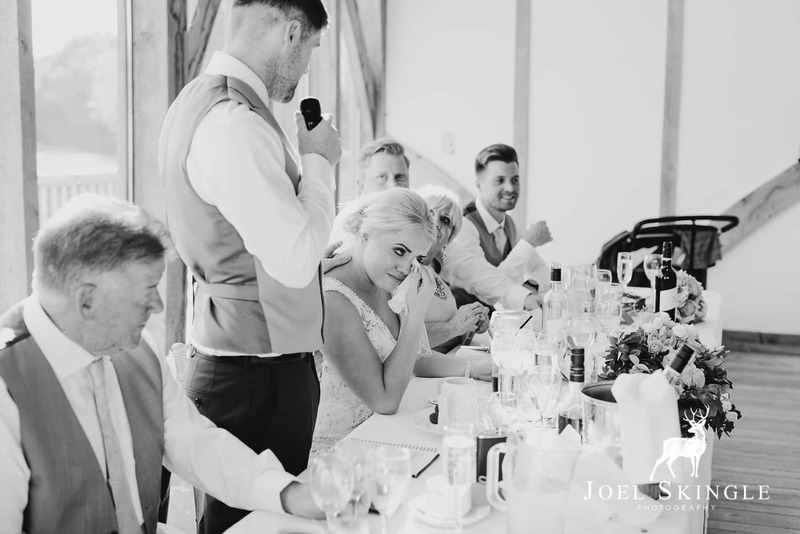 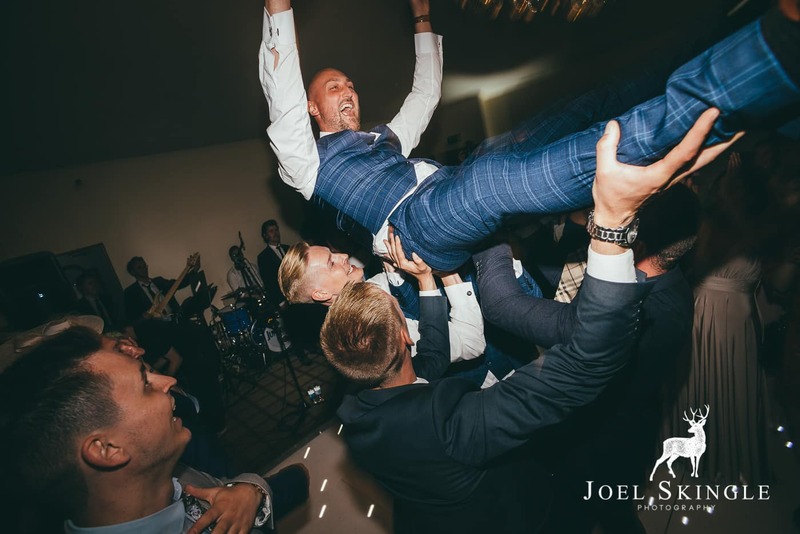 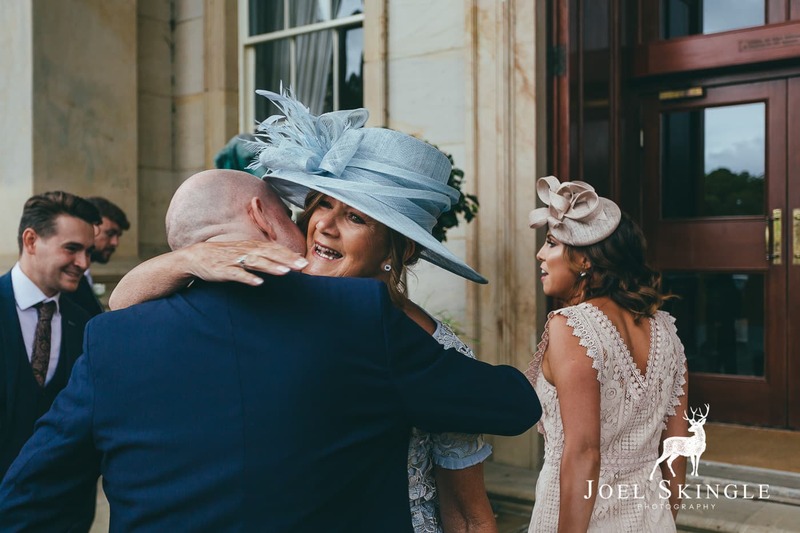 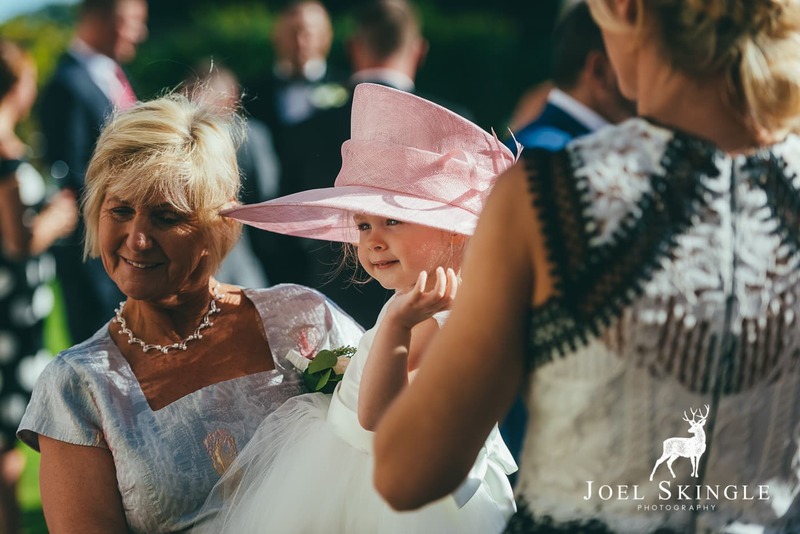 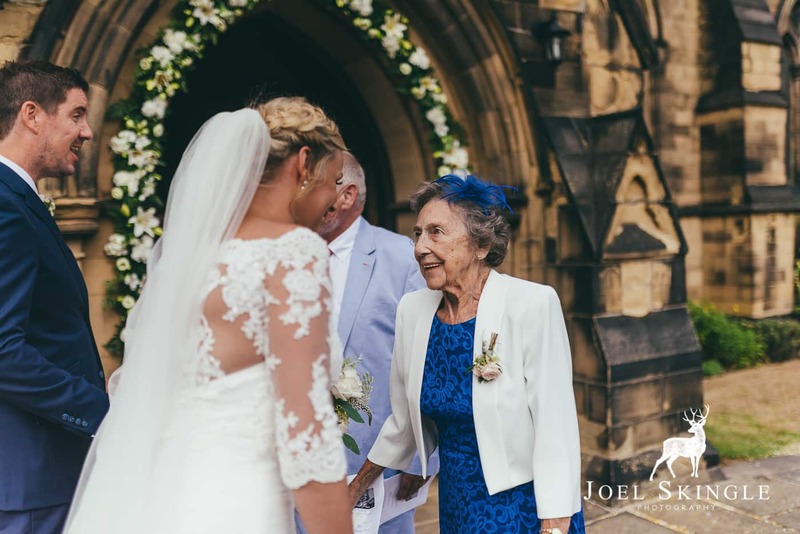 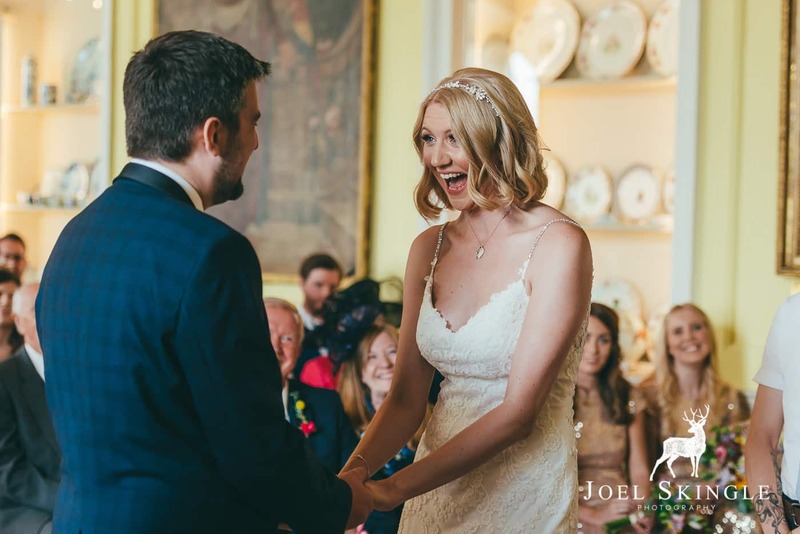 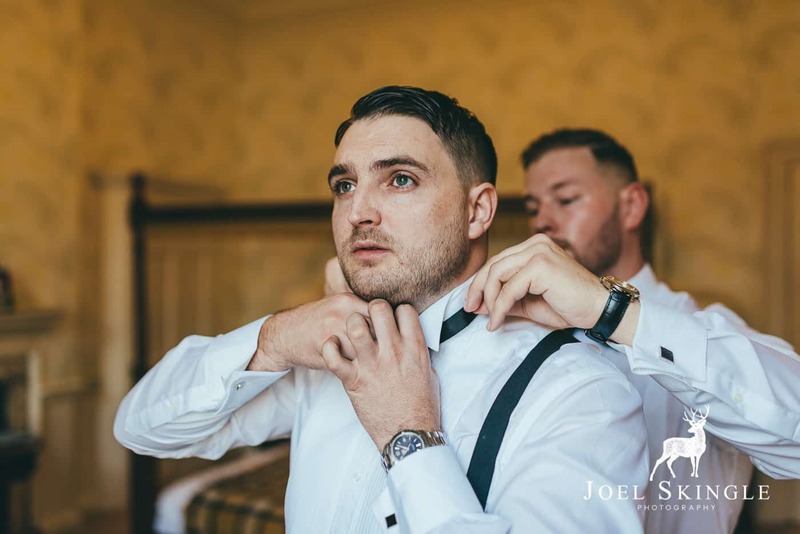 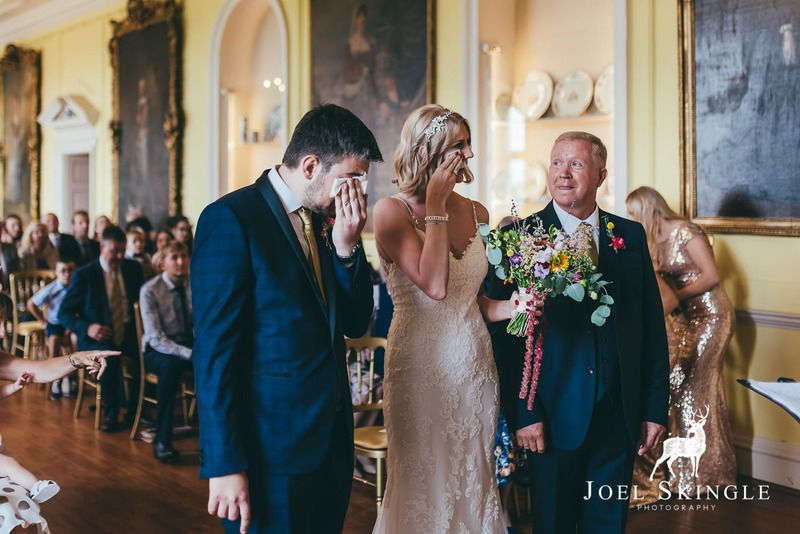 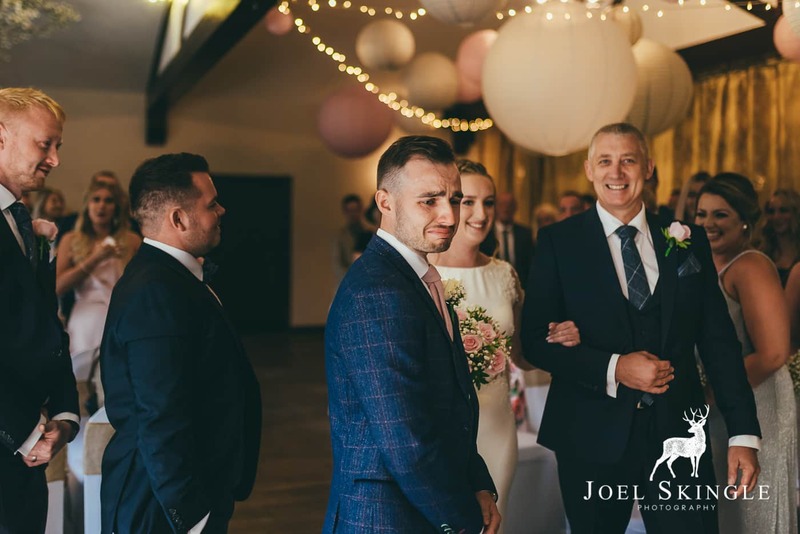 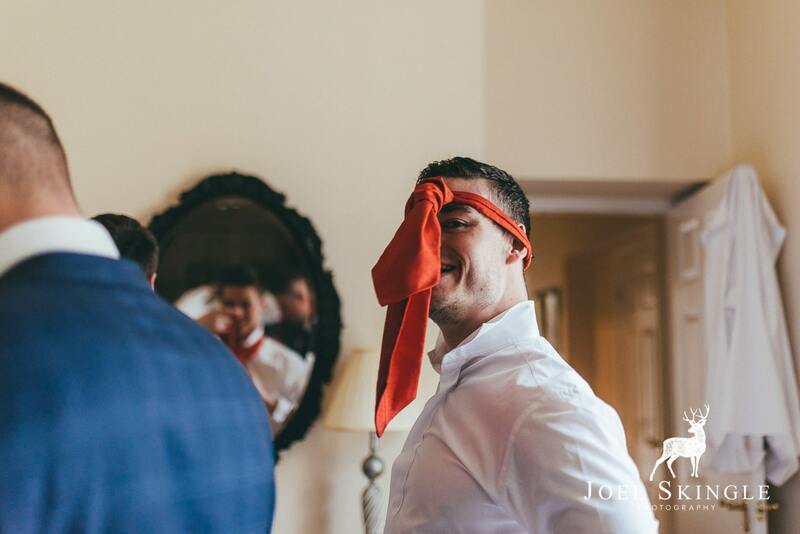 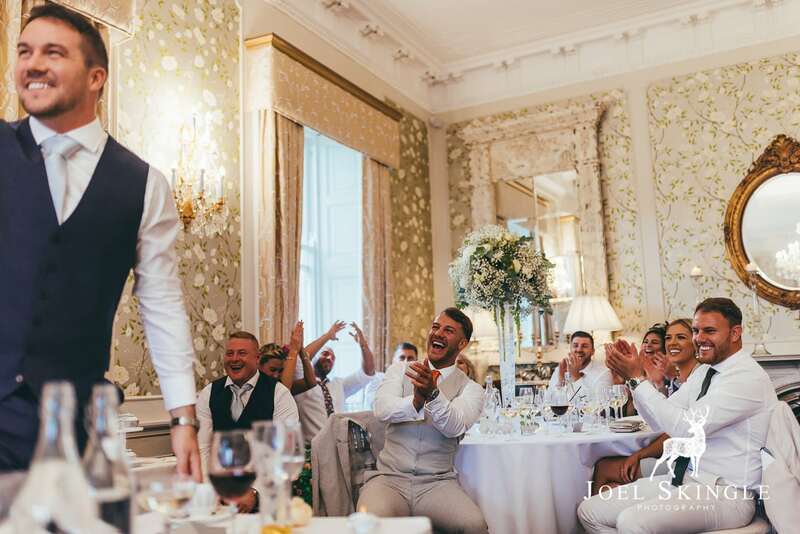 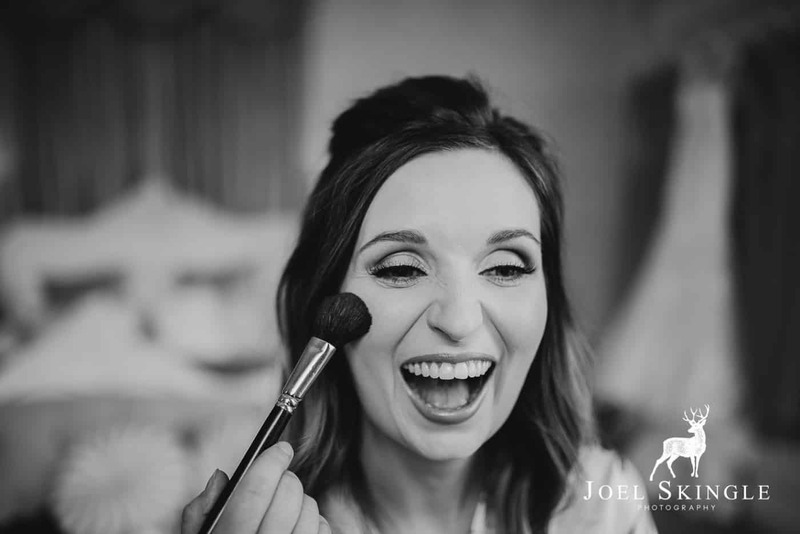 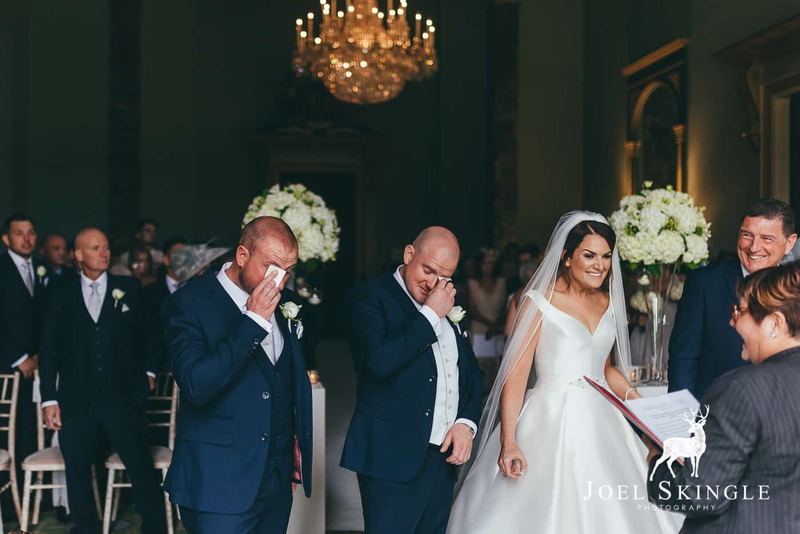 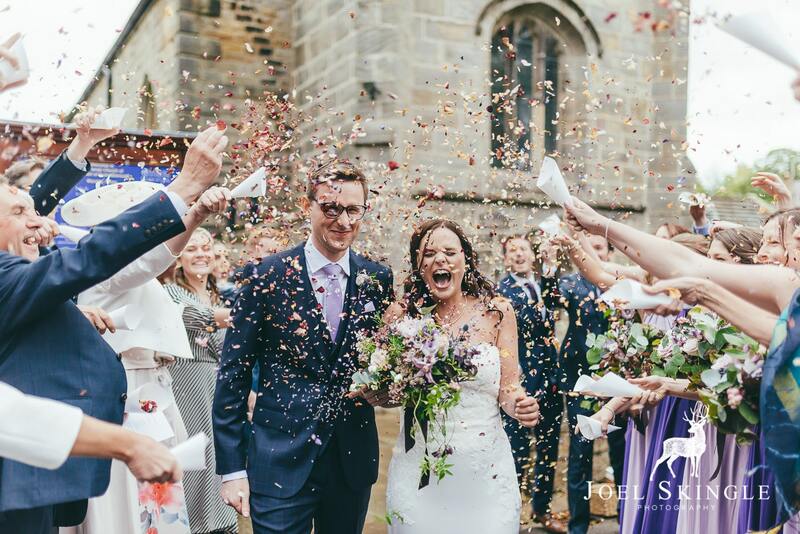 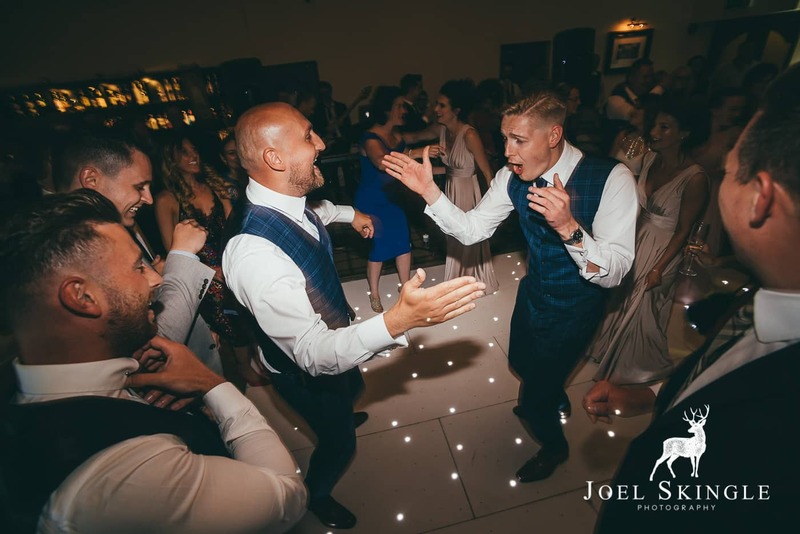 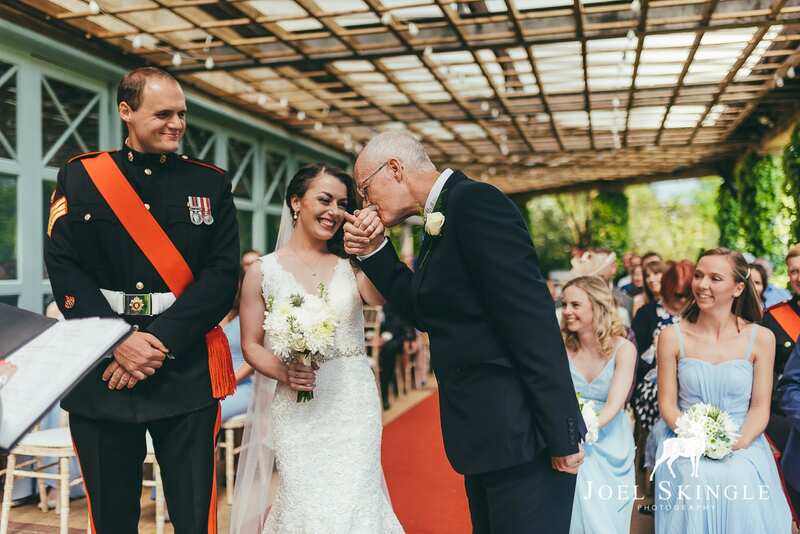 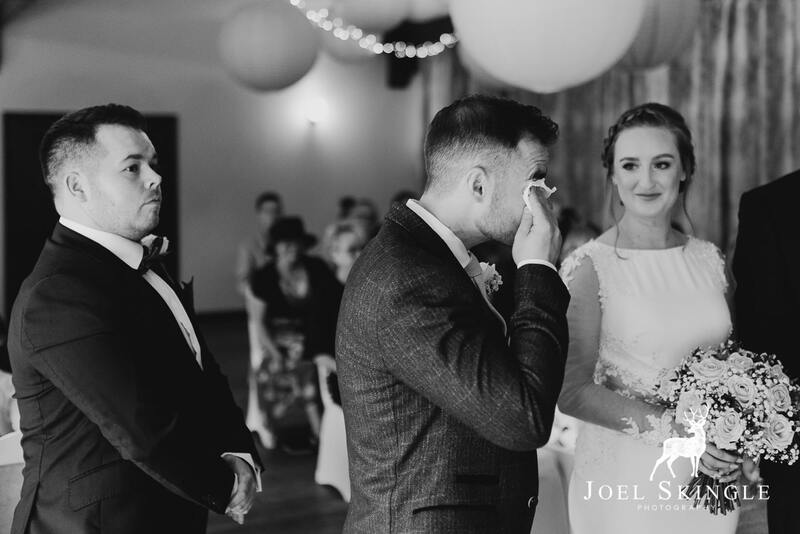 The emotion throughout a wedding day is just immense – and I hope I’ve shown just a bit of that through the pictures below. 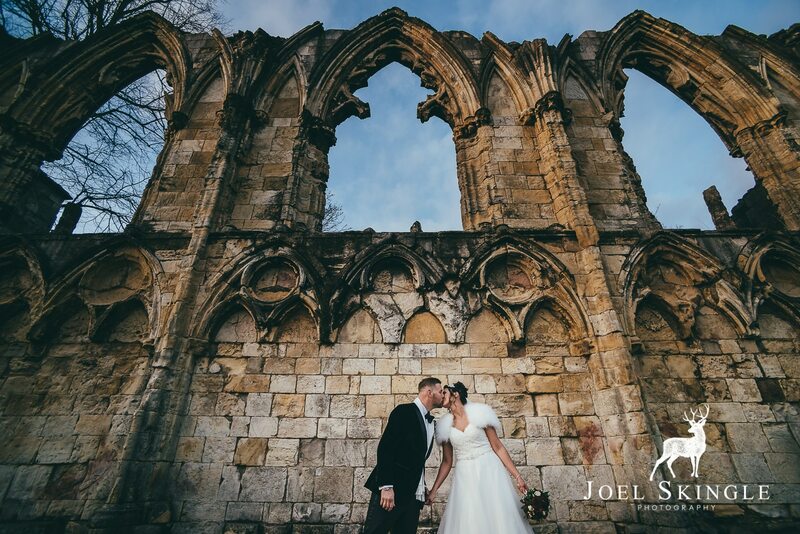 It is so hard to whittle down a year of images into such a small selection! 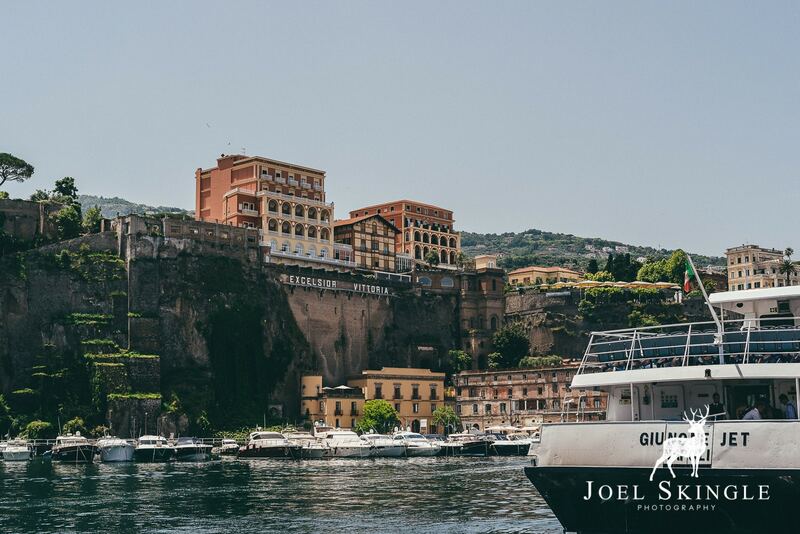 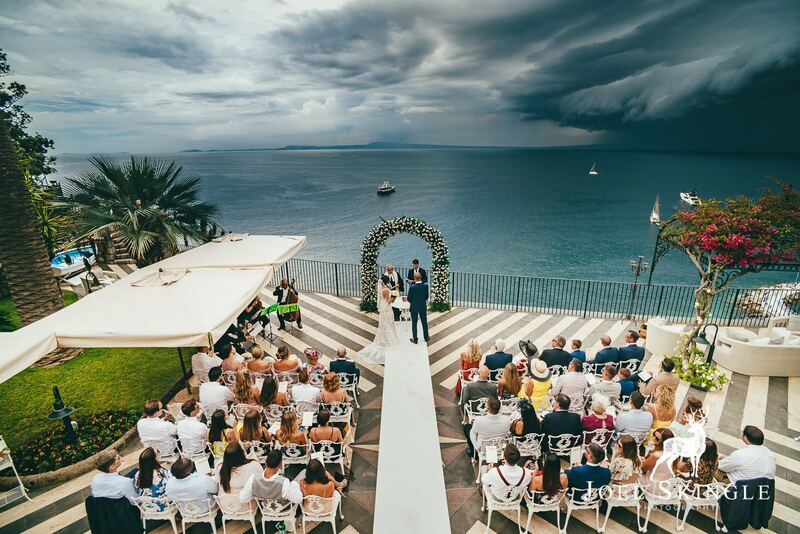 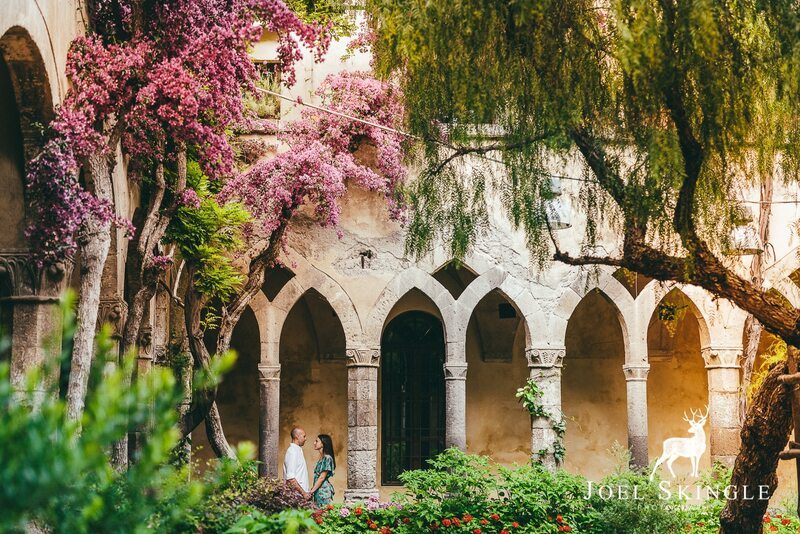 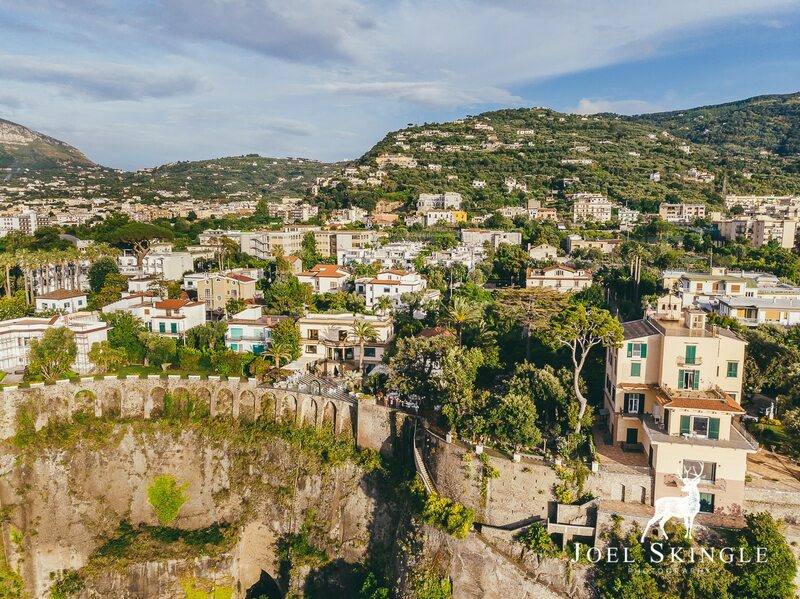 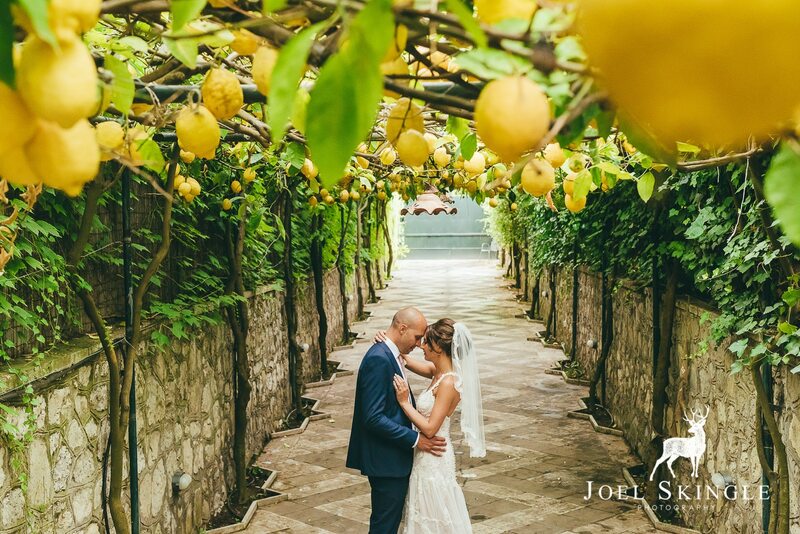 I’ve been lucky enough to shoot two destination weddings this year as well – Lucy & Dan chose me as their Sorrento wedding photographer and then Amy & Rob took me out to Greece as their Rhodes wedding photographer; two awesome weddings with great people & plenty of sunshine (plus a pretty terrifying storm on the way in Italy; but let’s just forget about that!) 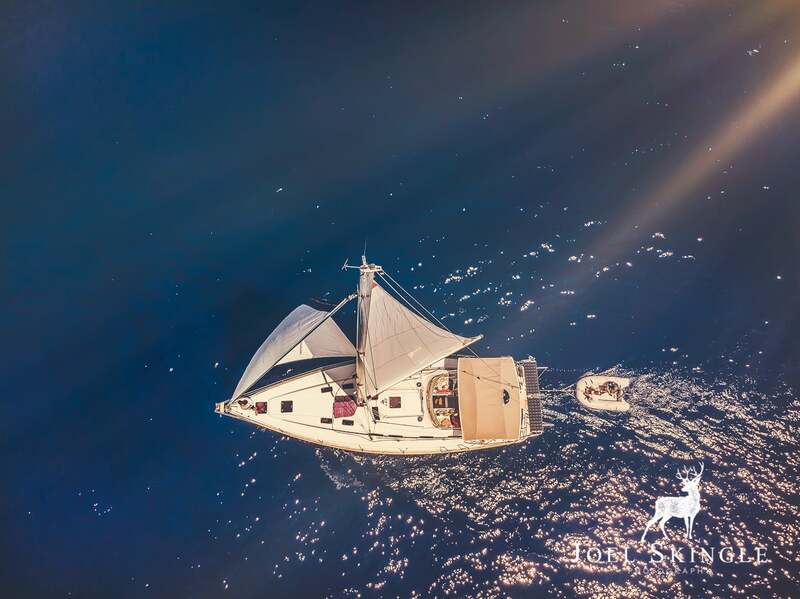 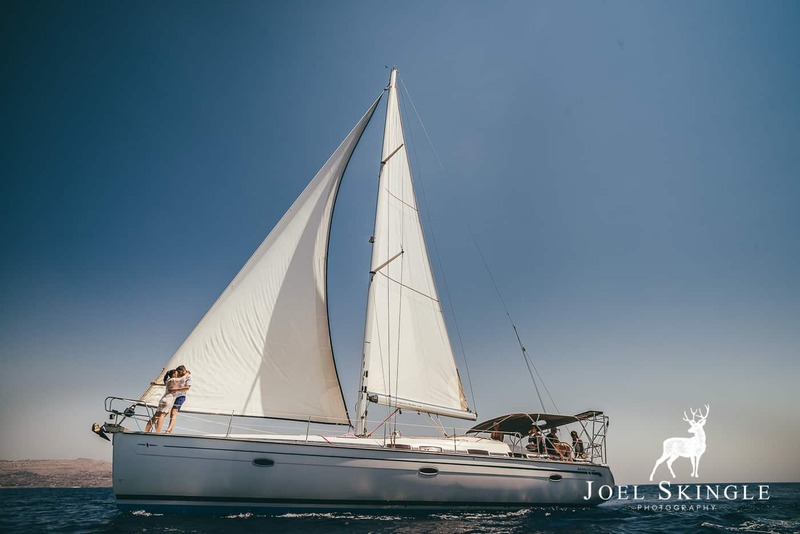 The fantastic yacht trip the day after Amy & Rob’s wedding in Rhodes will never be forgotten – what a way to spend the day! 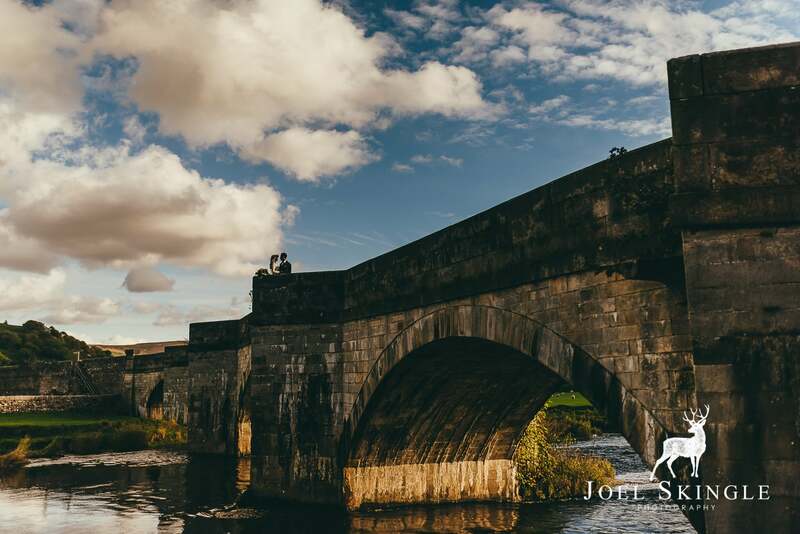 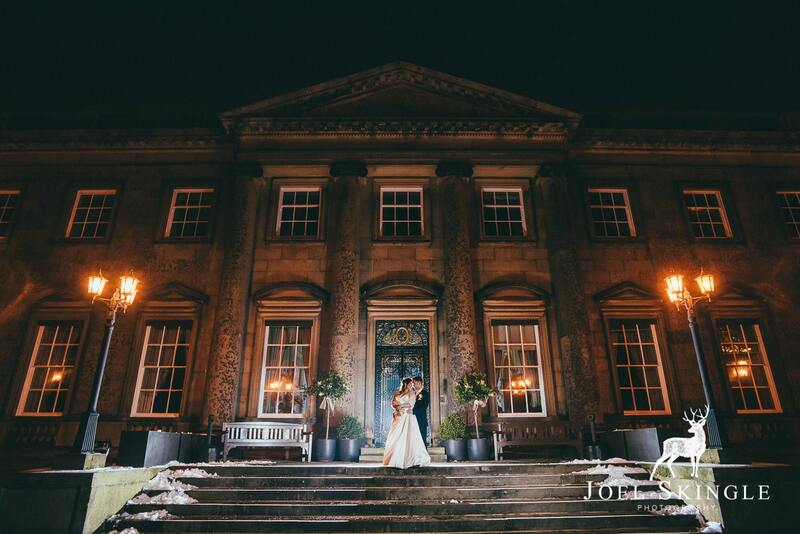 I’ve traveled around the UK this year as well, discovering new gorgeous venues on my doorstep & further away too. 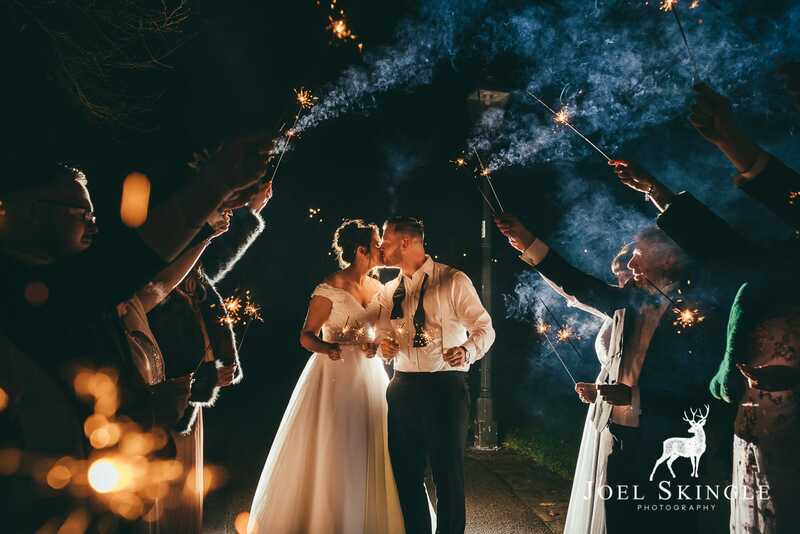 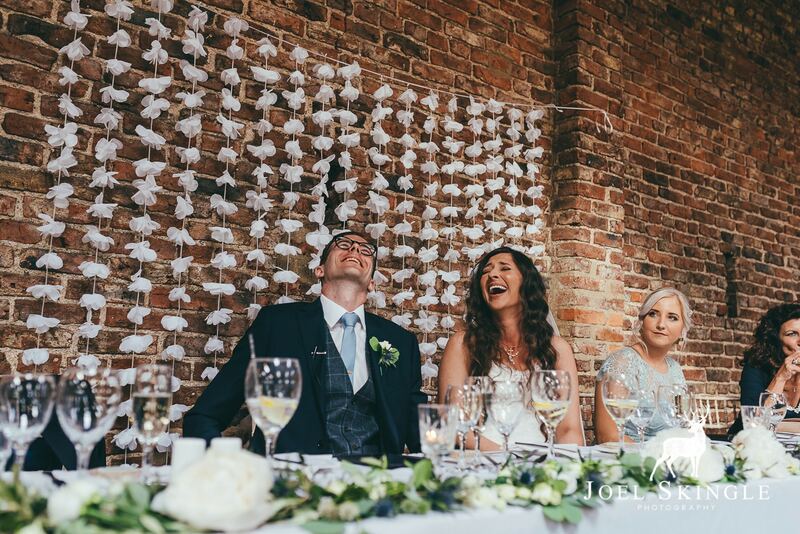 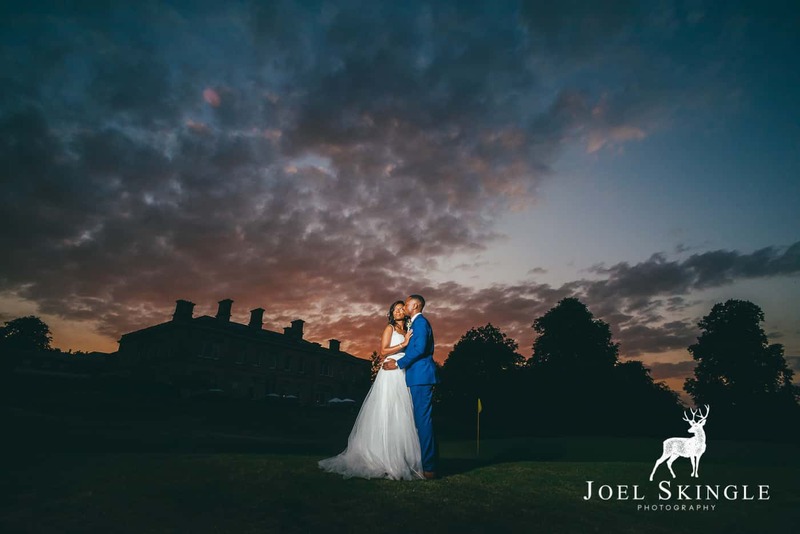 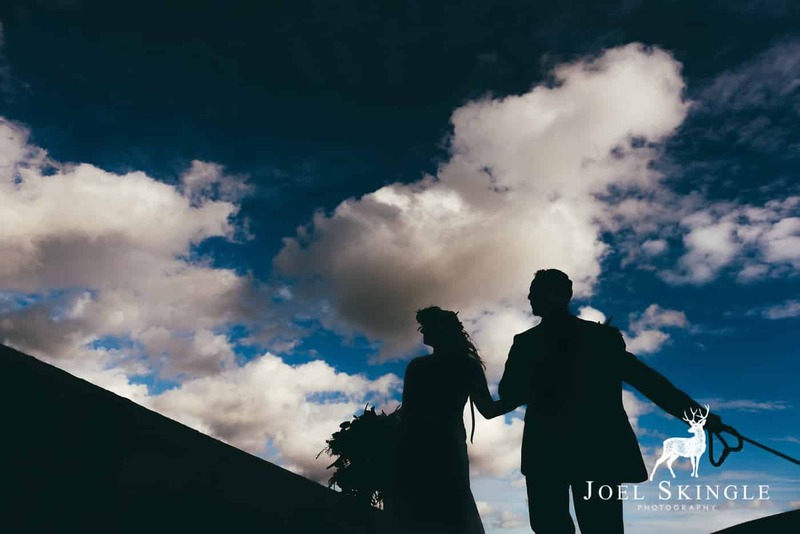 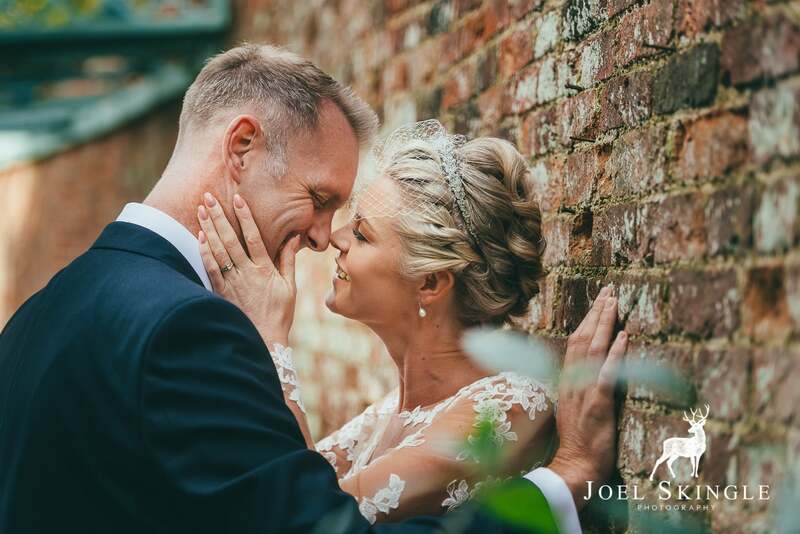 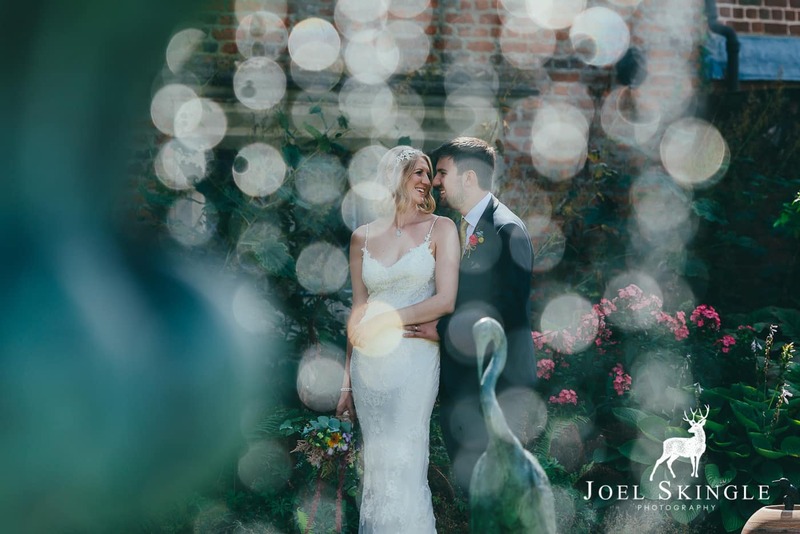 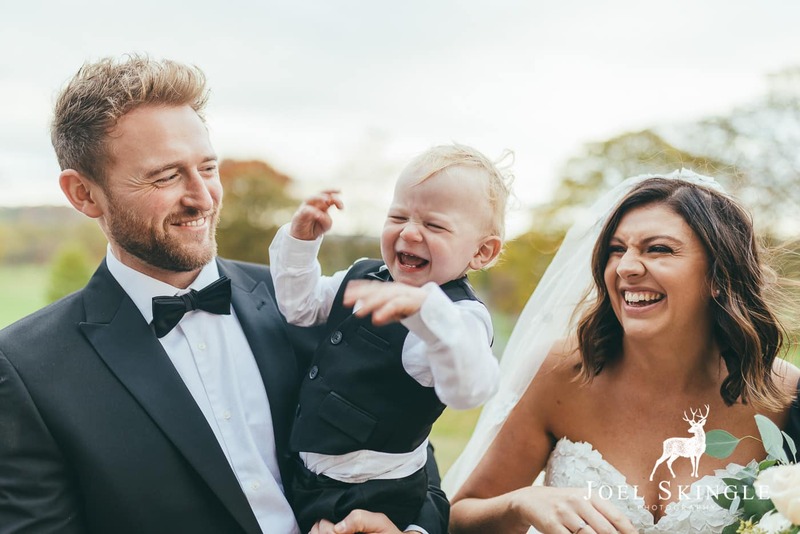 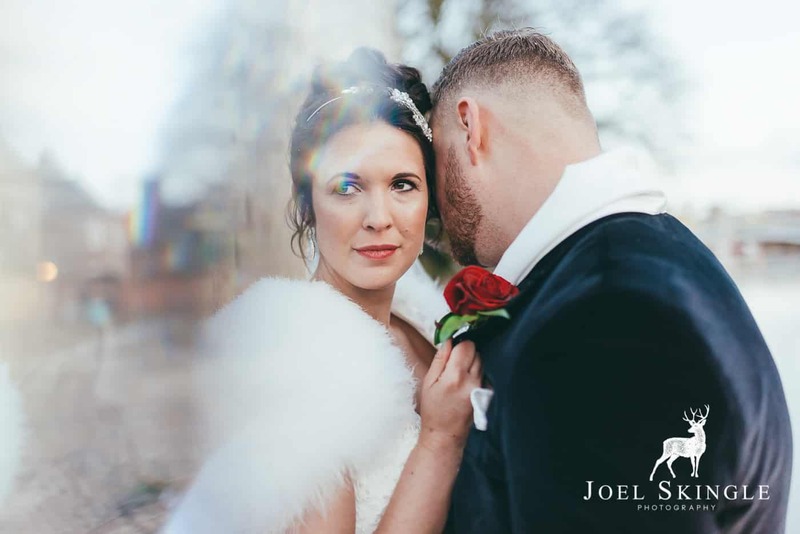 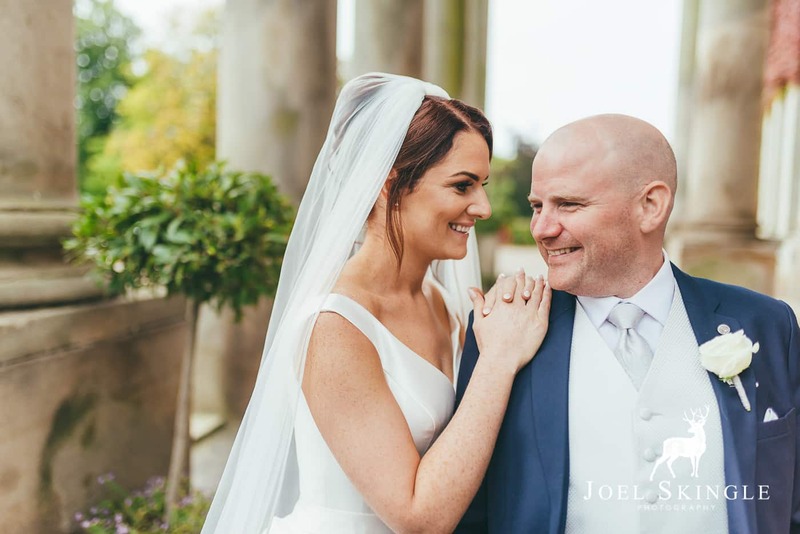 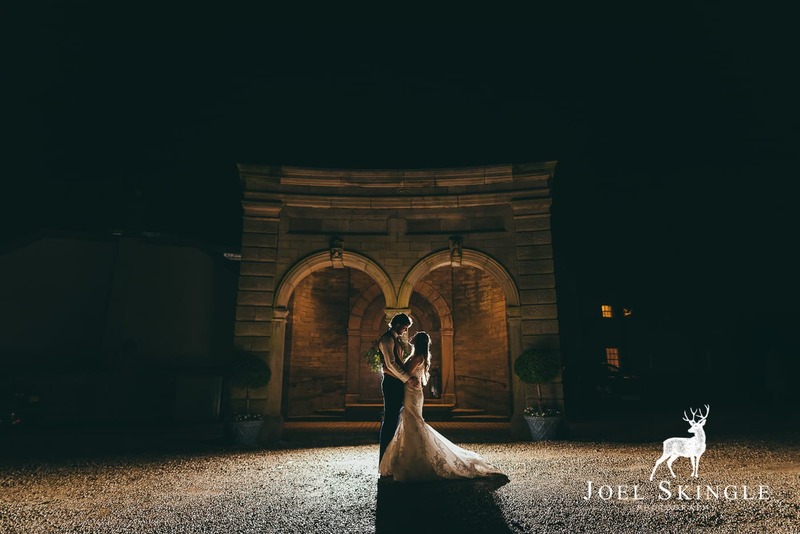 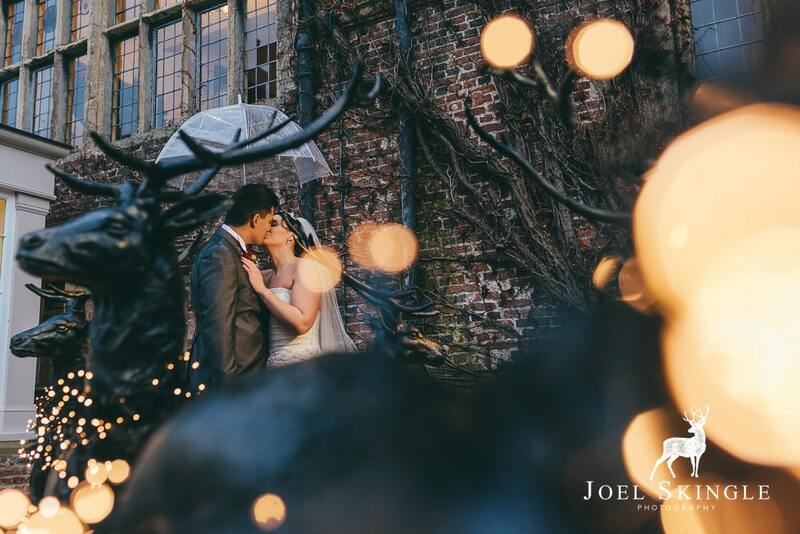 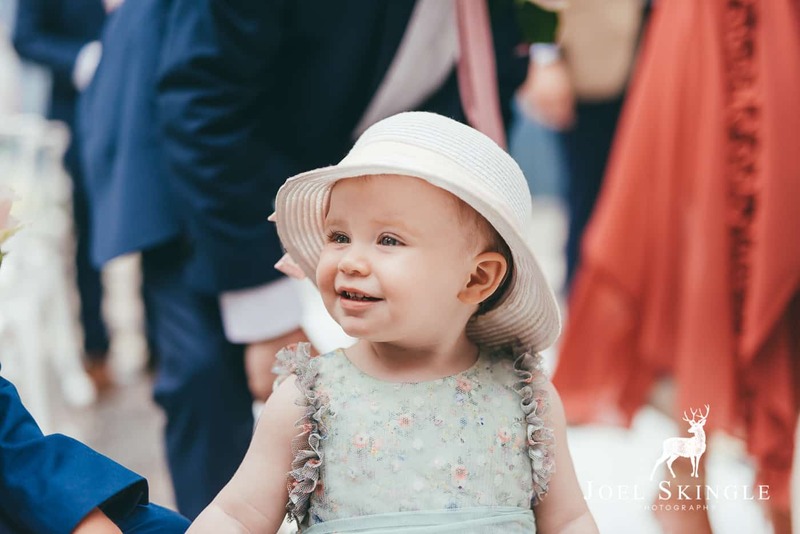 Naomi & Matthew’s gorgeous day when they chose me as their Doddington Hall wedding photographer was fabulous – such a beautiful place with gorgeous gardens; and a couple who were so much fun as well. 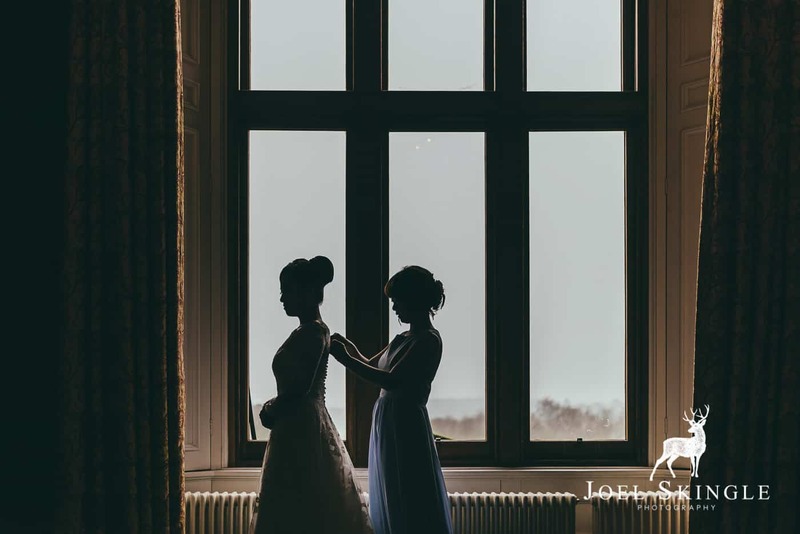 Closer to home; I’ve been a Lartington Hall wedding photographer for the first (and second and third and fourth!) 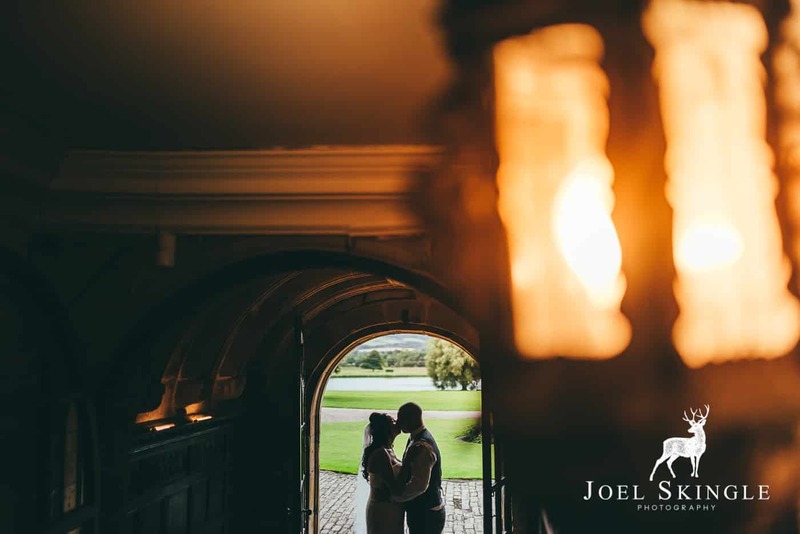 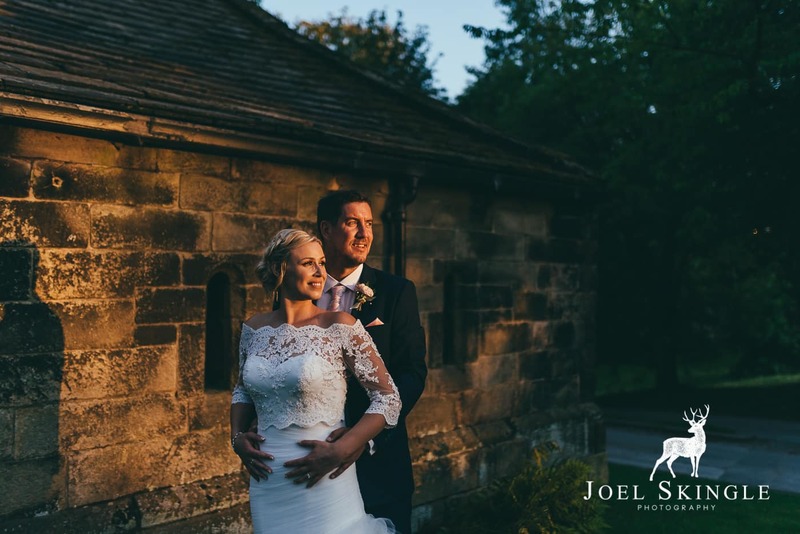 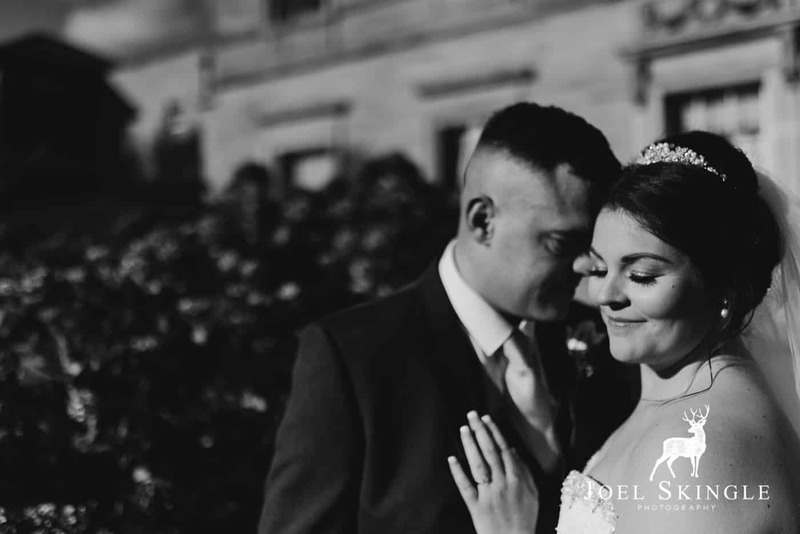 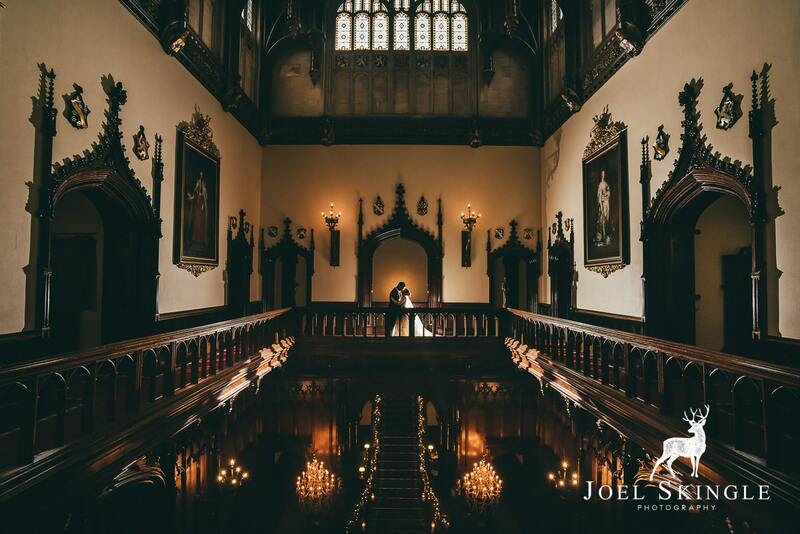 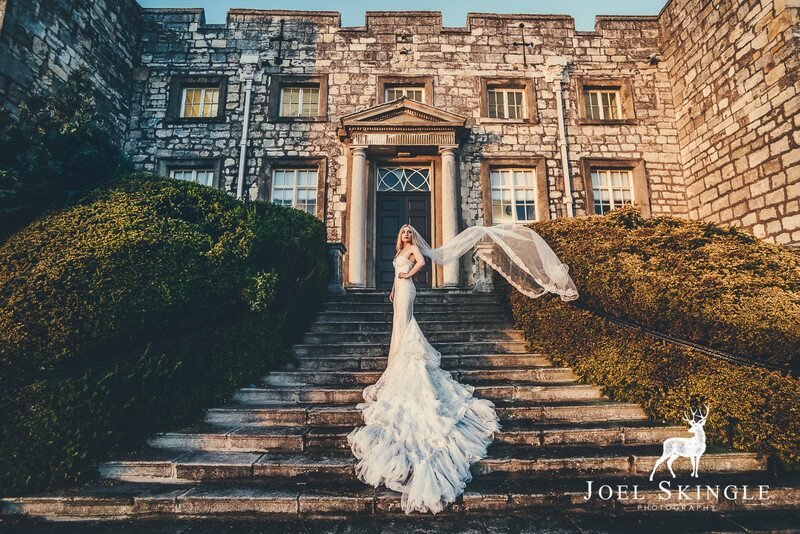 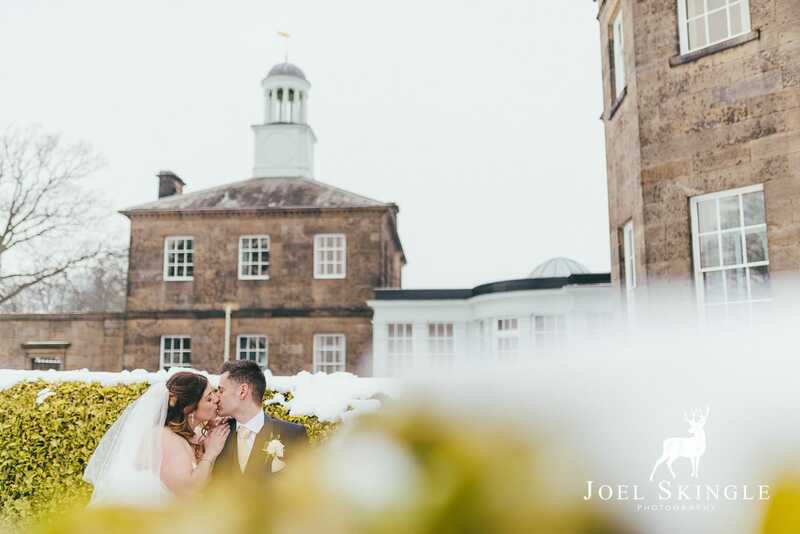 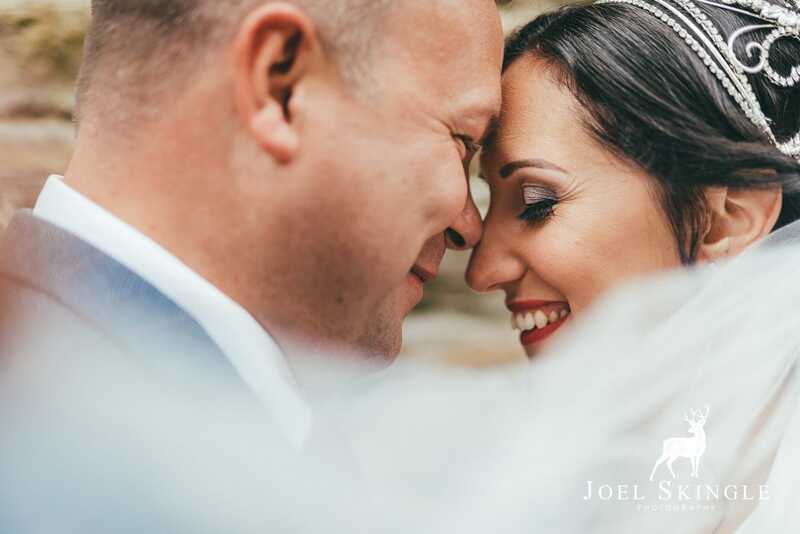 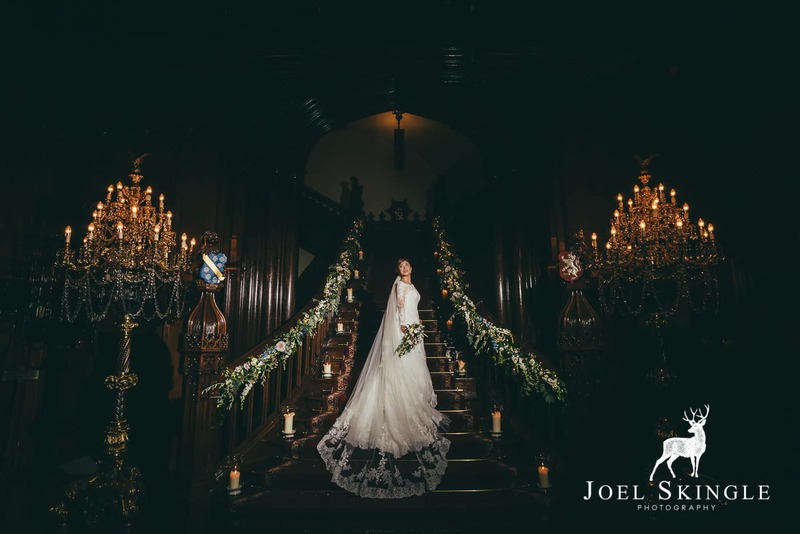 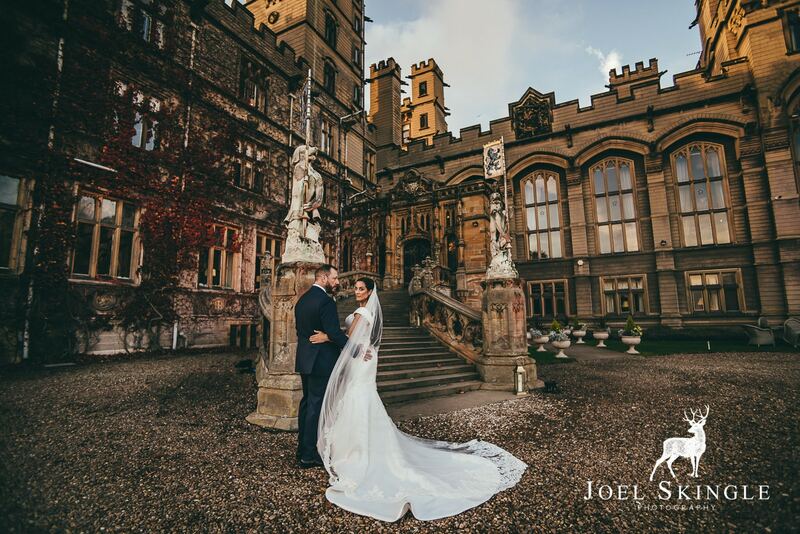 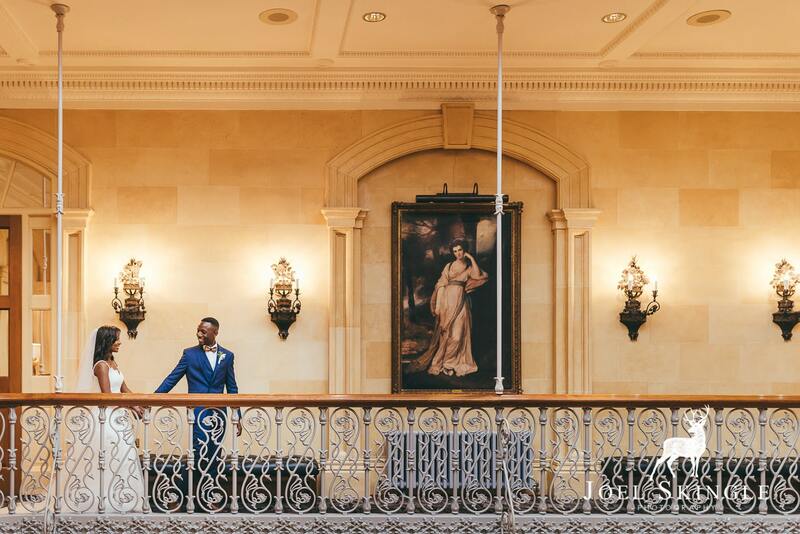 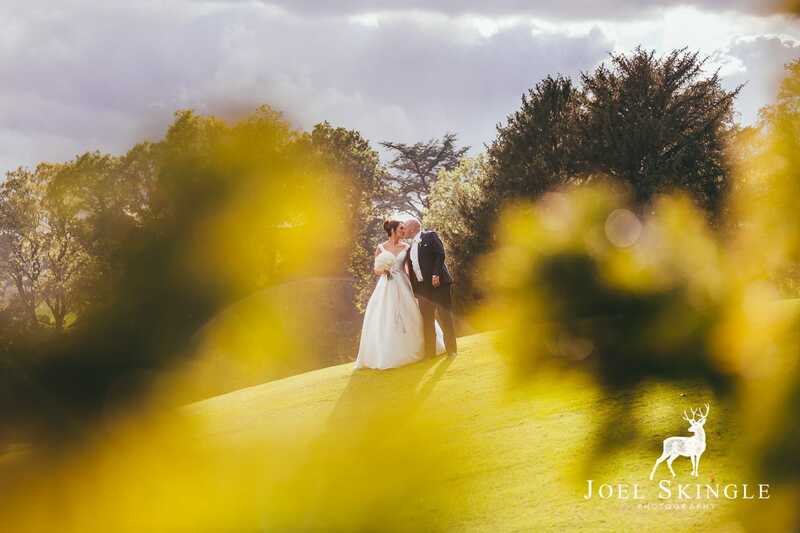 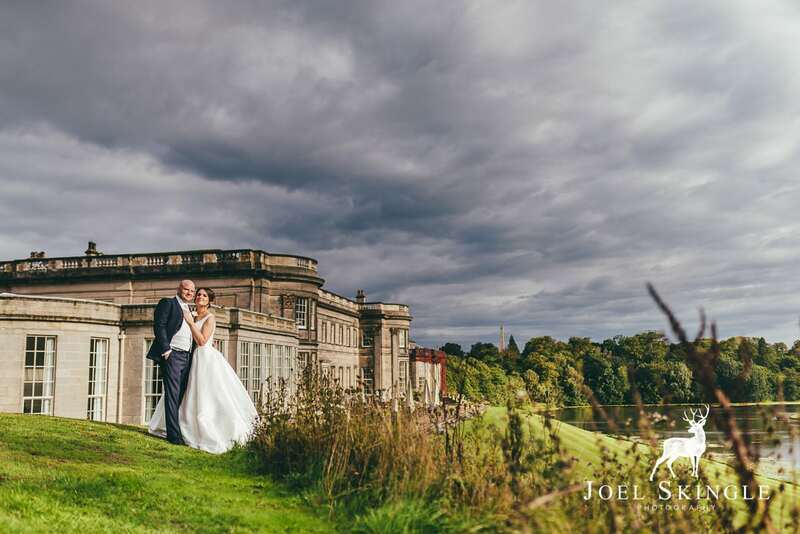 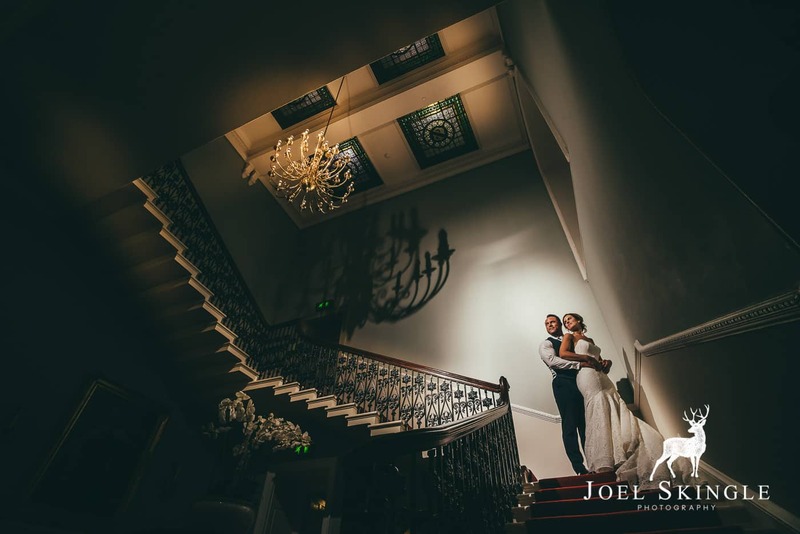 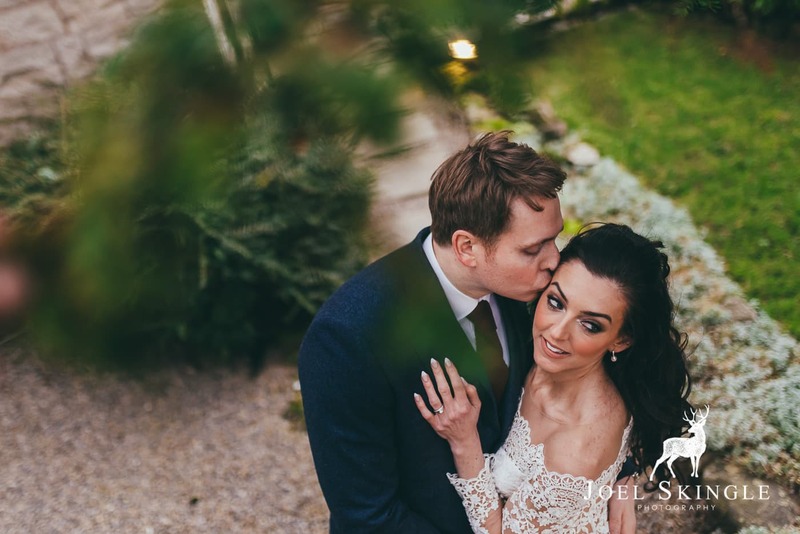 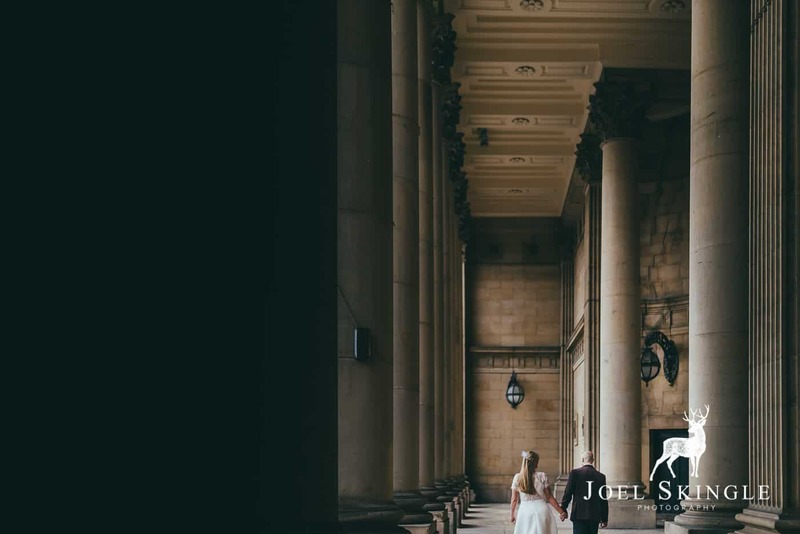 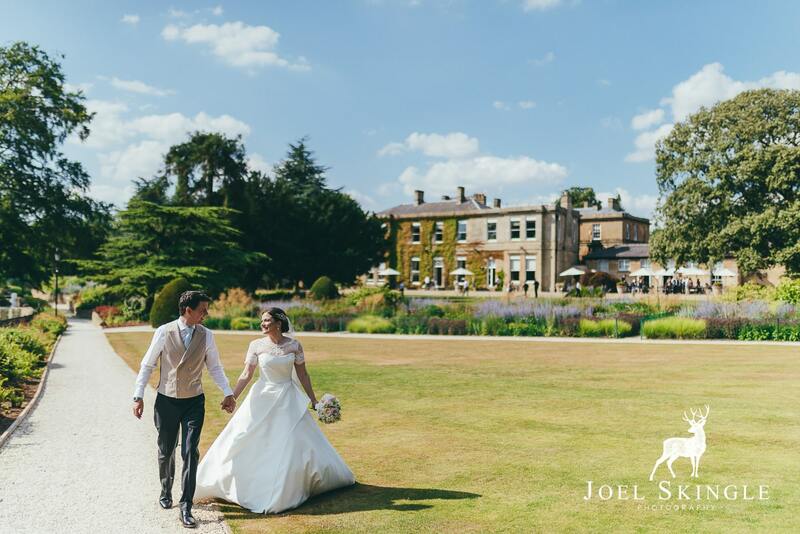 time this year, the incredible Allerton Castle has been as popular as ever, but the icing on the cake for me was getting to shoot at the impeccable Fig House at Middleton Lodge – what a perfect place for a wedding! 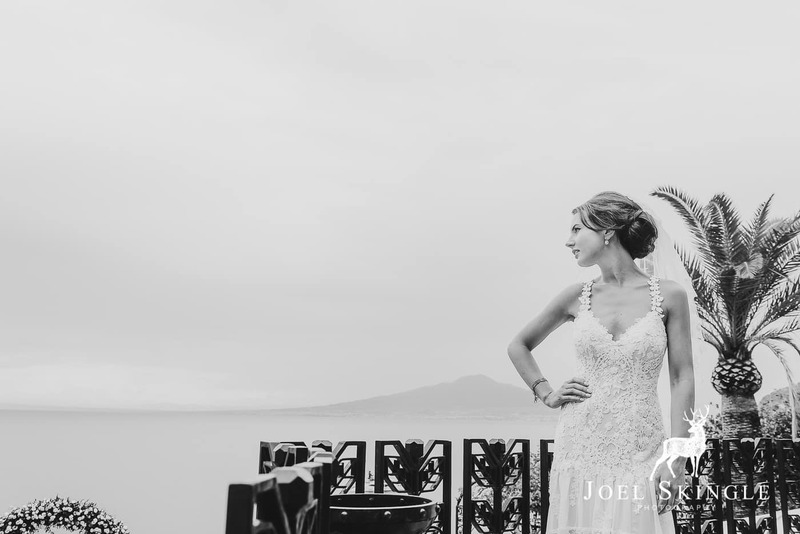 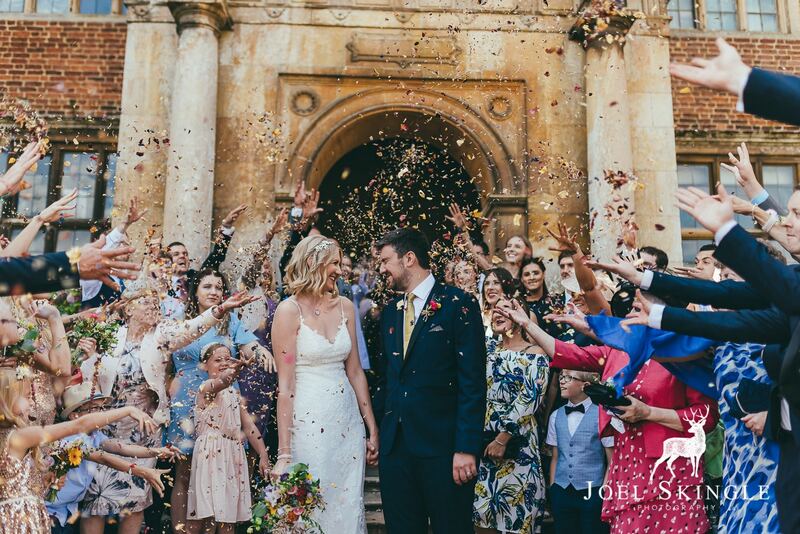 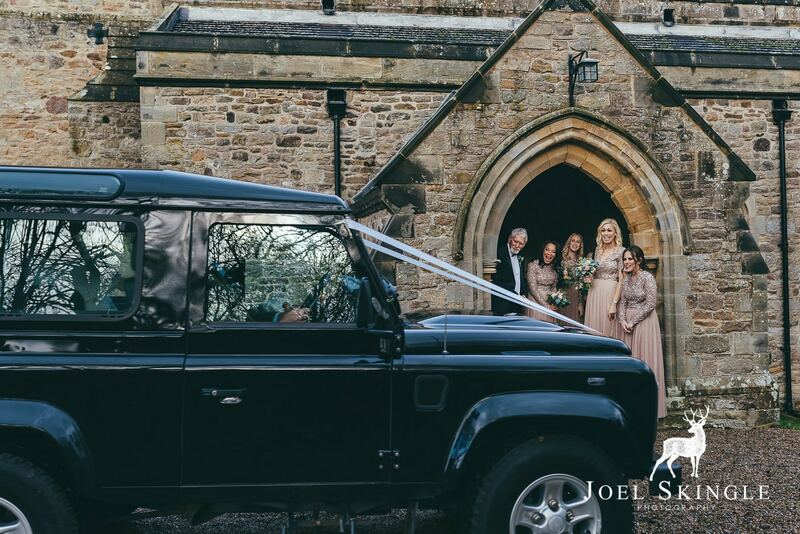 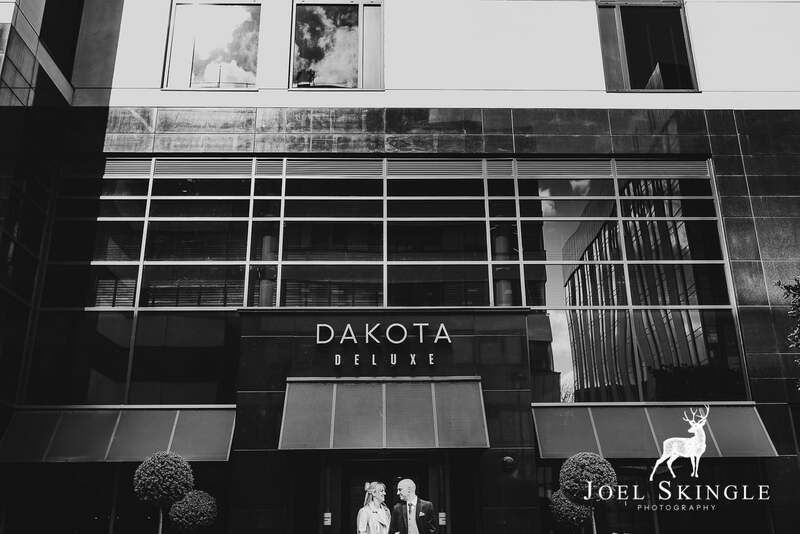 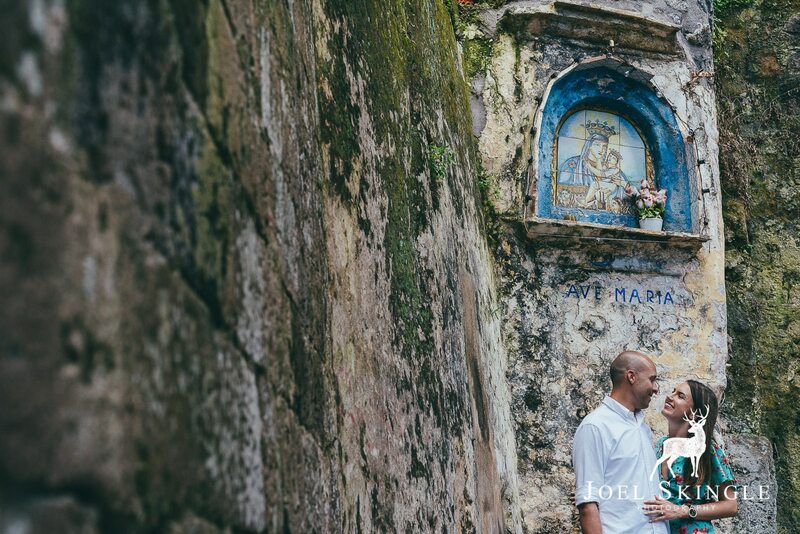 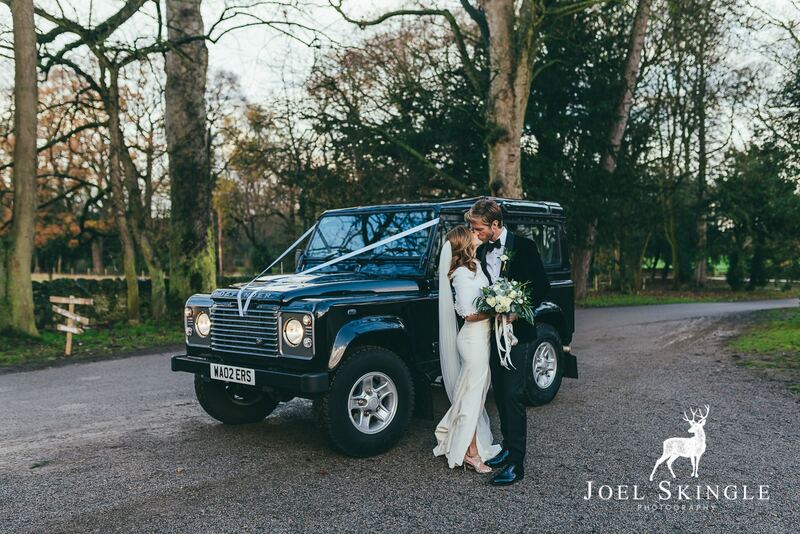 Ellie & Dan put together the most beautiful celebration (and they had a Defender! 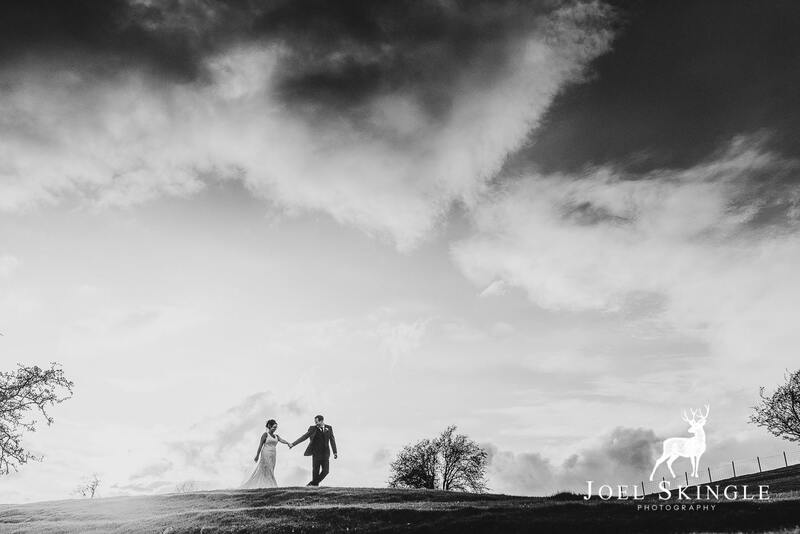 ); the early winter light was just perfect, and it was an epic day. 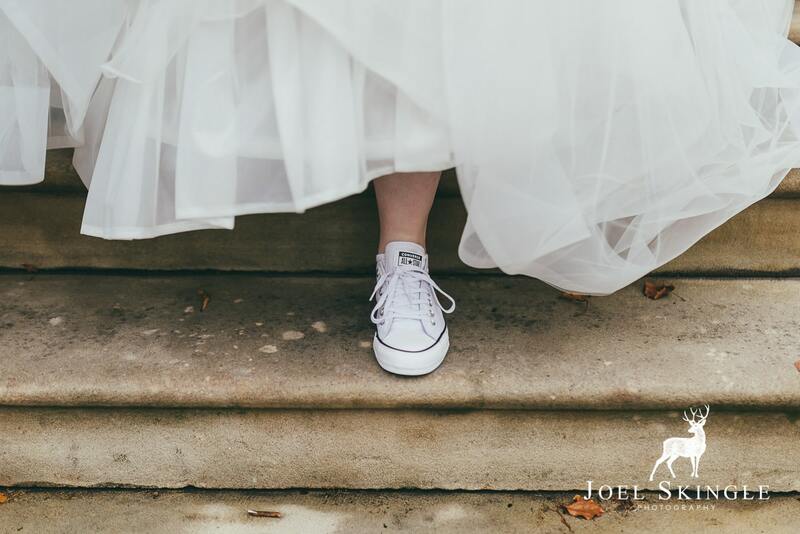 For me, I think that one of the things I’m most proud of this year are the wonderful, heartfelt comments I’ve had from my couples after their wedding days – not even necessarily about the photographs; but about how I’ve made them feel relaxed, become part of the family, and that their friends have all said the next day how well I fit in & how easy & relaxed the photos were. 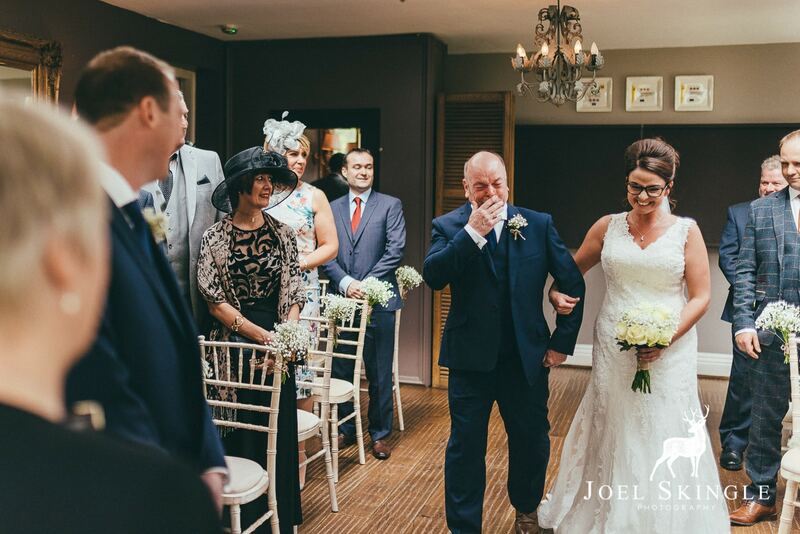 It’s a pretty special feeling; job satisfaction at its finest!! 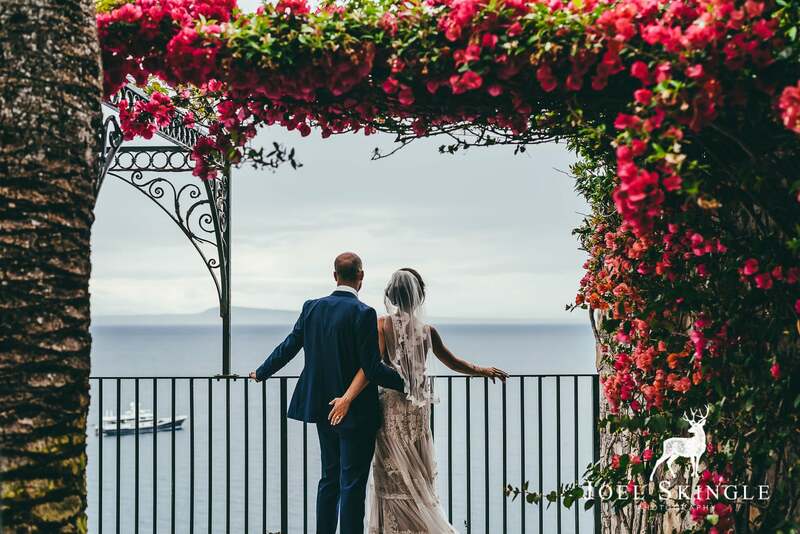 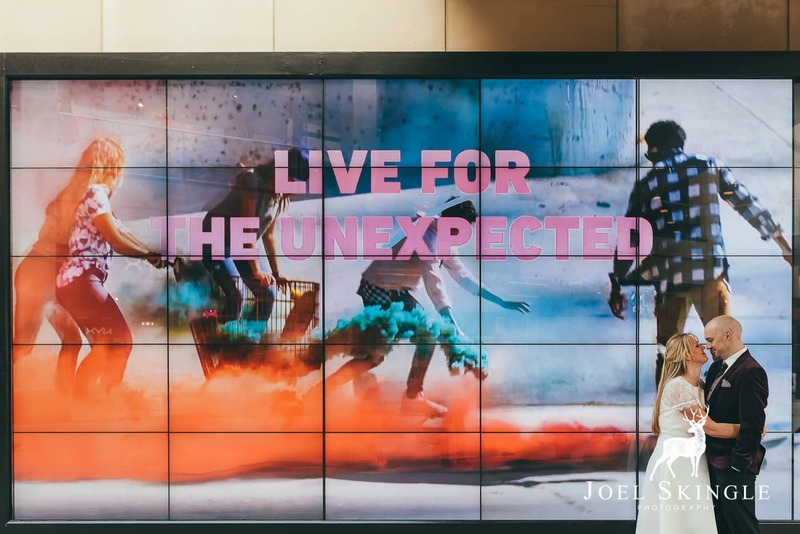 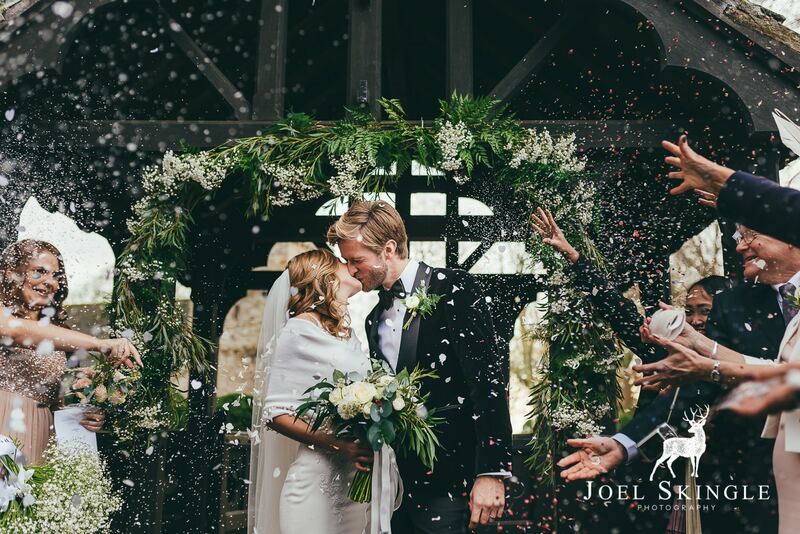 So here’s to 2019 – may there be many more epic moments, epic weddings and epic couples – I can’t wait! 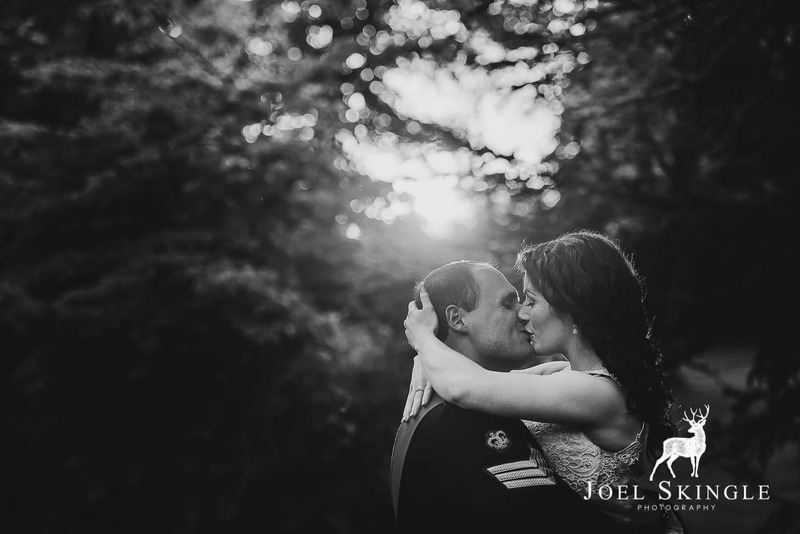 I’d love to hear what you think of the pictures; it would be great if you could leave a comment below. 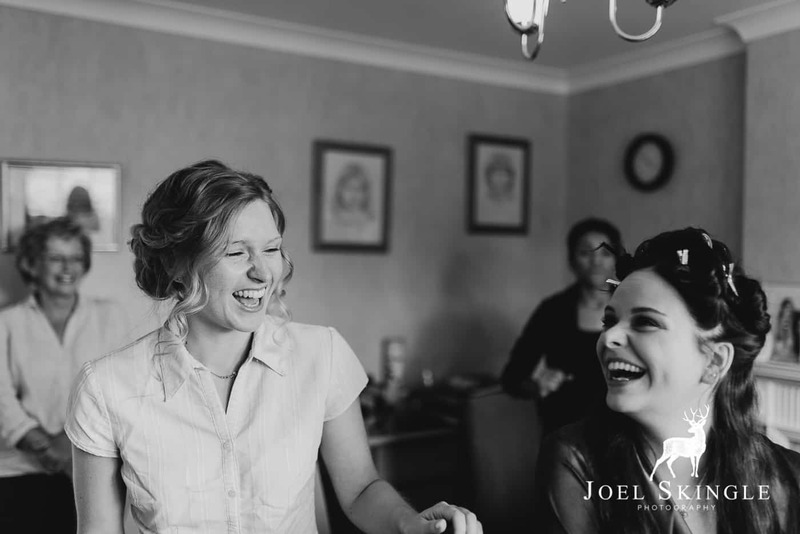 From the very first time that we met Joel it was like we’d been mates for 10 years. 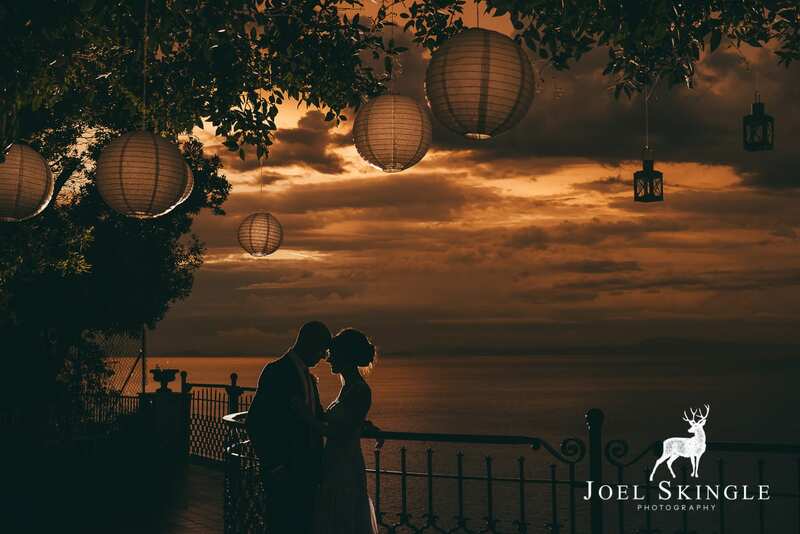 He’s just a really nice guy who takes unbelievable photos. 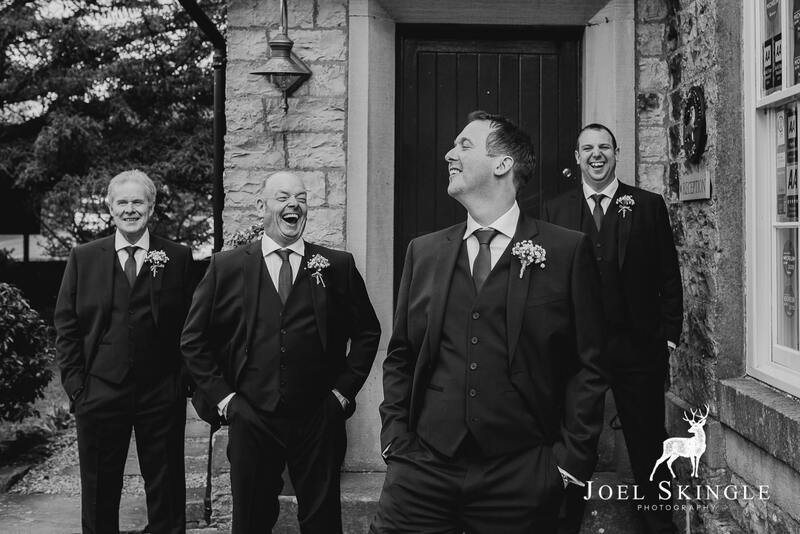 One of the main criteria for us was to have a photographer that we could relate to and have a bit of a laugh and a joke with, 100% did we get this on our day. 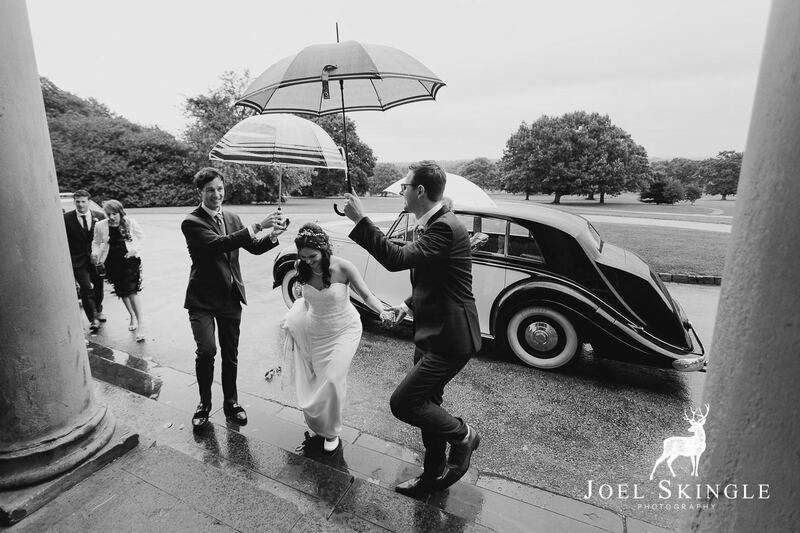 We had so much fun around the grounds and even though we had a bit of rain we had such a blast! 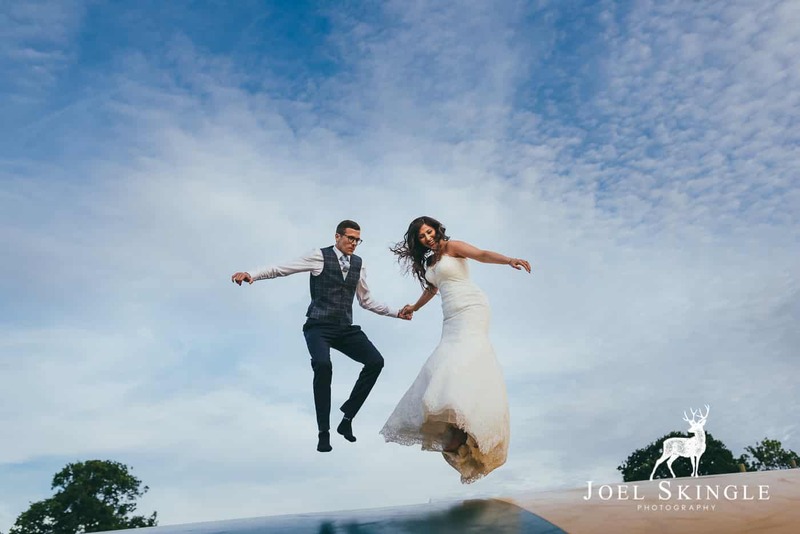 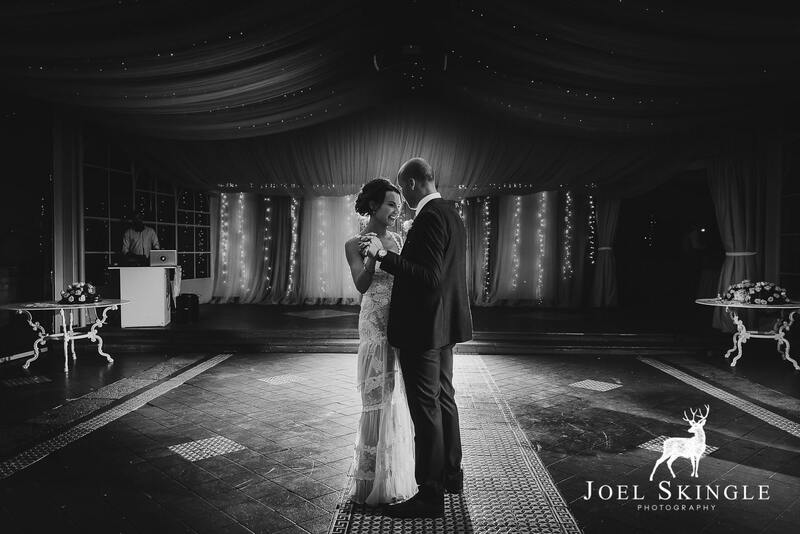 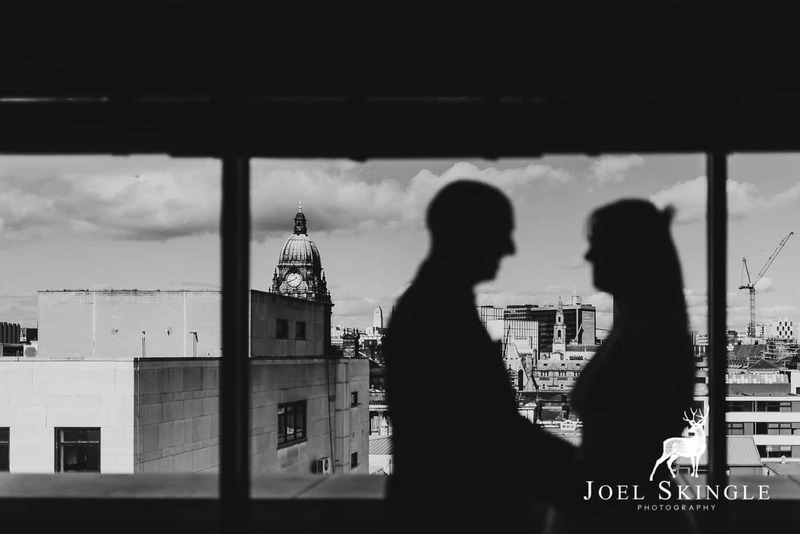 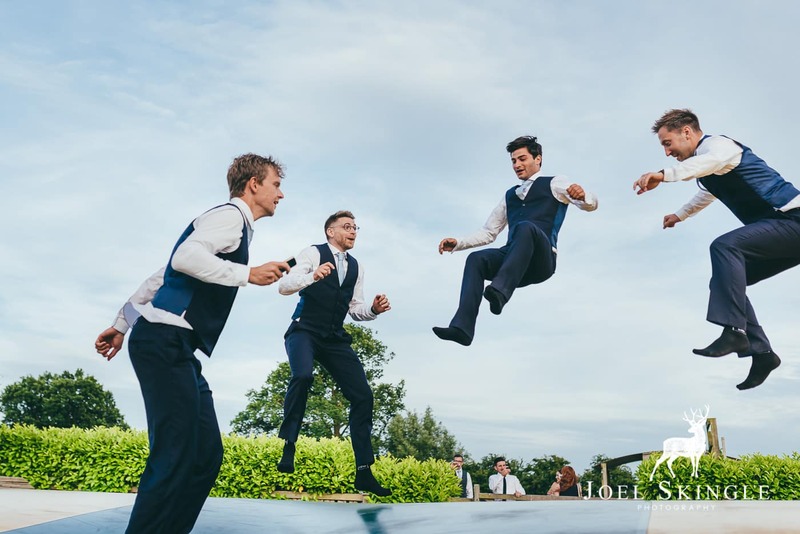 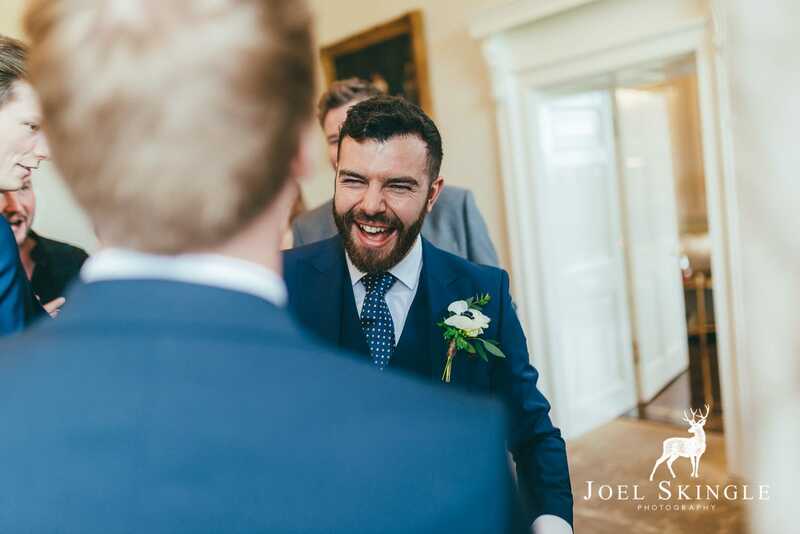 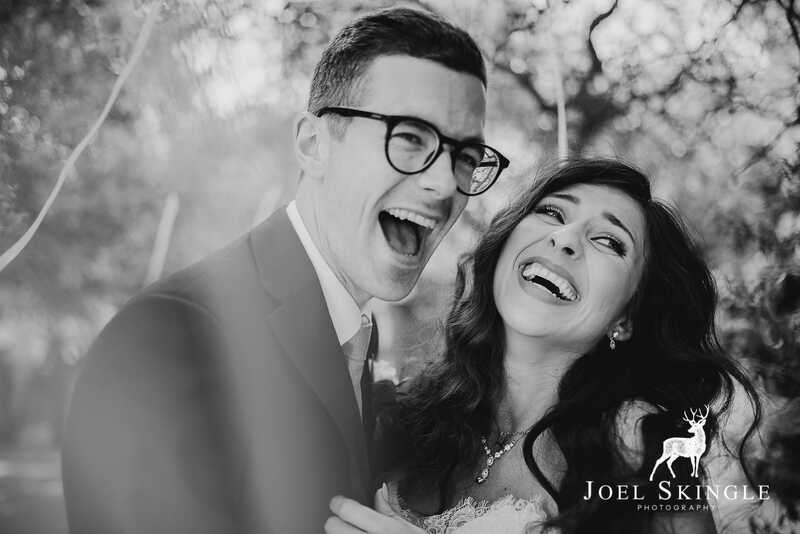 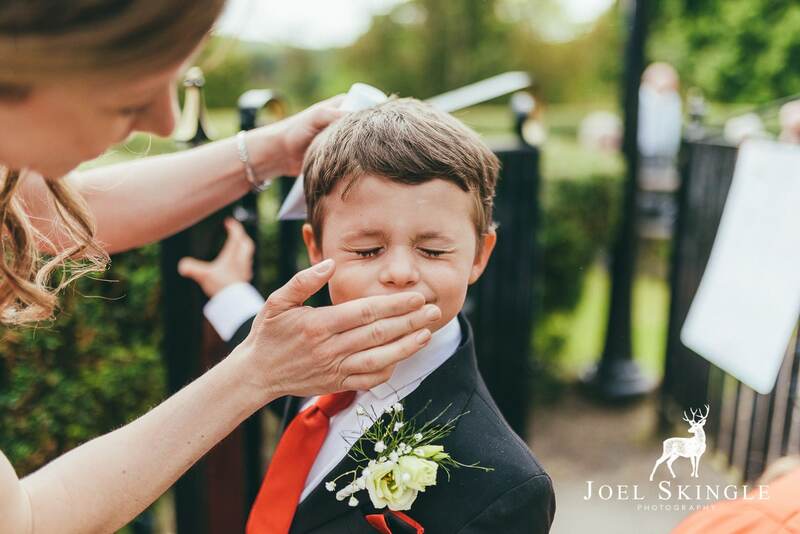 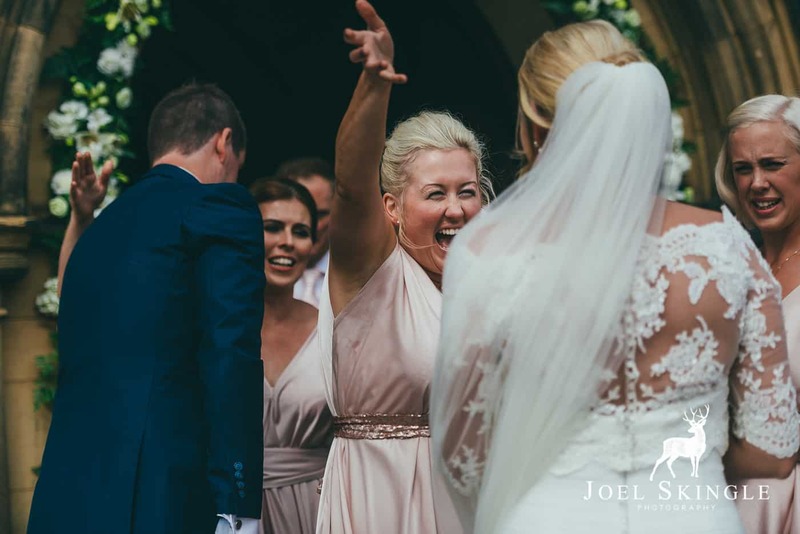 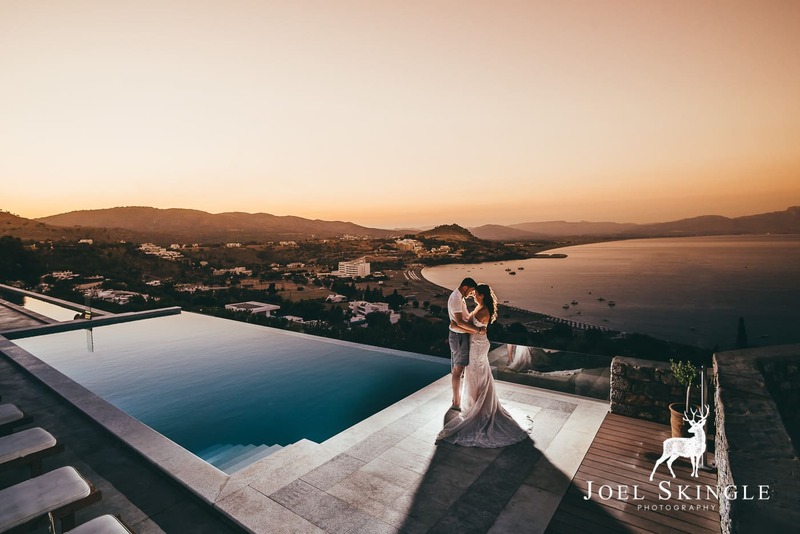 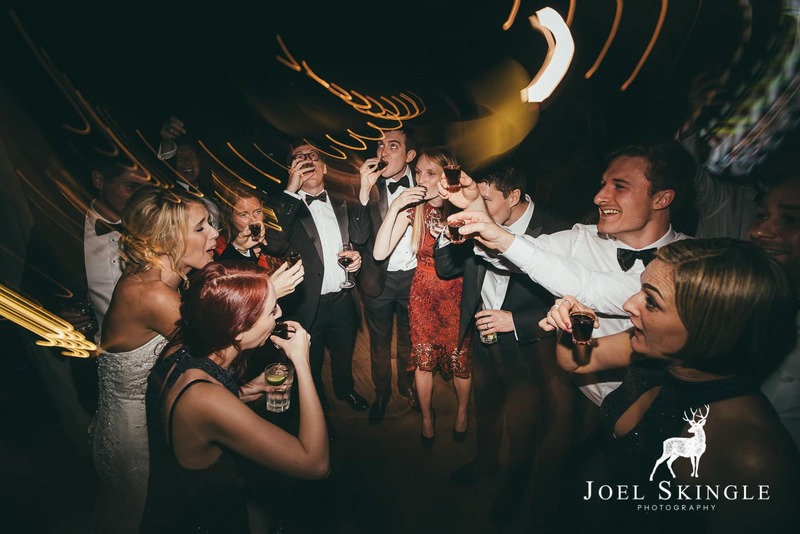 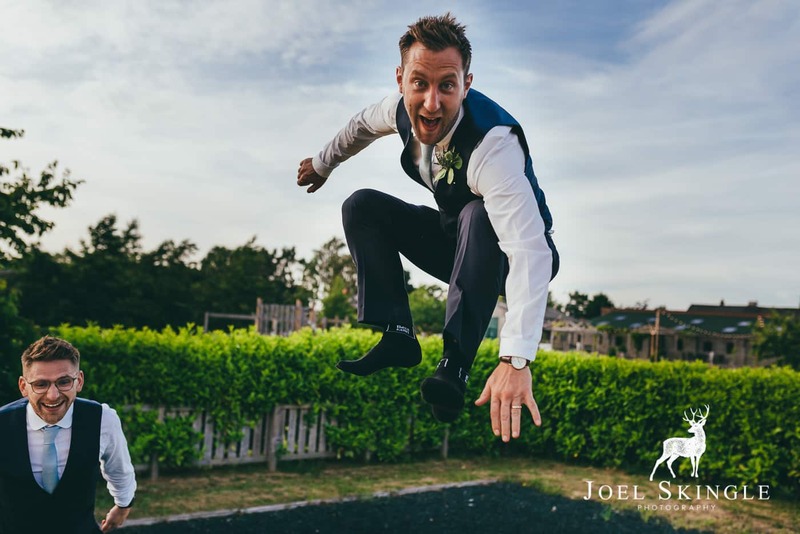 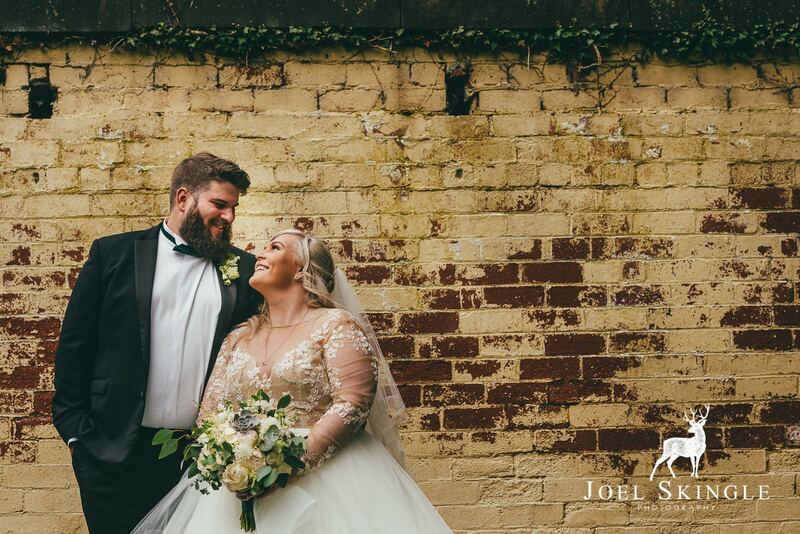 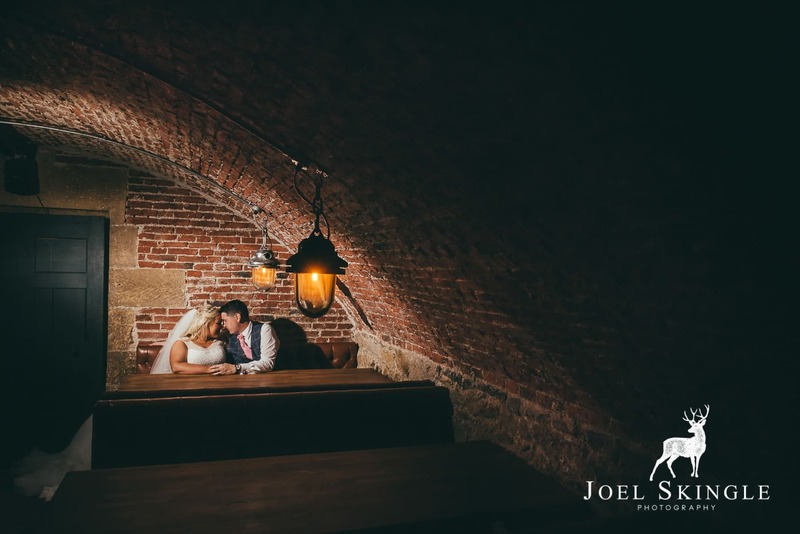 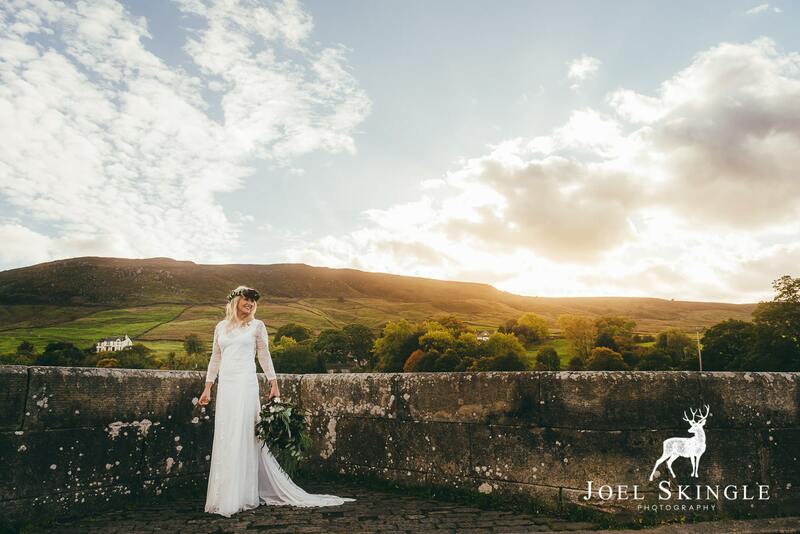 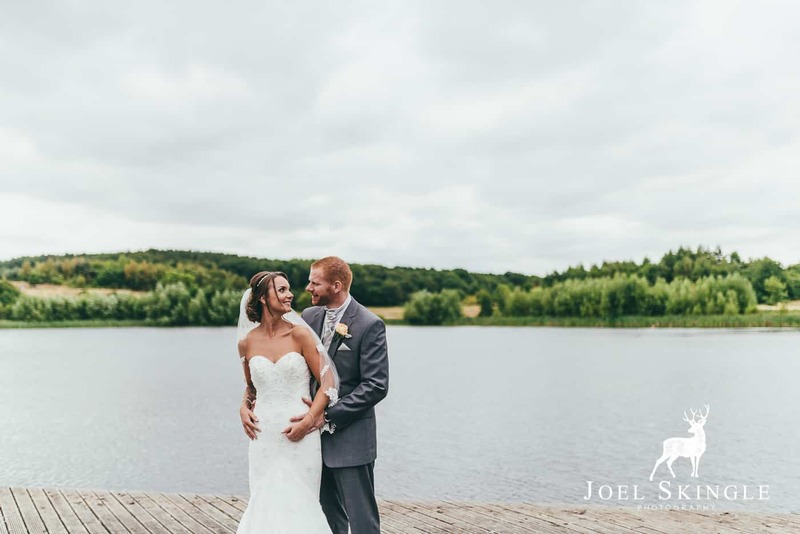 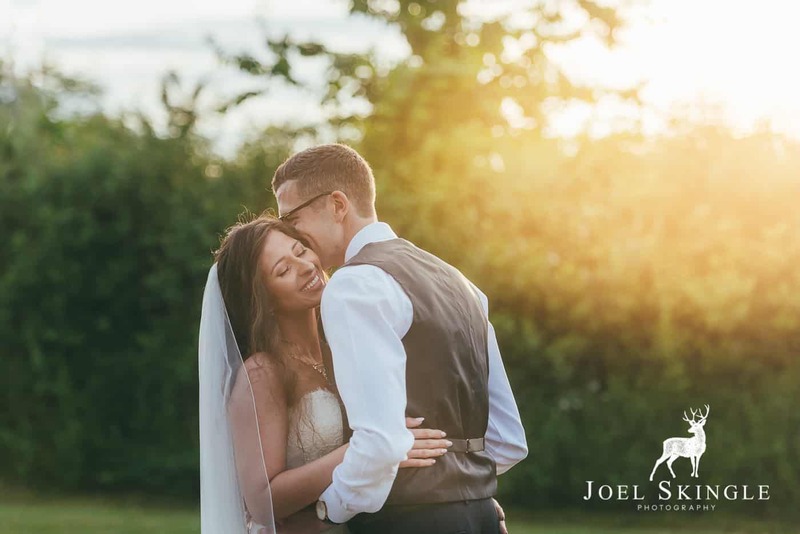 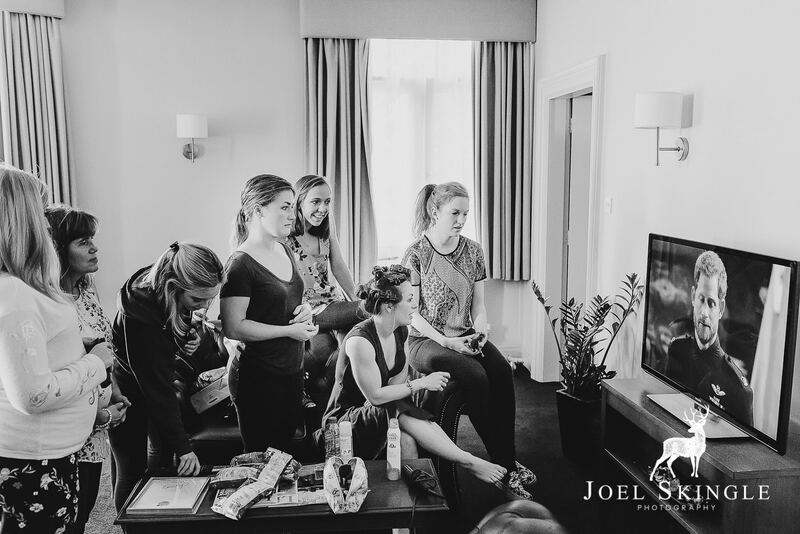 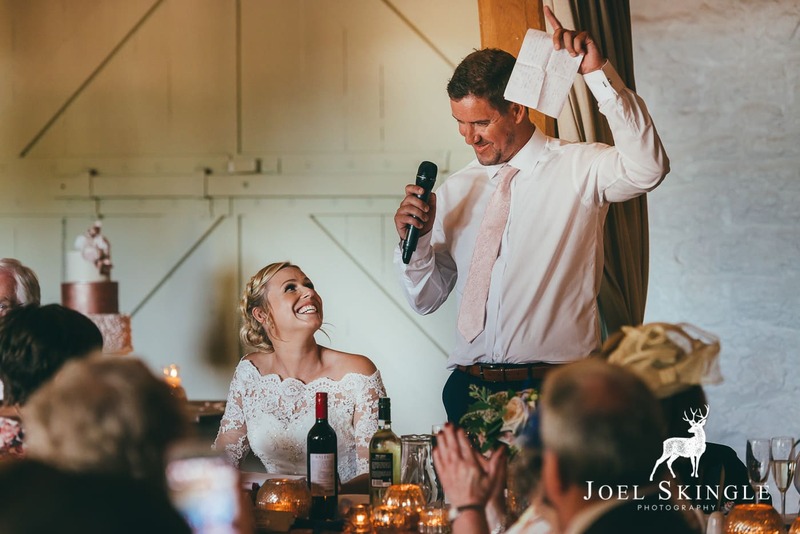 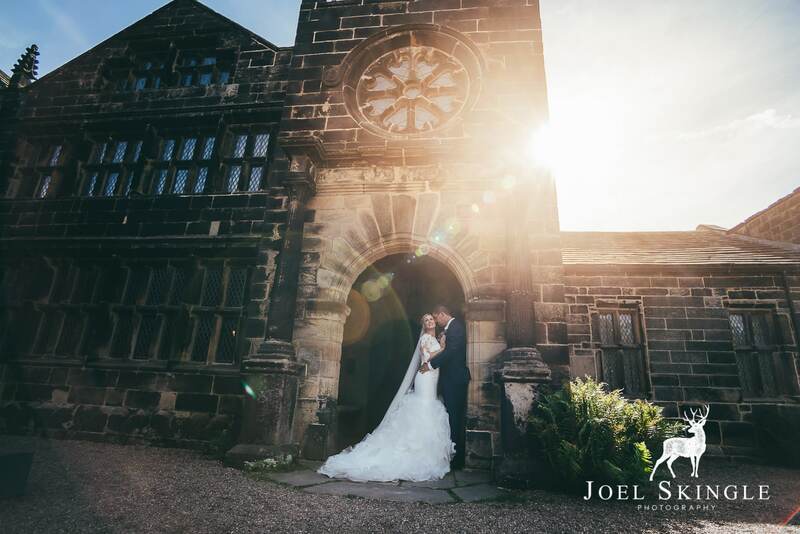 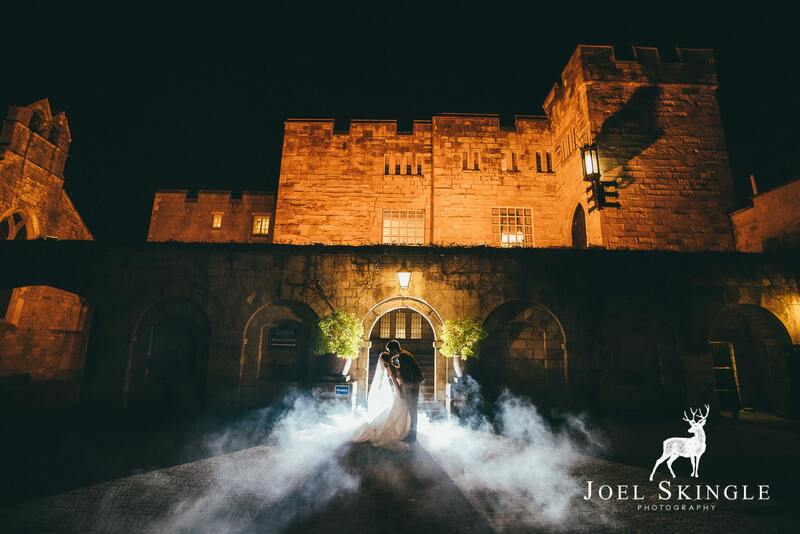 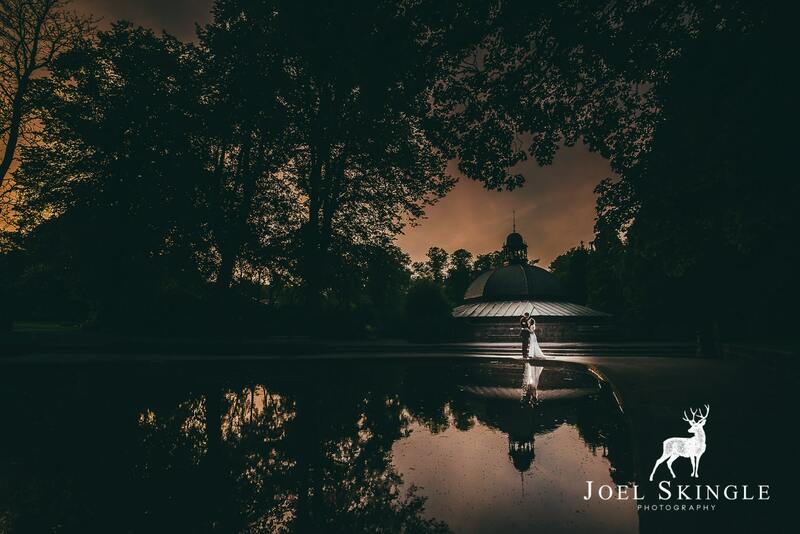 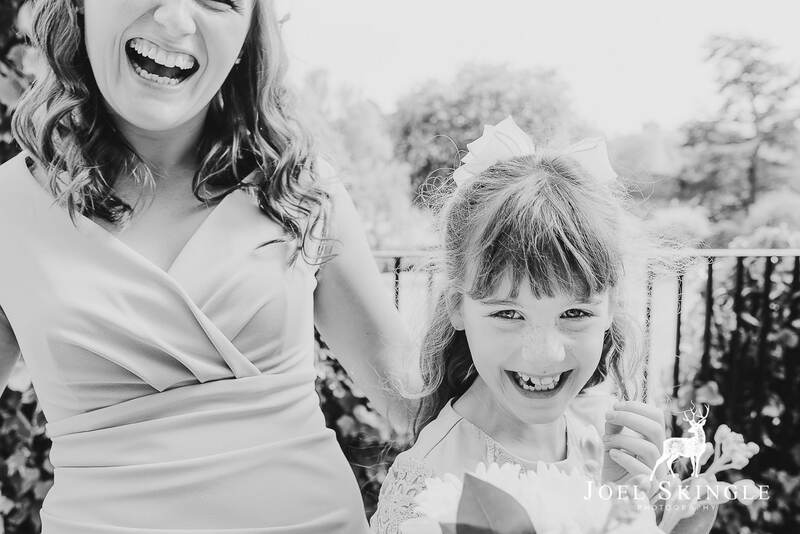 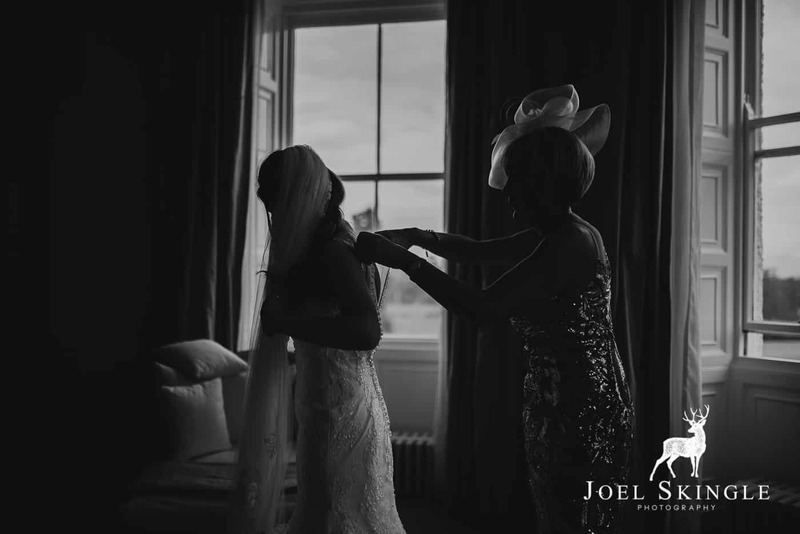 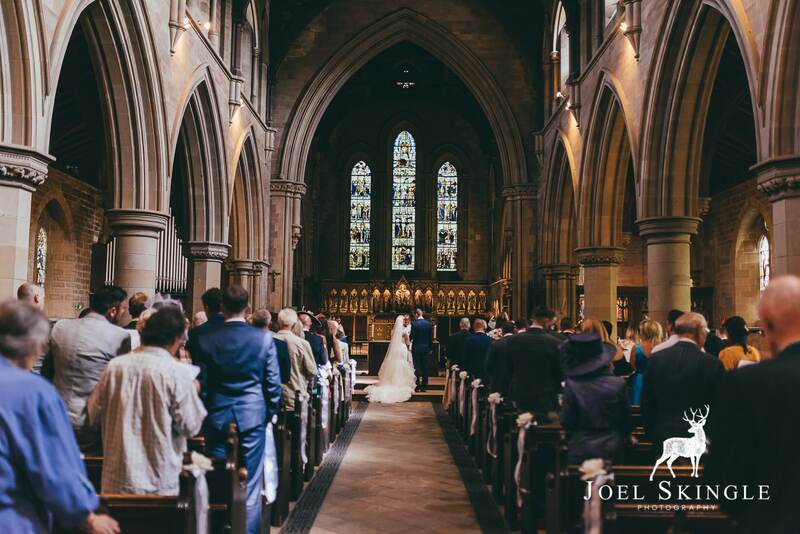 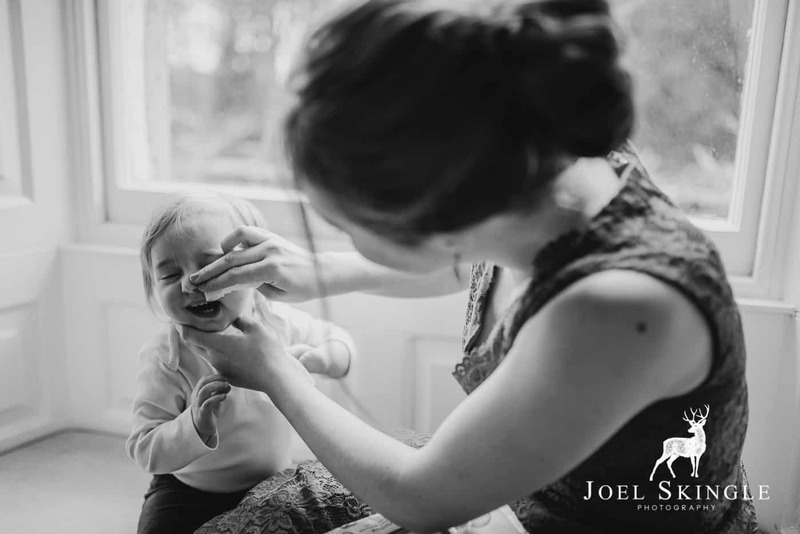 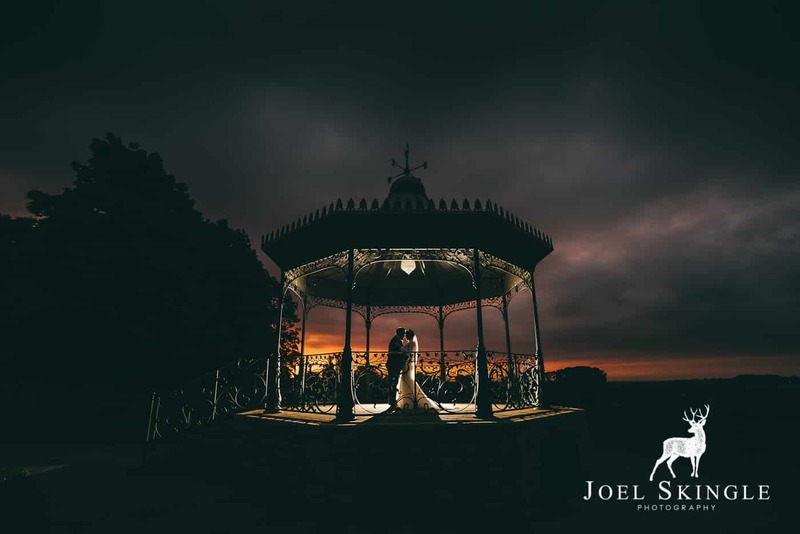 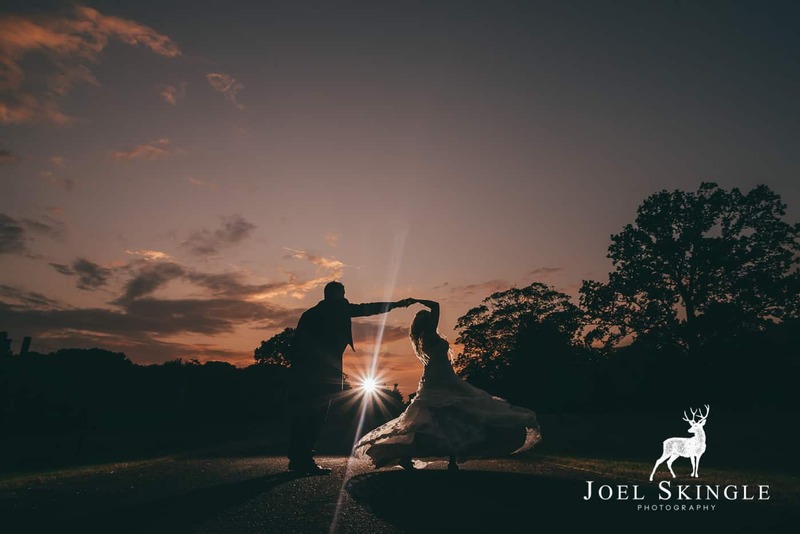 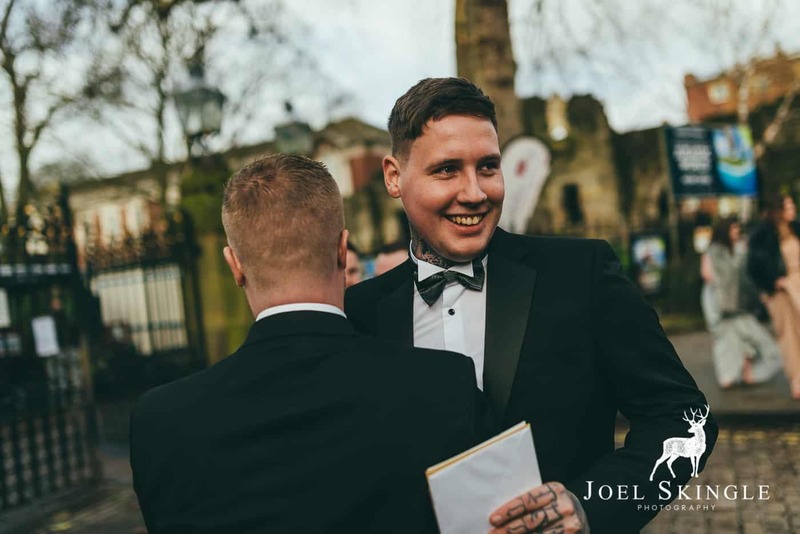 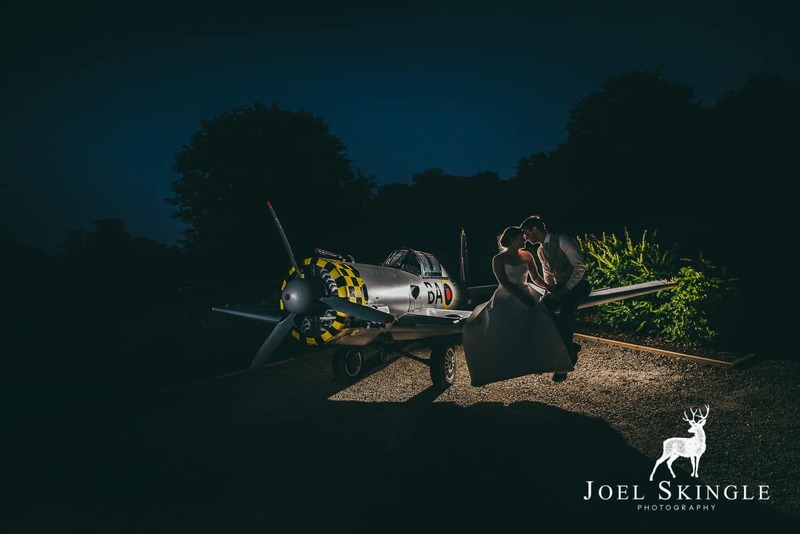 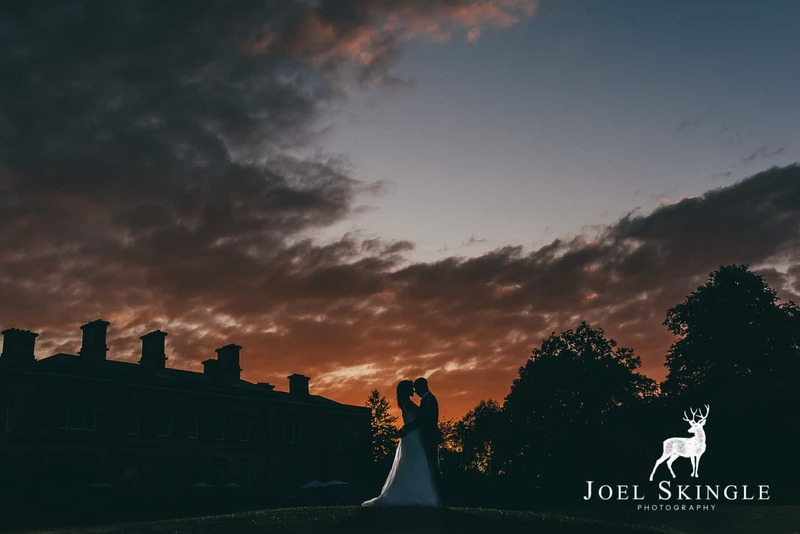 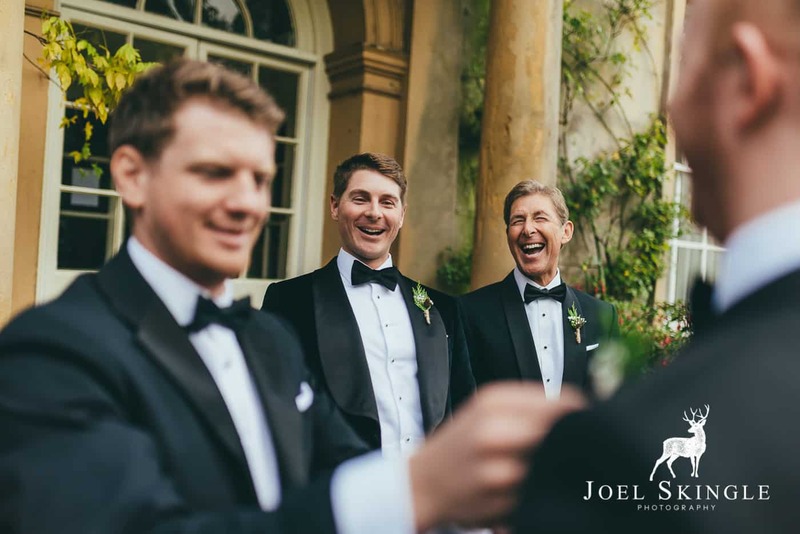 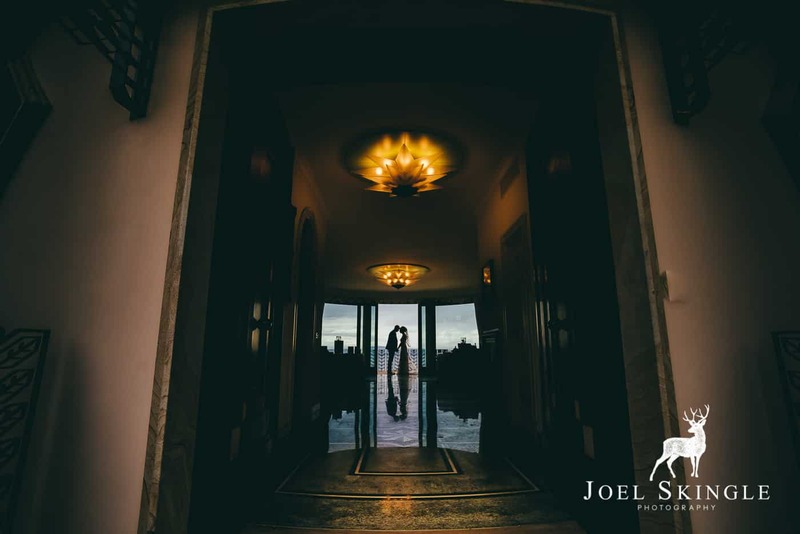 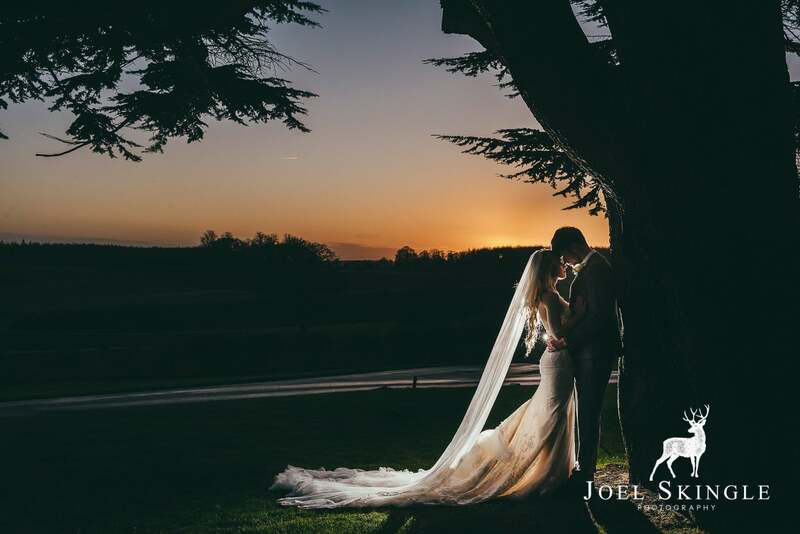 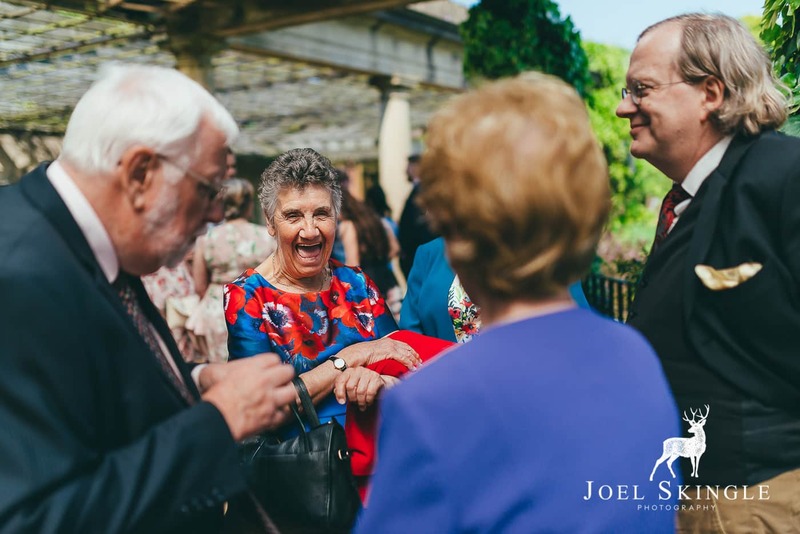 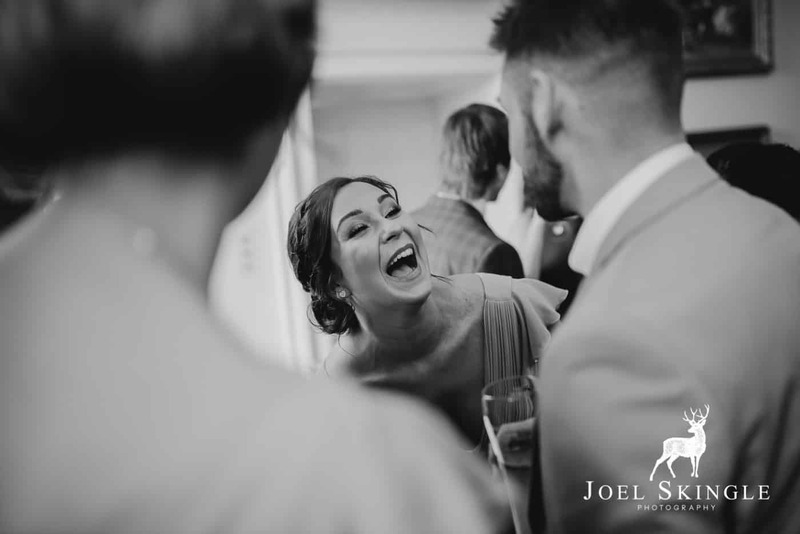 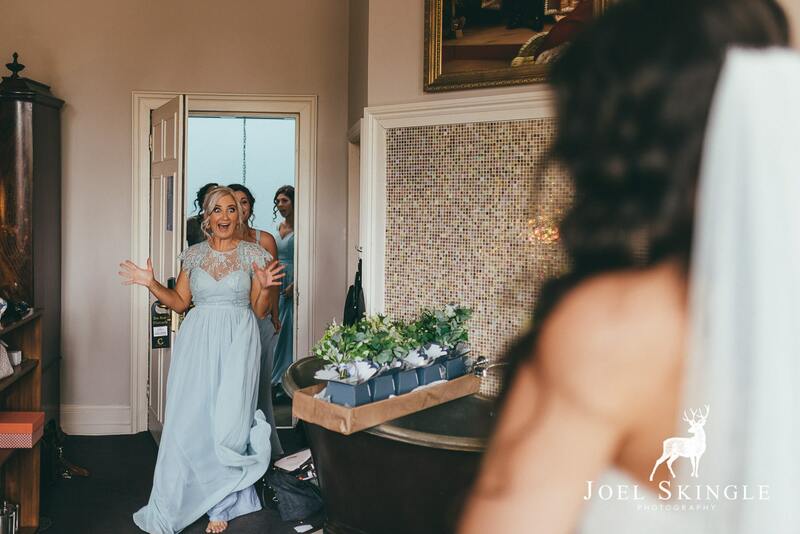 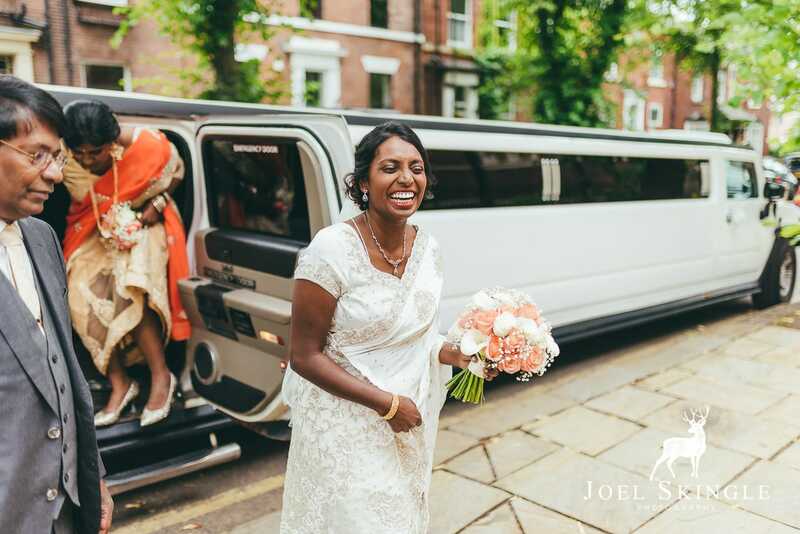 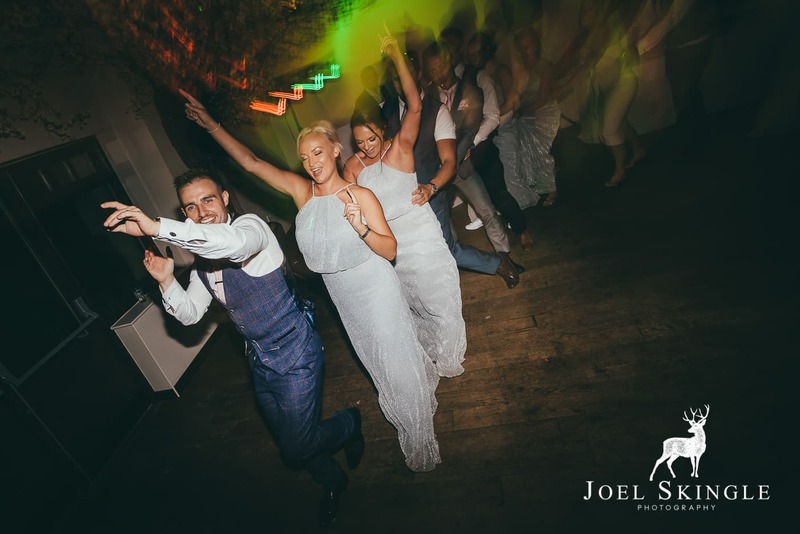 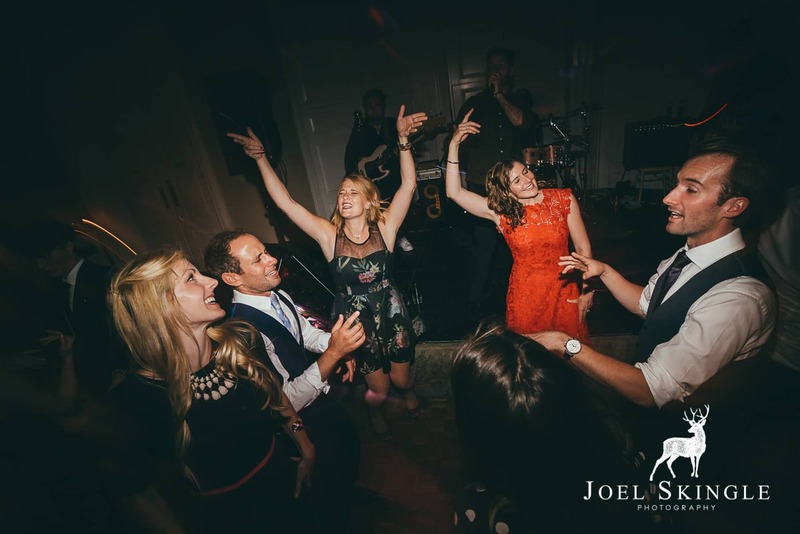 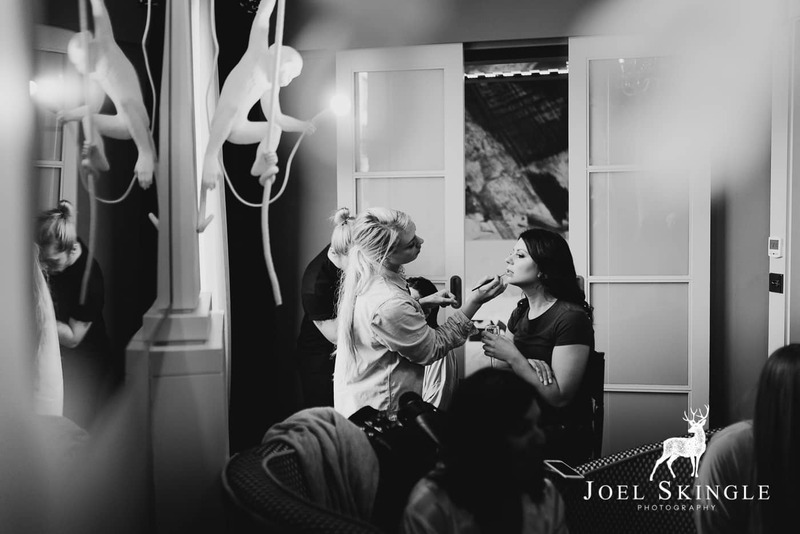 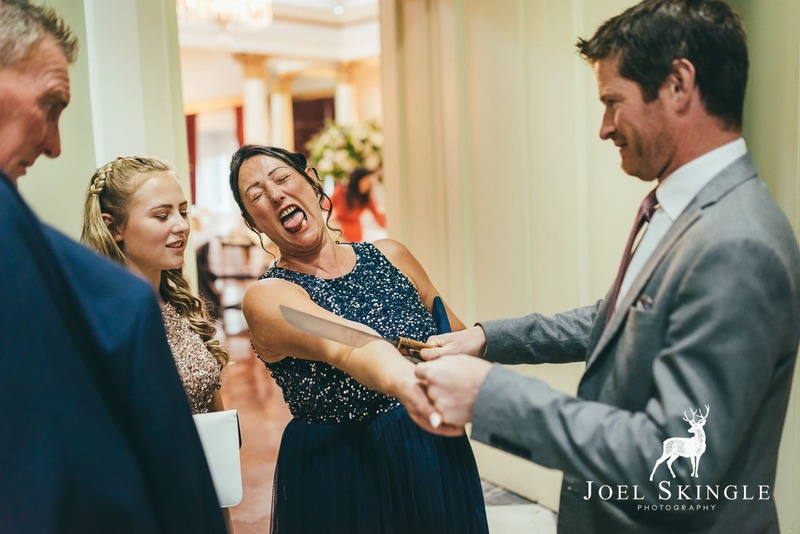 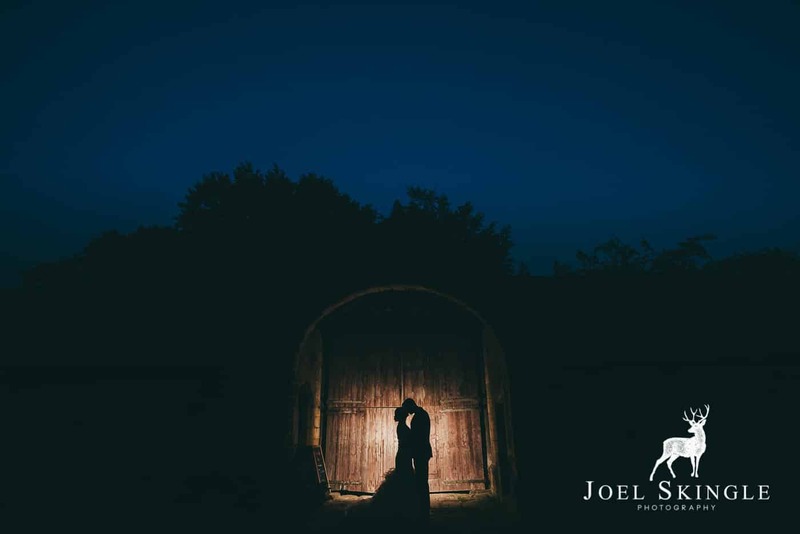 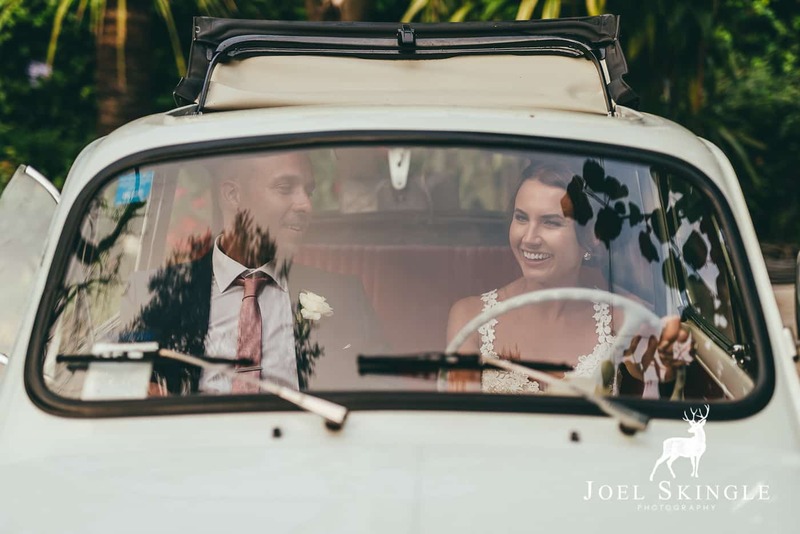 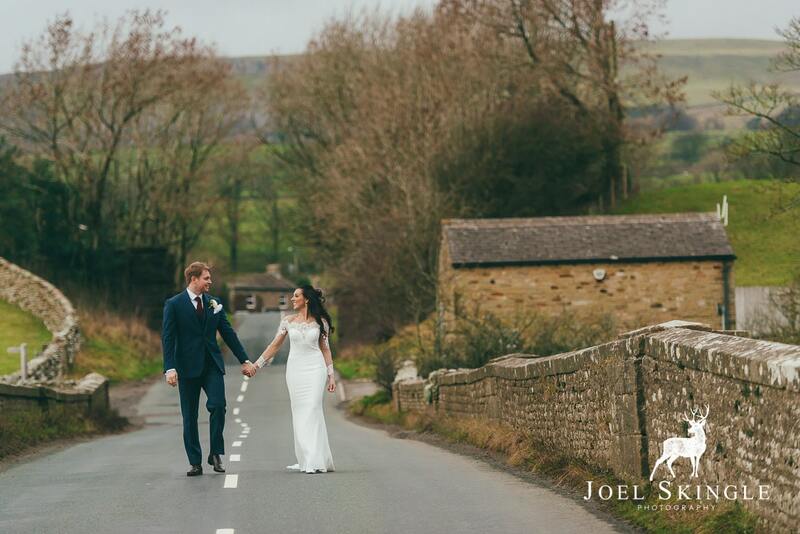 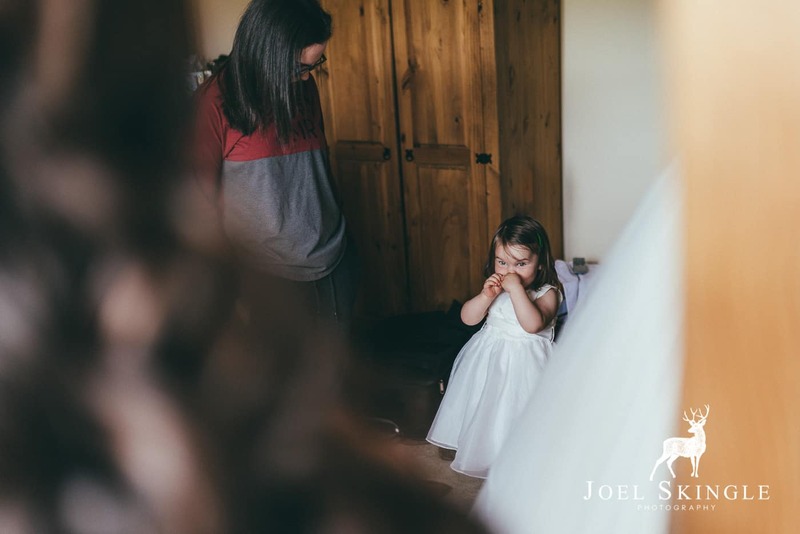 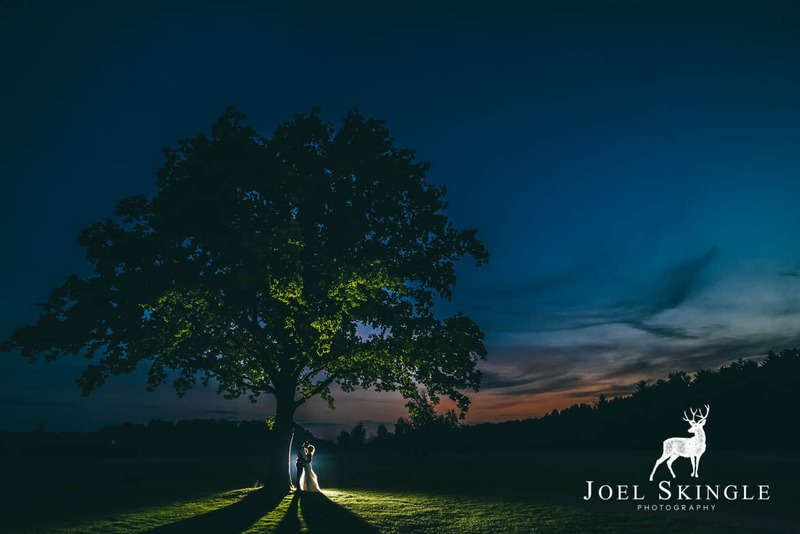 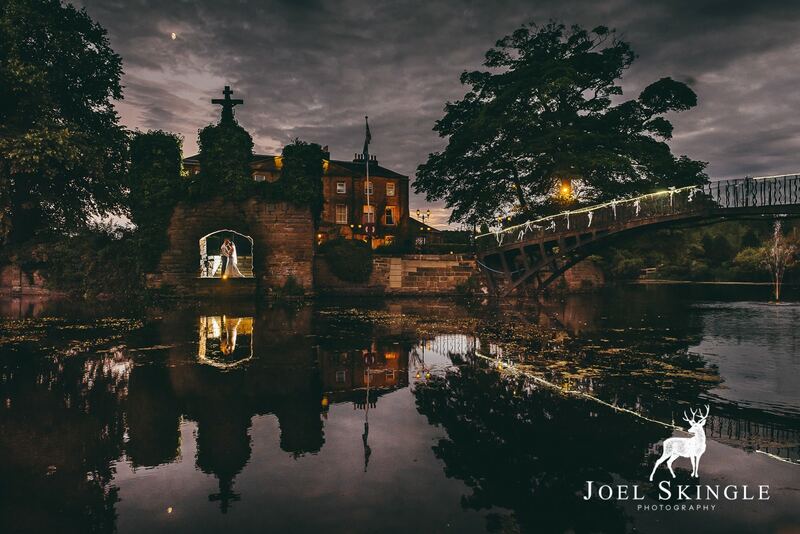 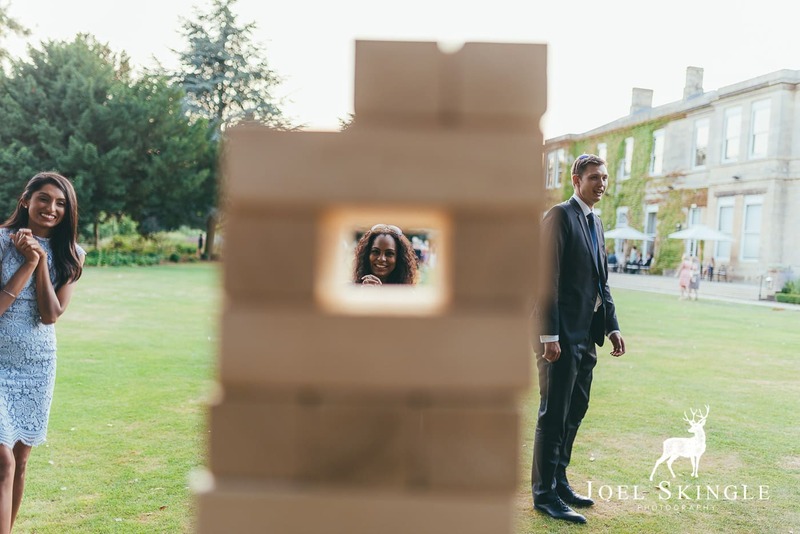 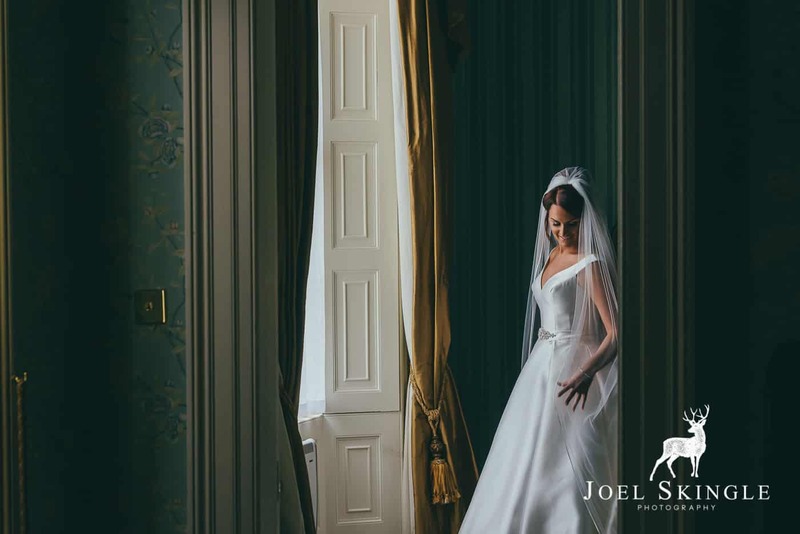 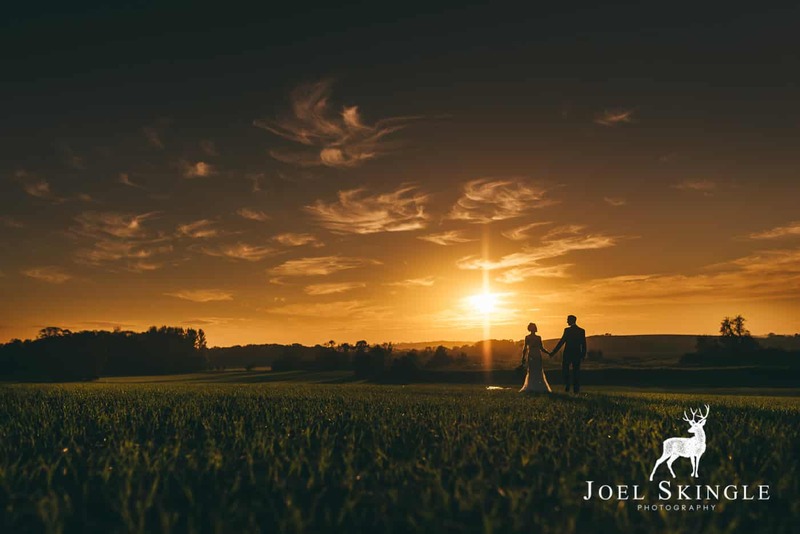 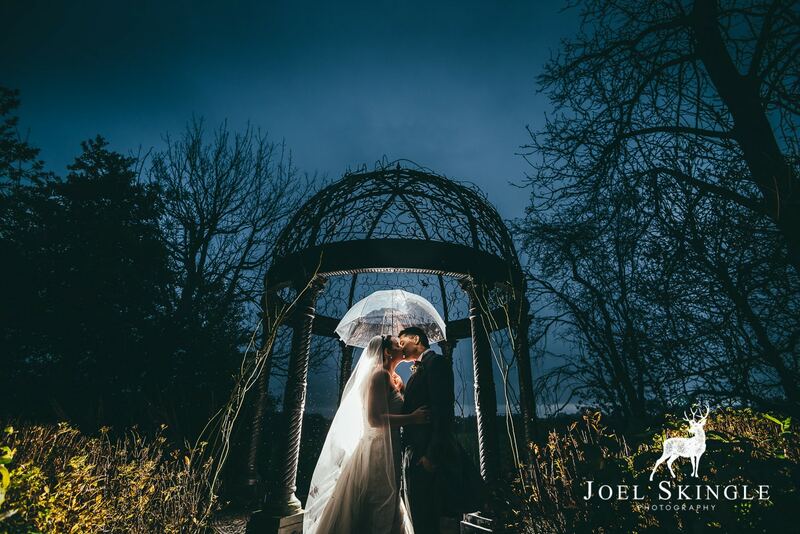 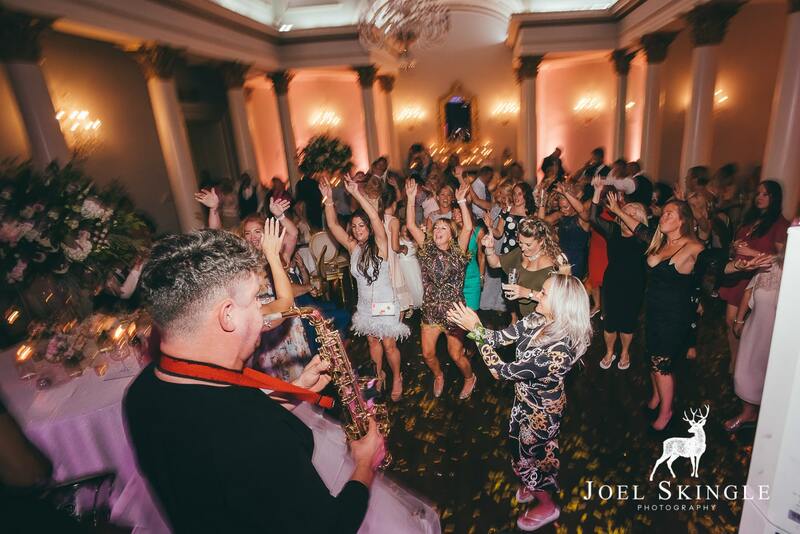 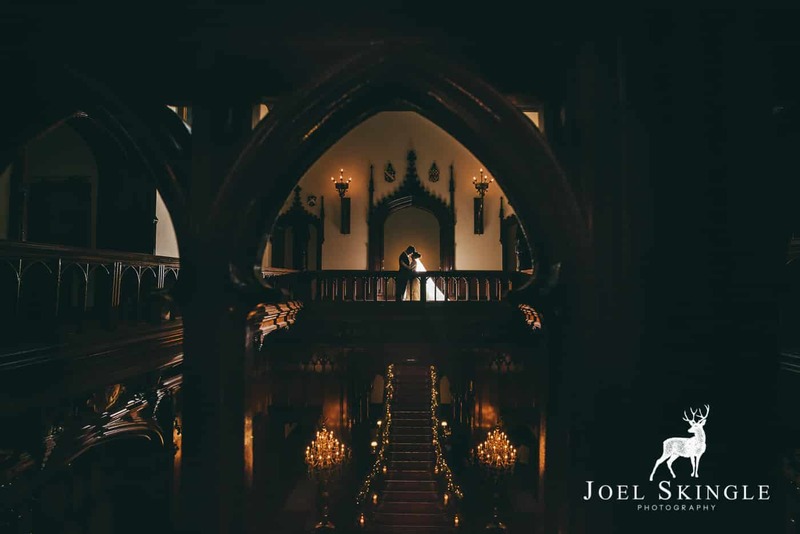 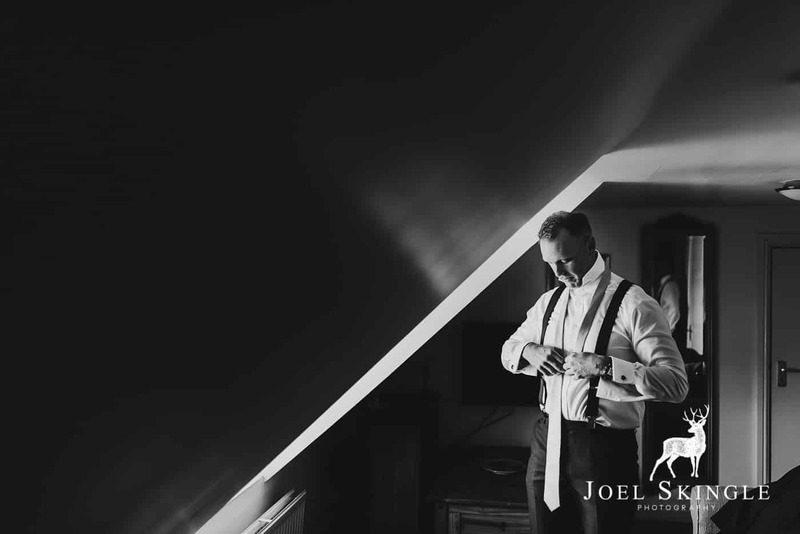 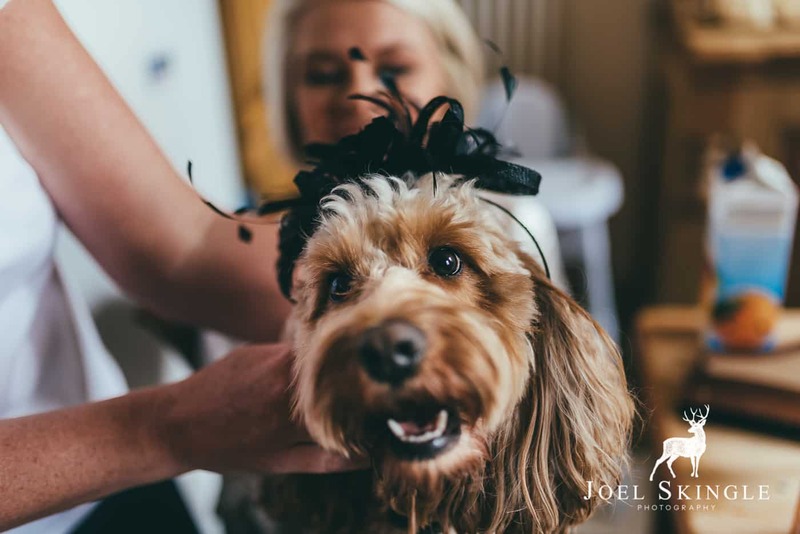 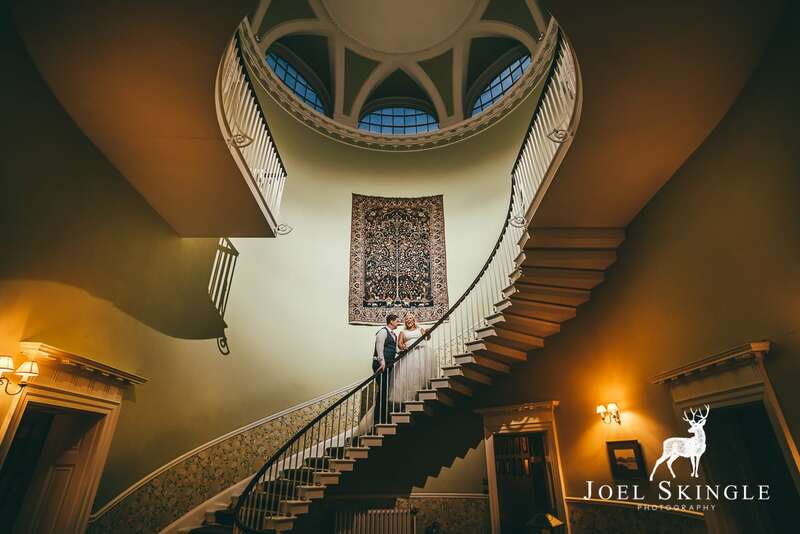 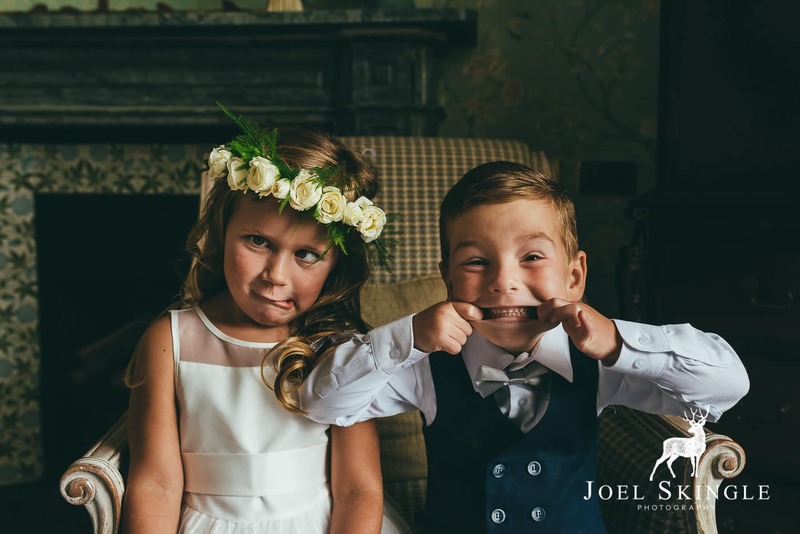 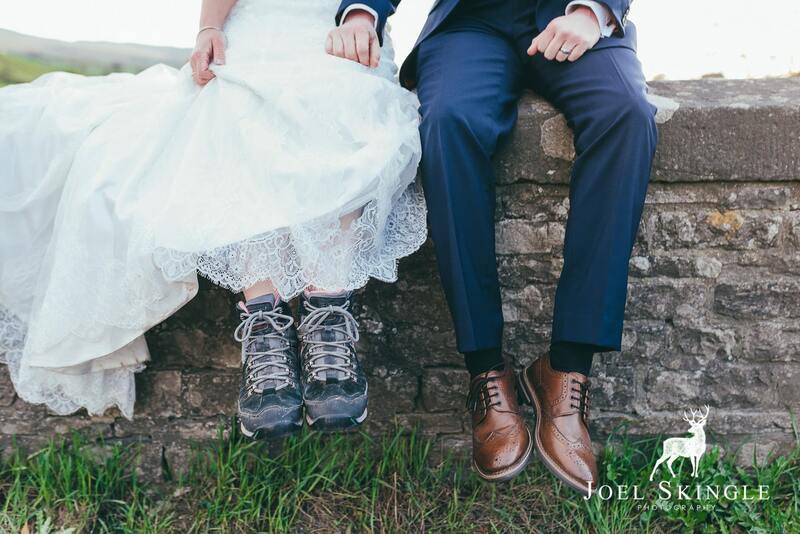 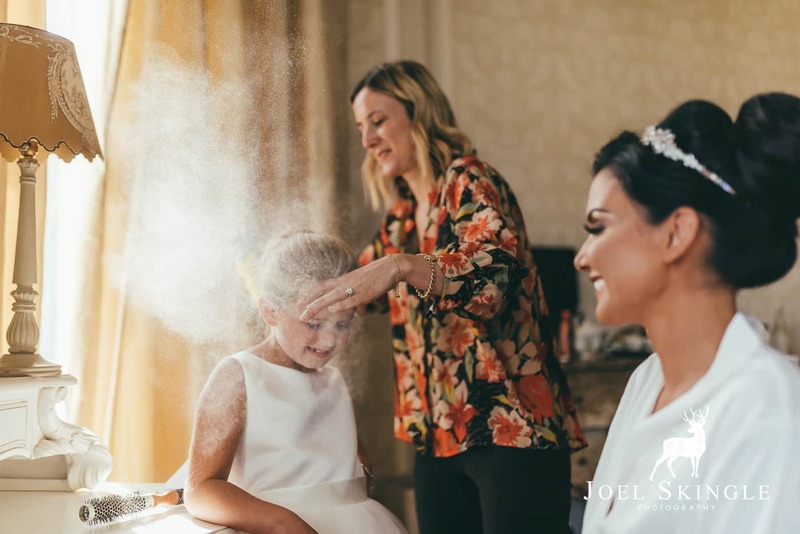 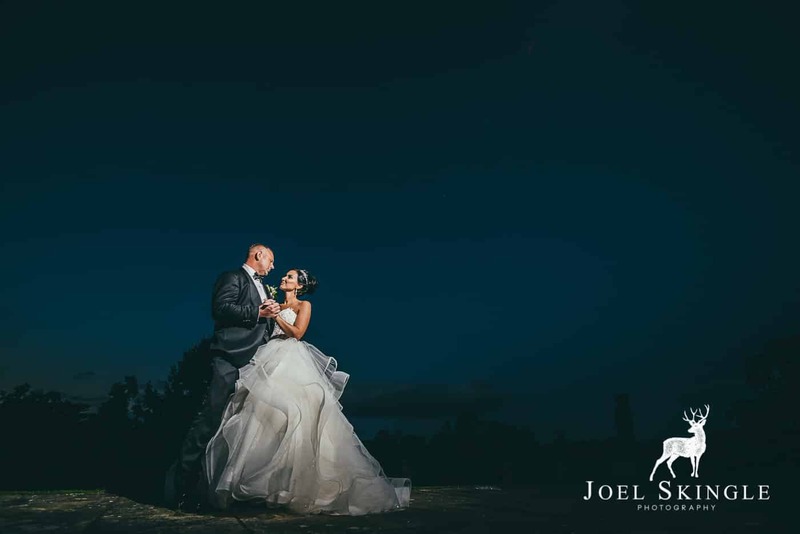 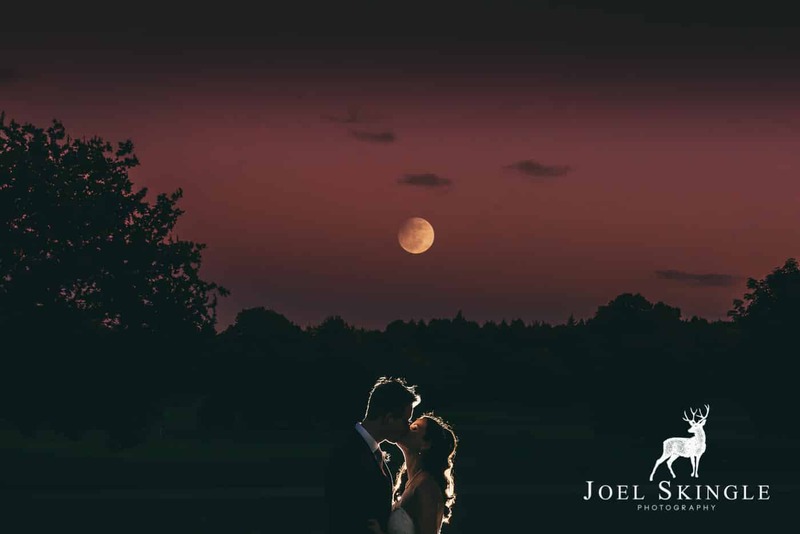 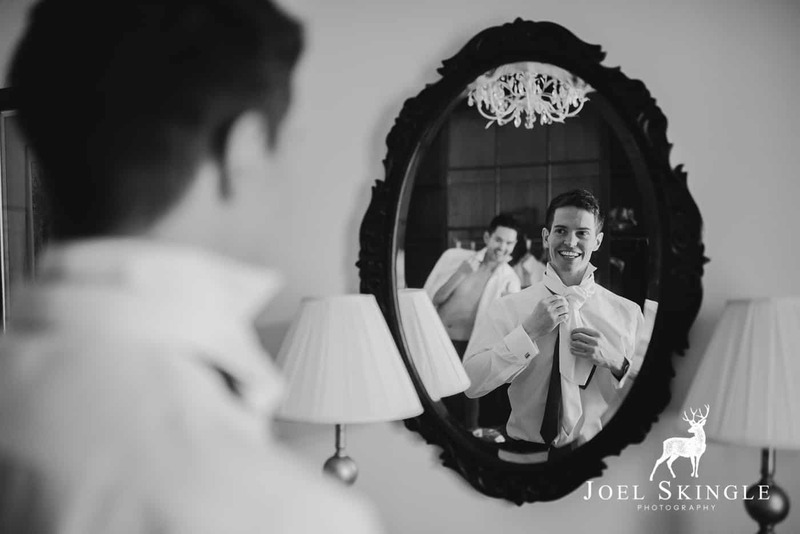 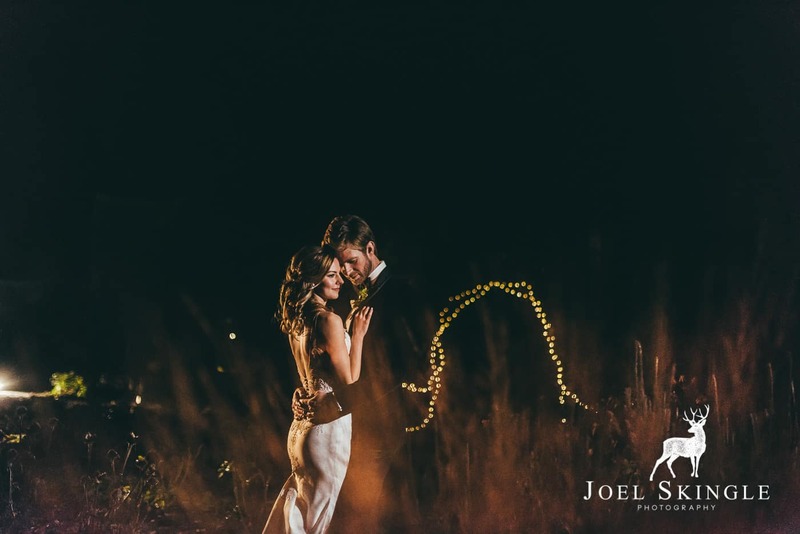 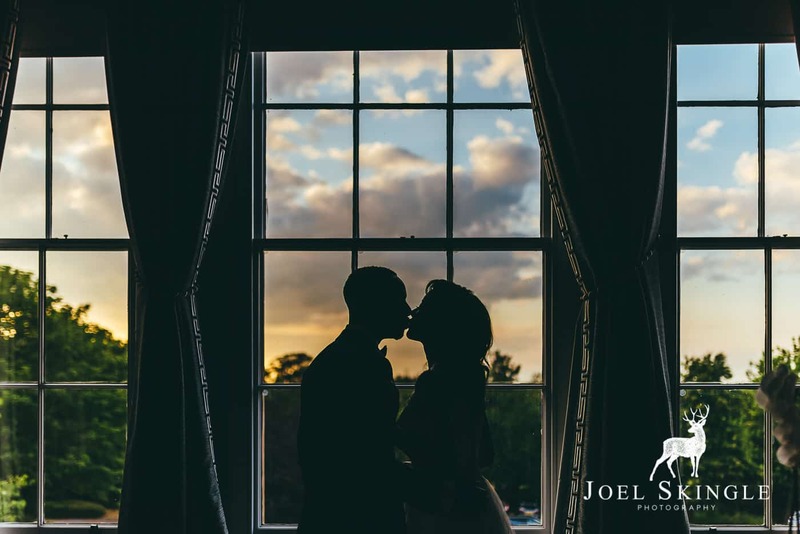 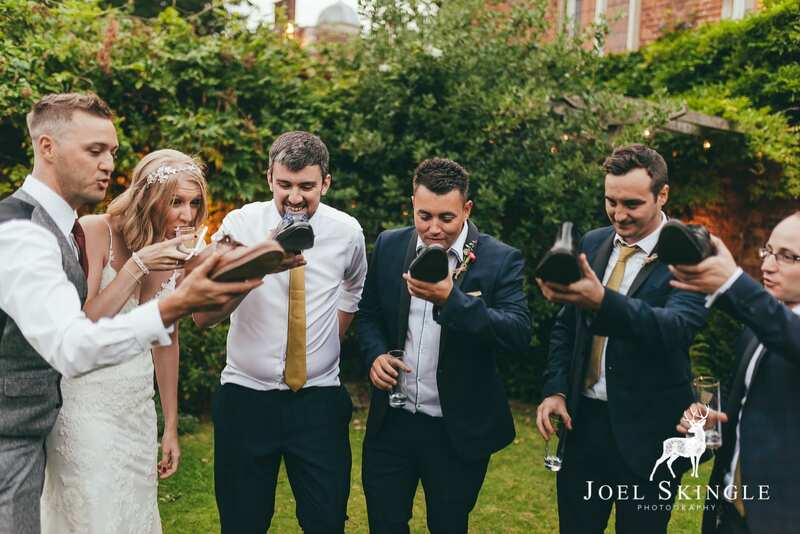 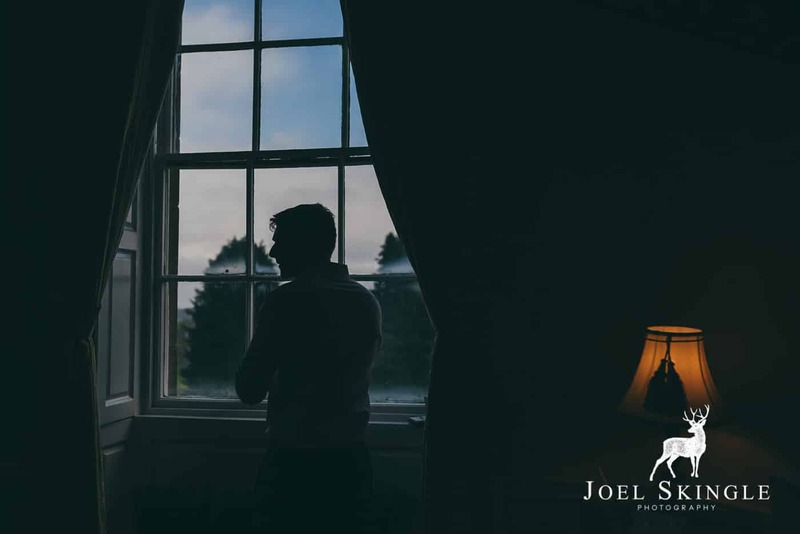 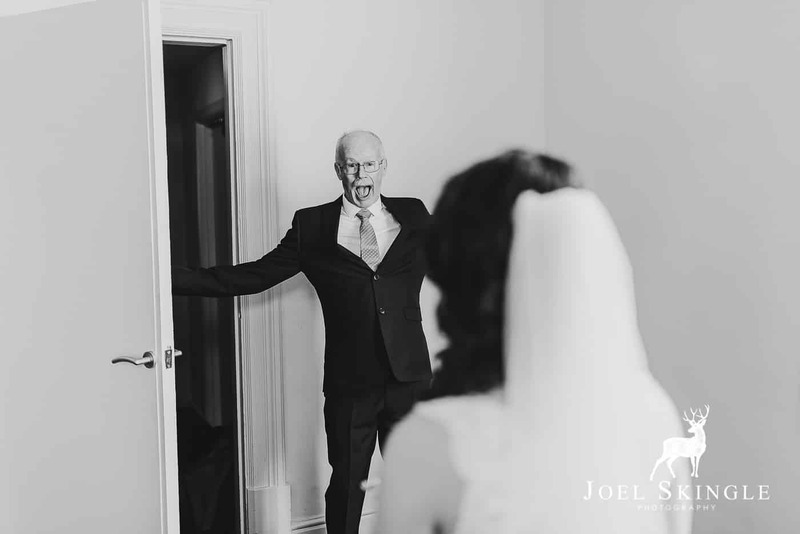 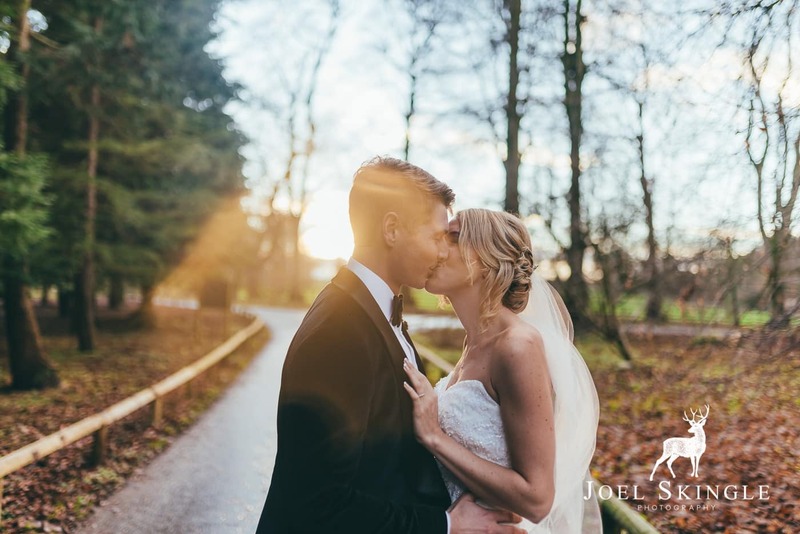 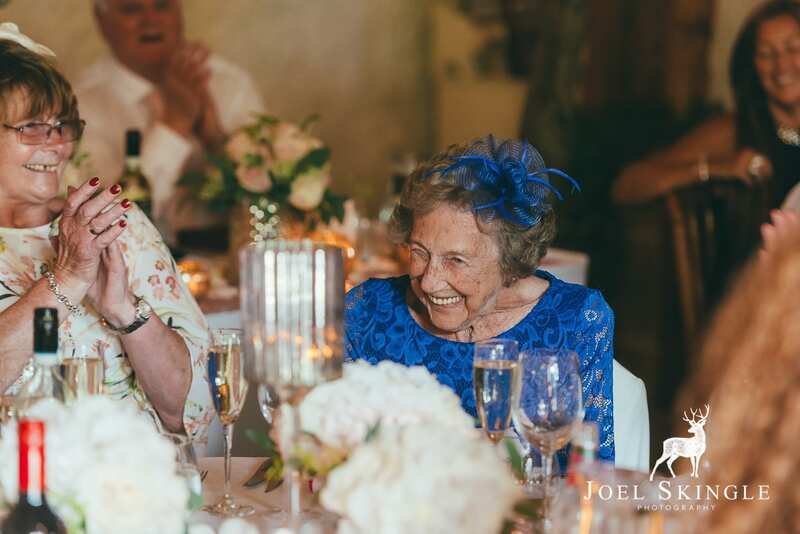 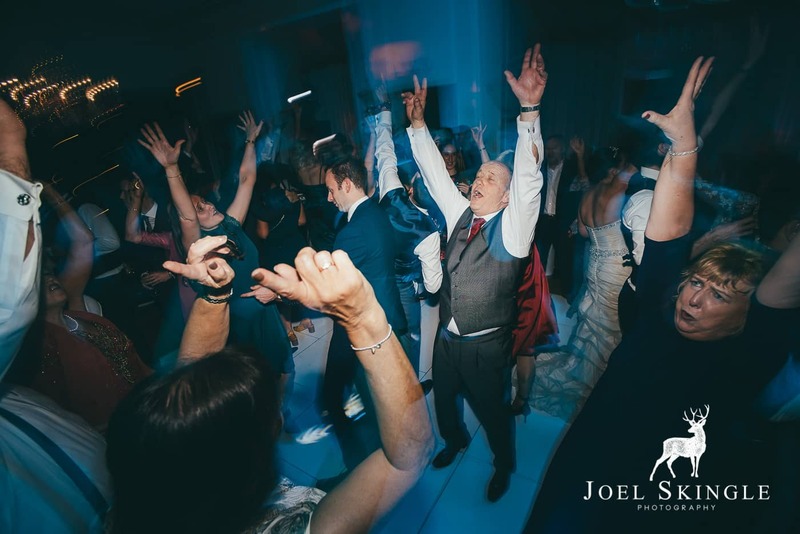 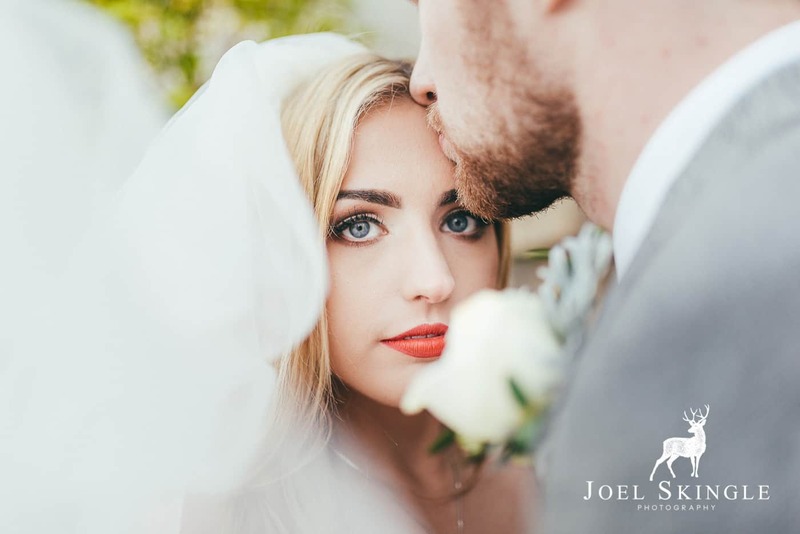 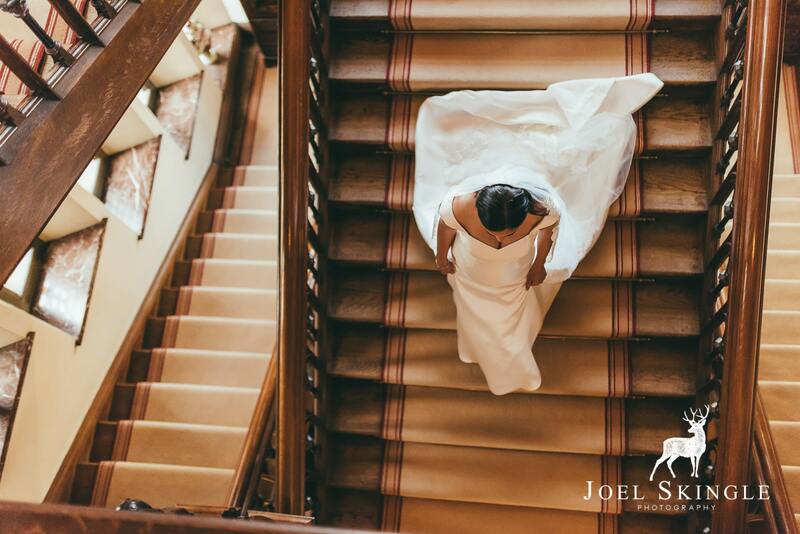 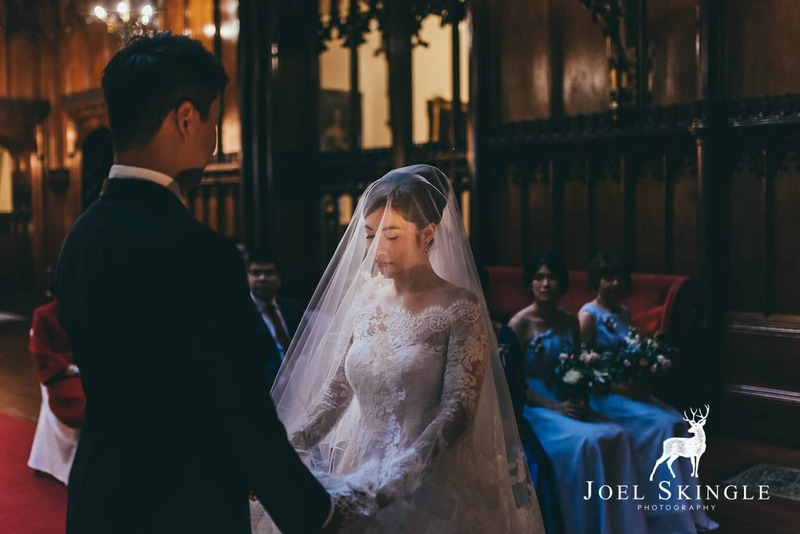 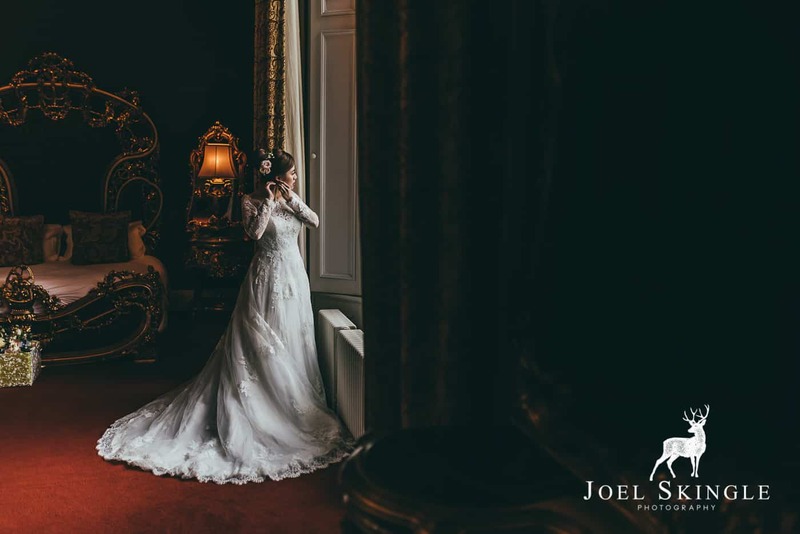 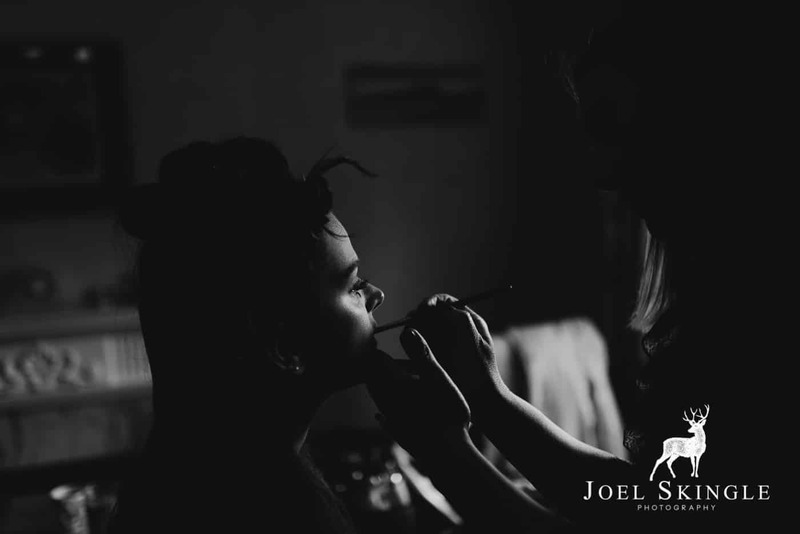 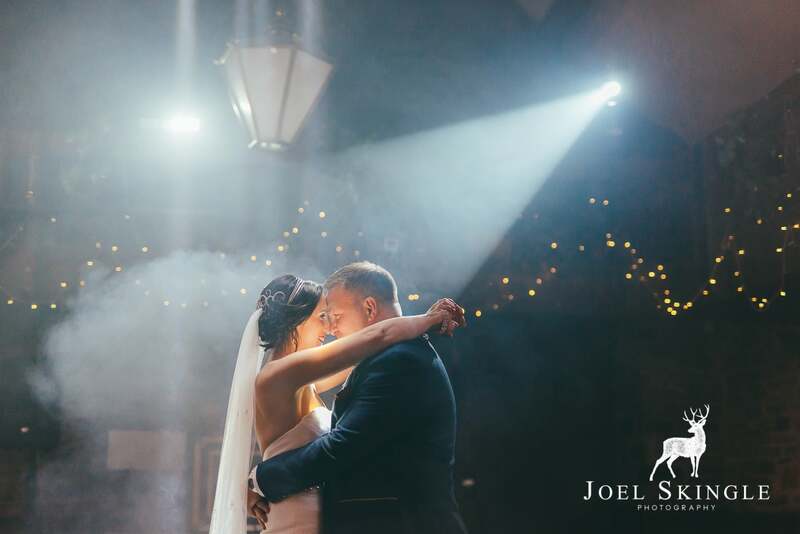 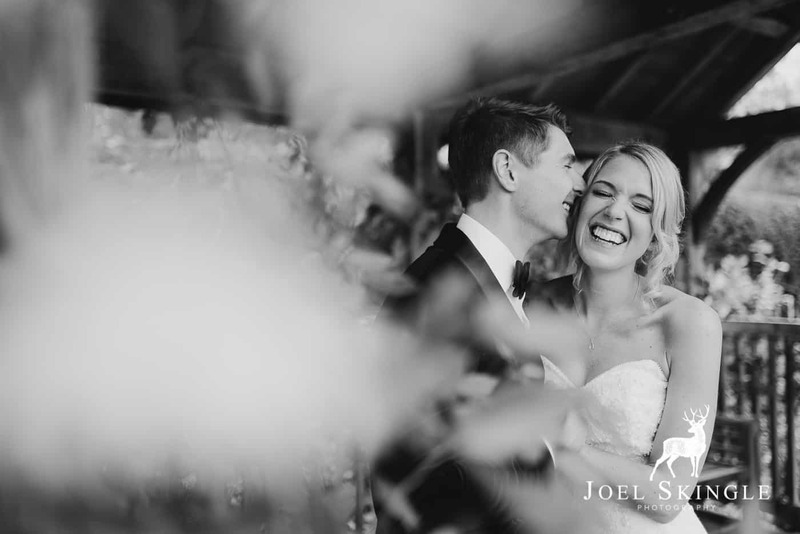 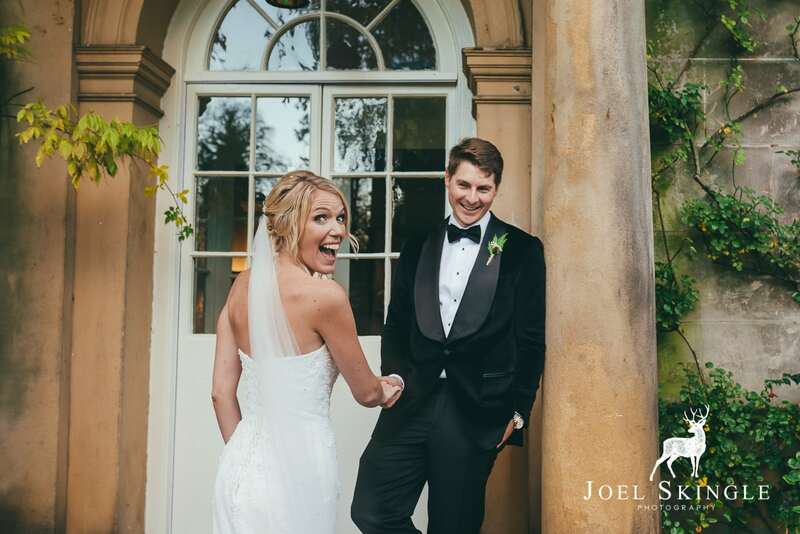 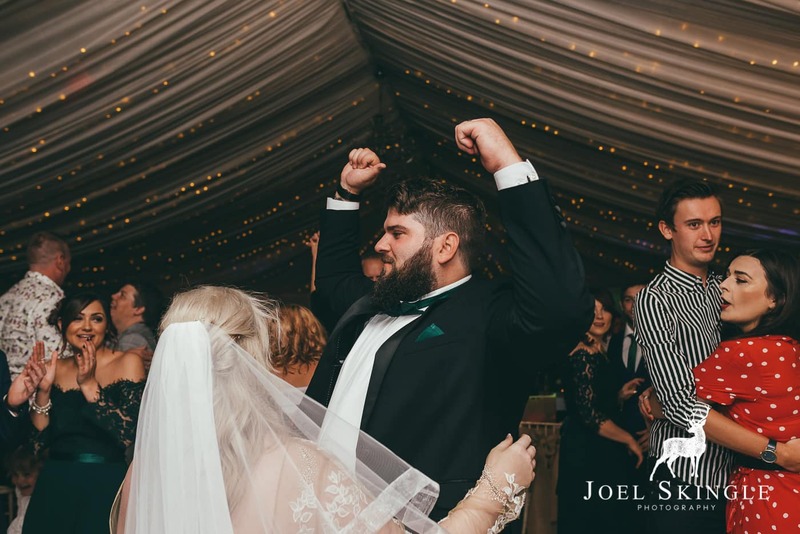 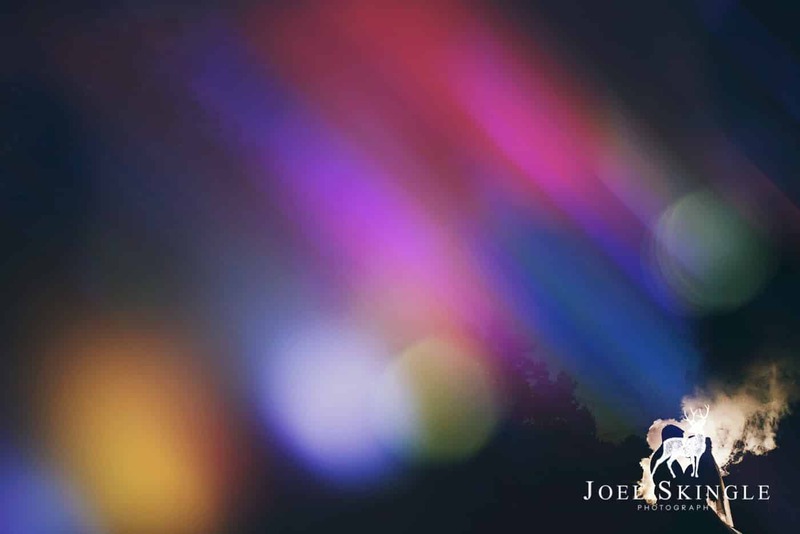 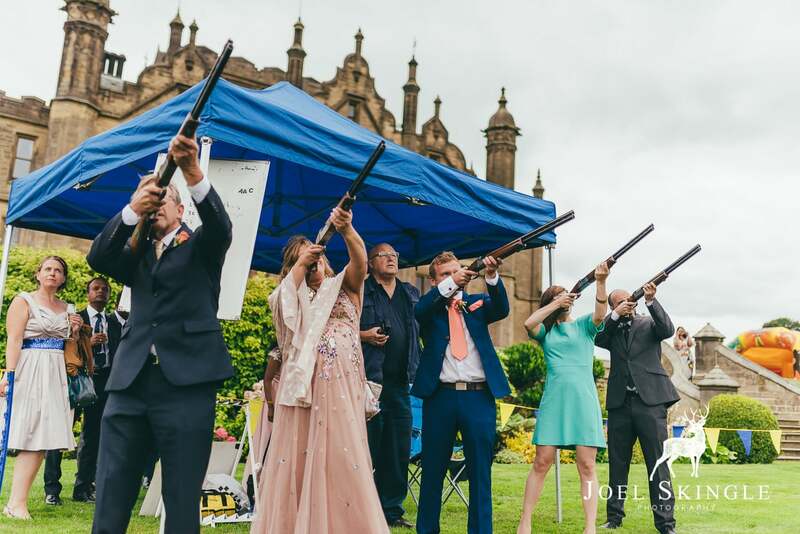 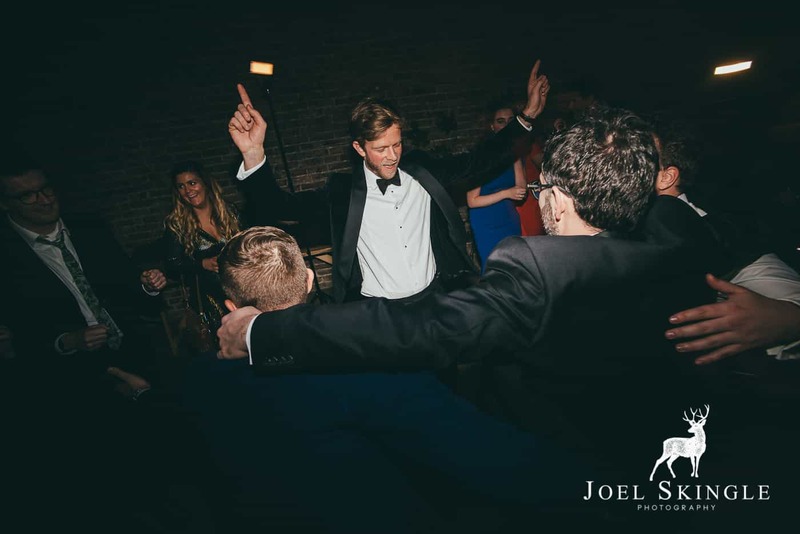 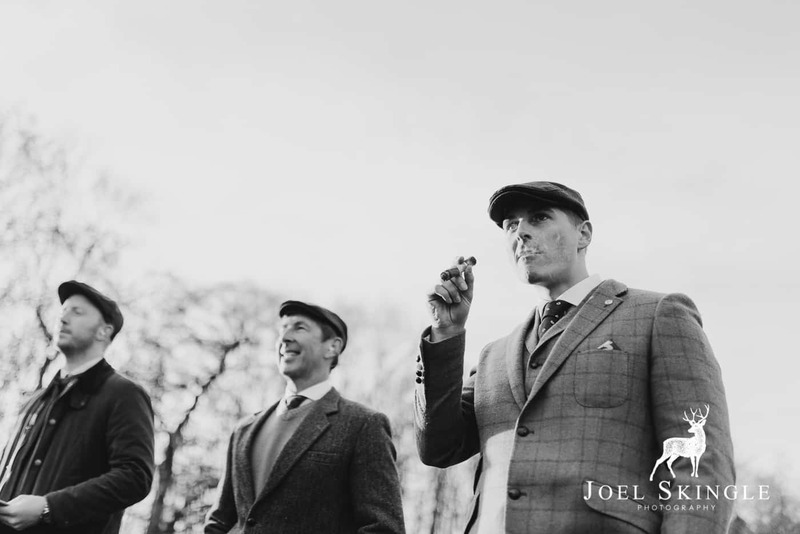 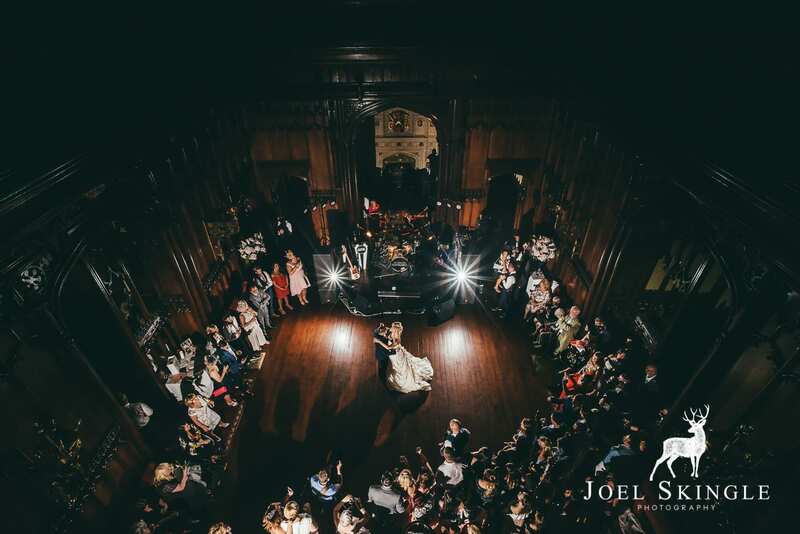 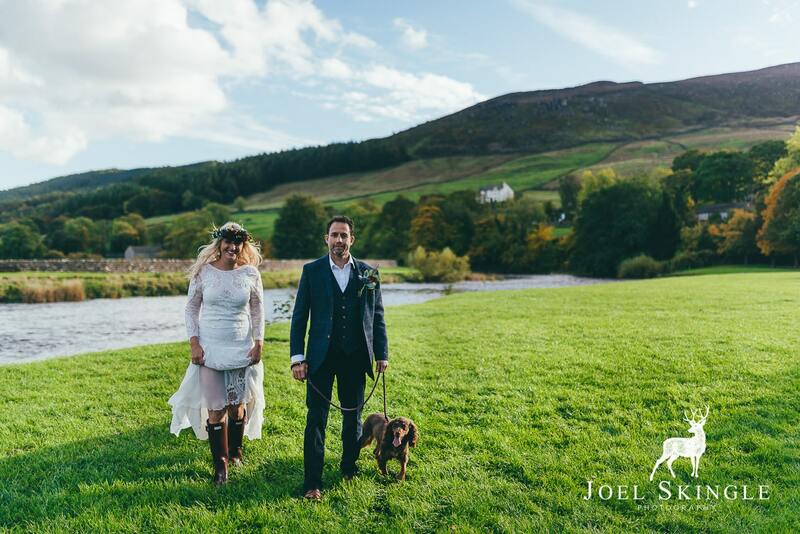 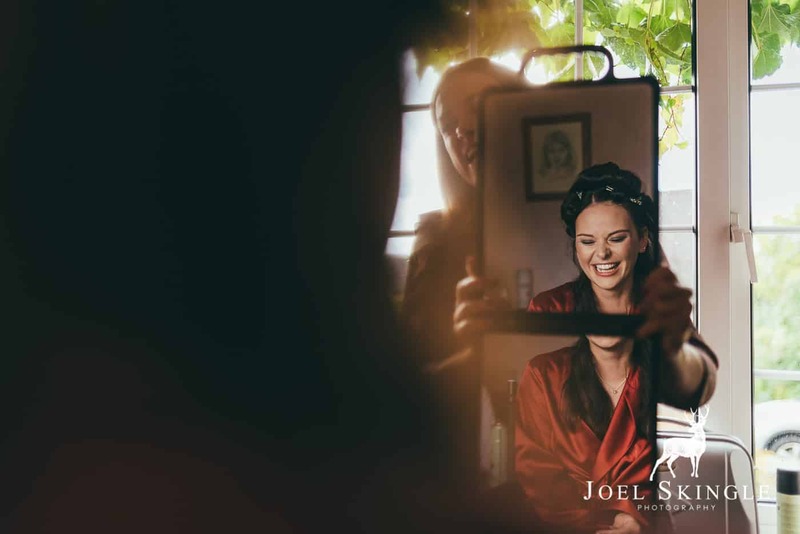 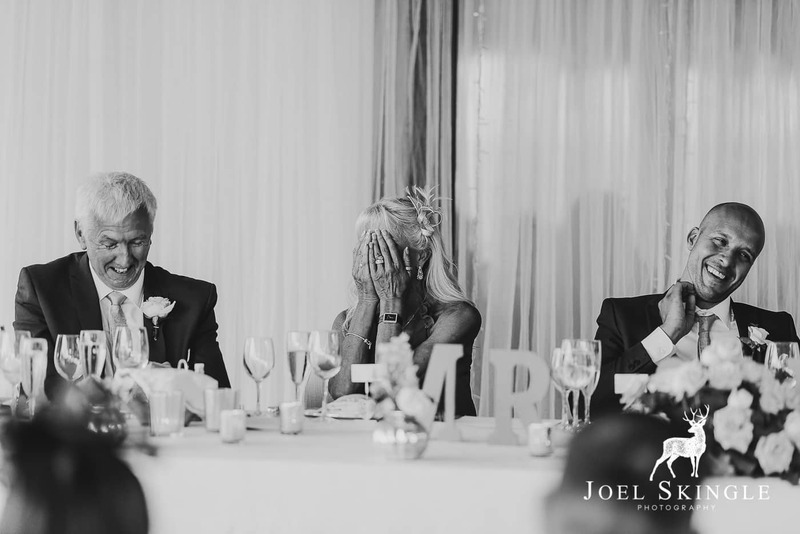 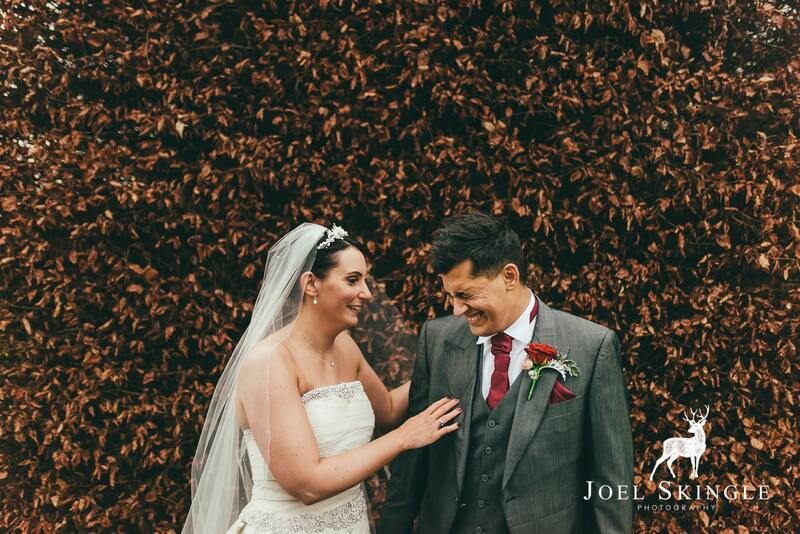 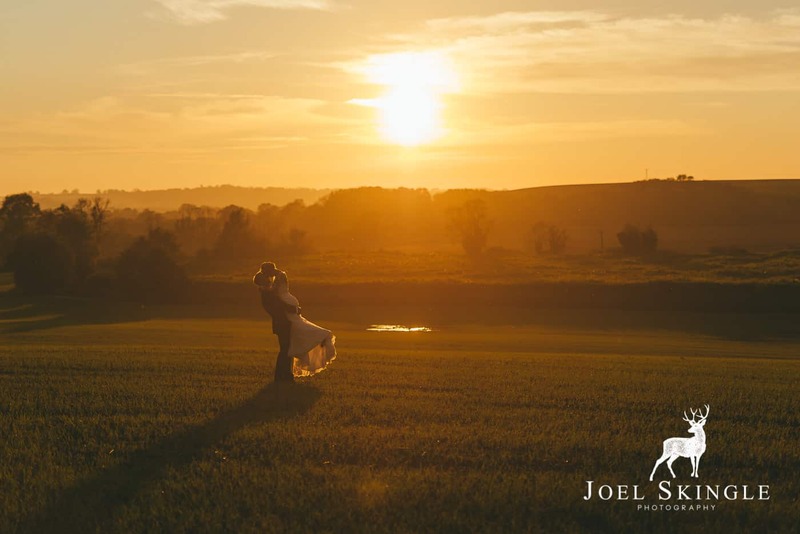 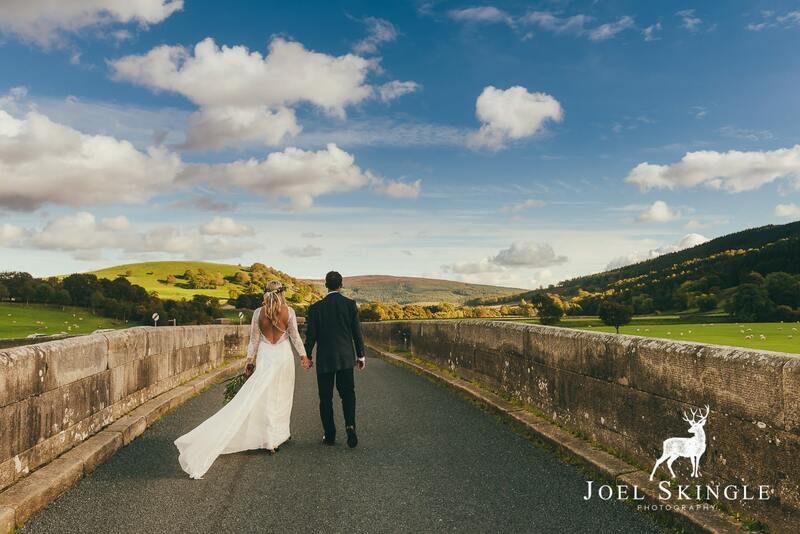 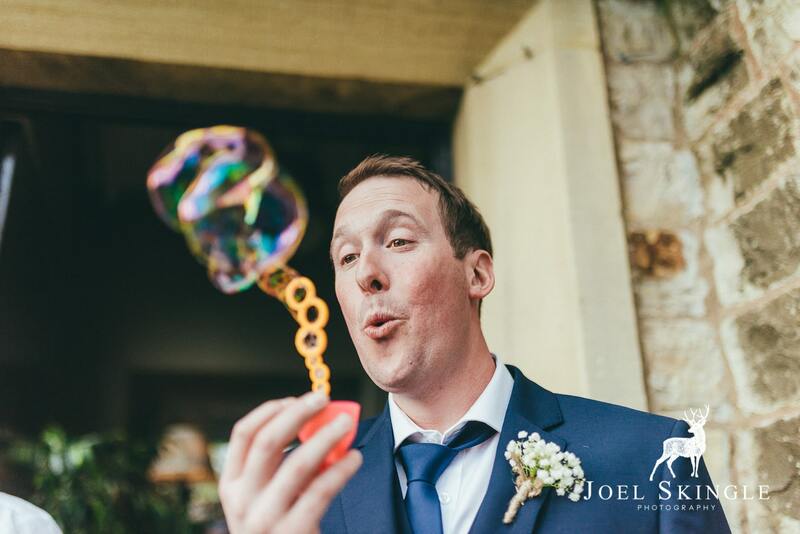 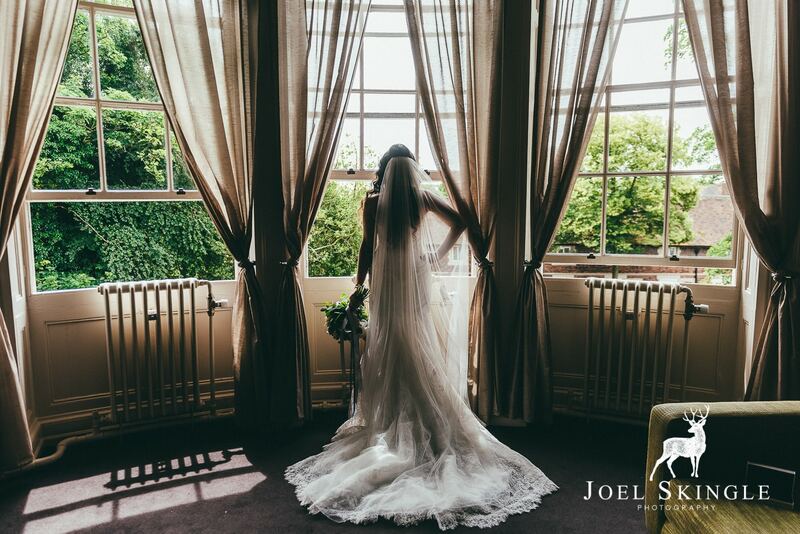 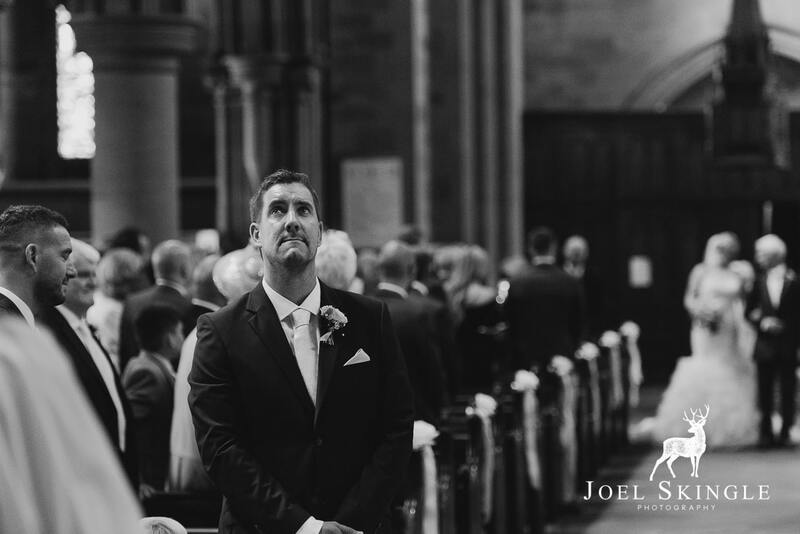 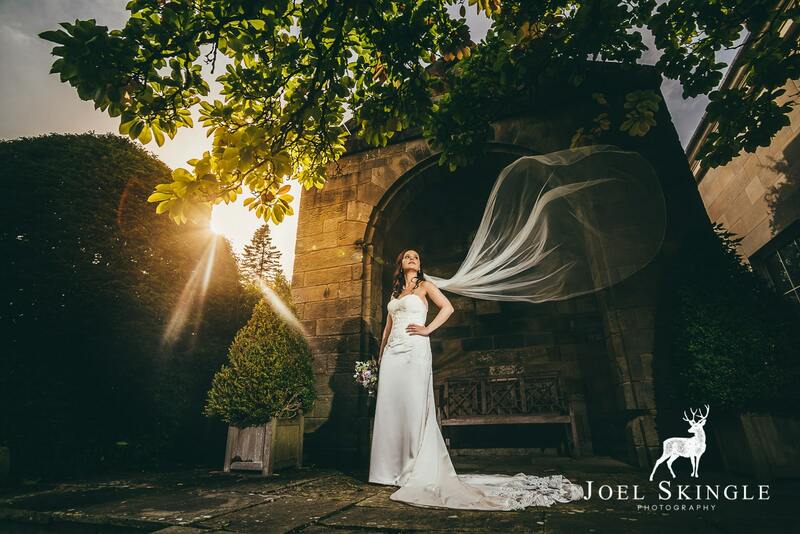 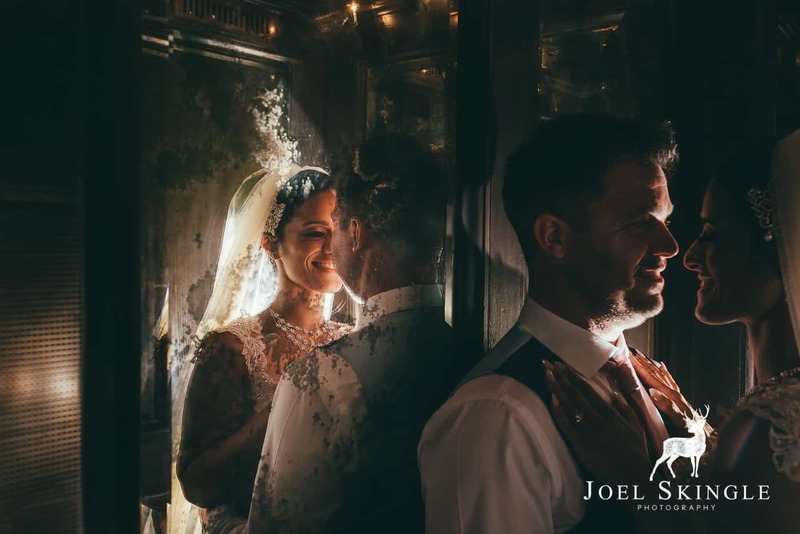 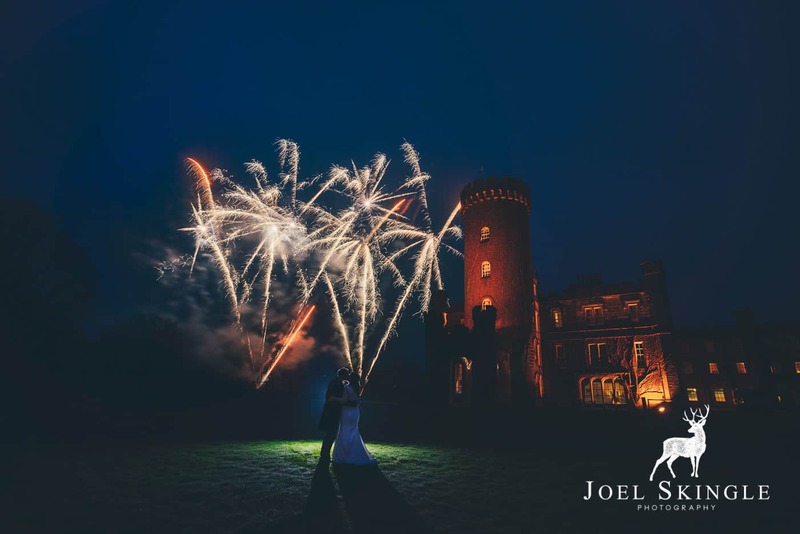 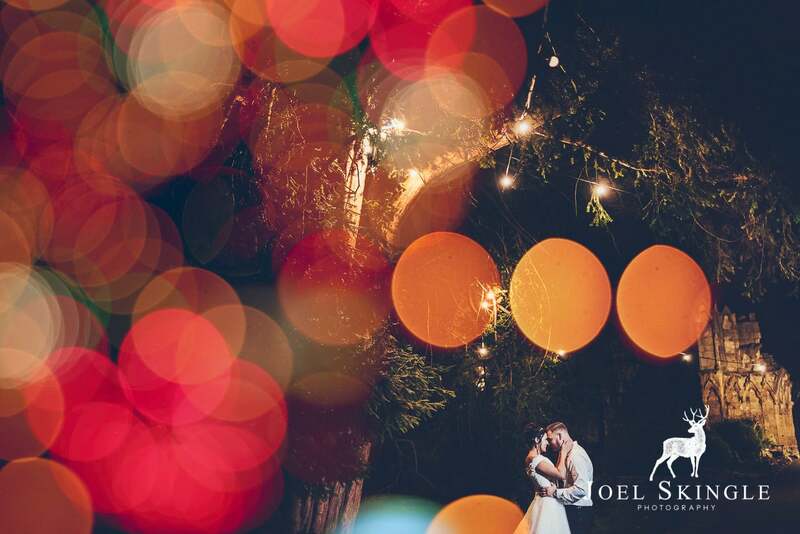 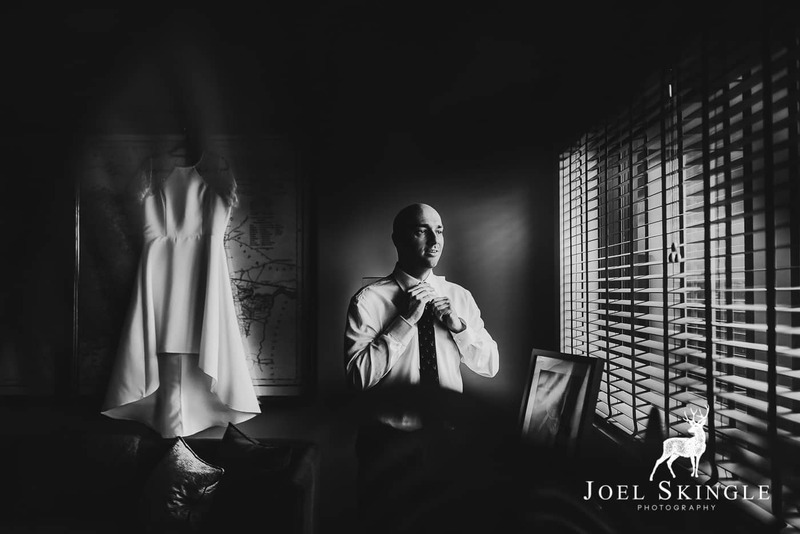 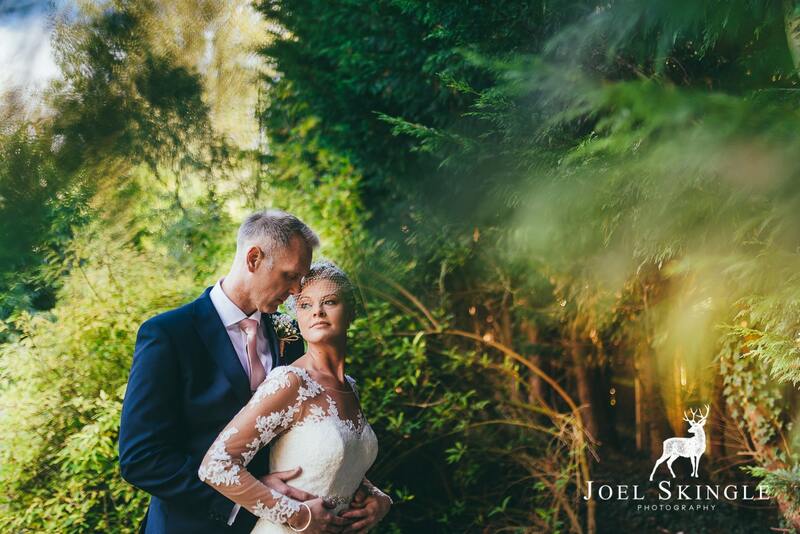 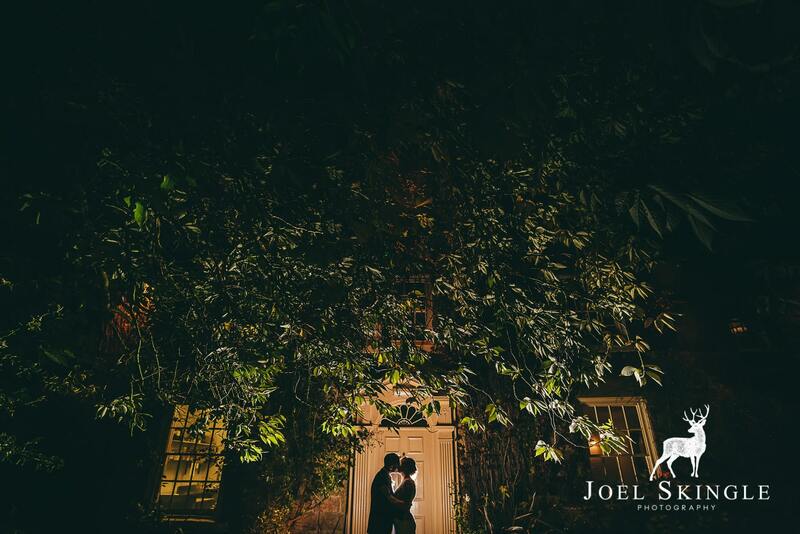 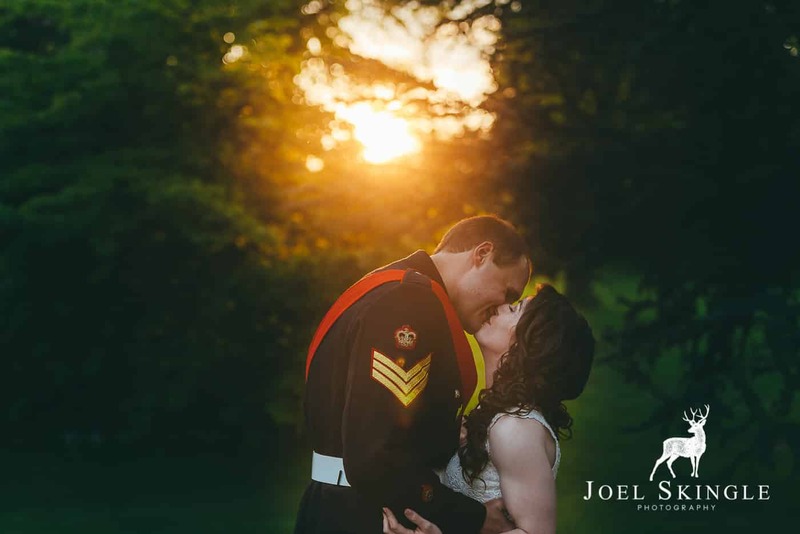 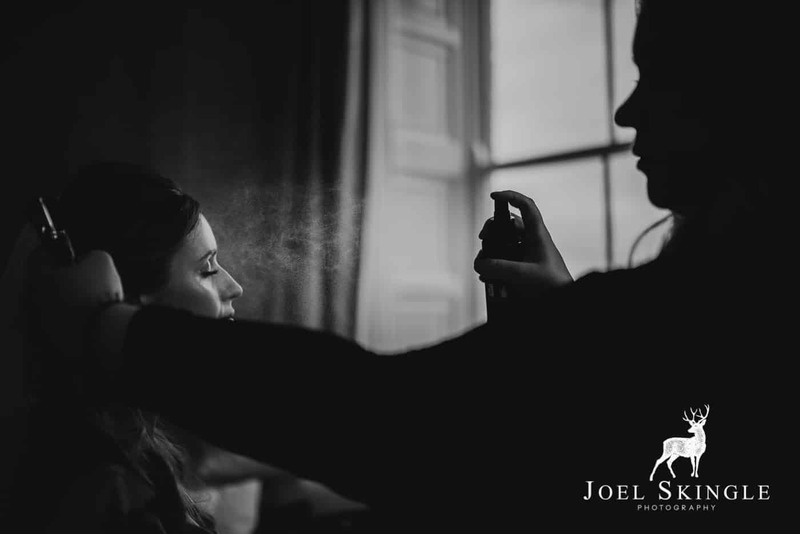 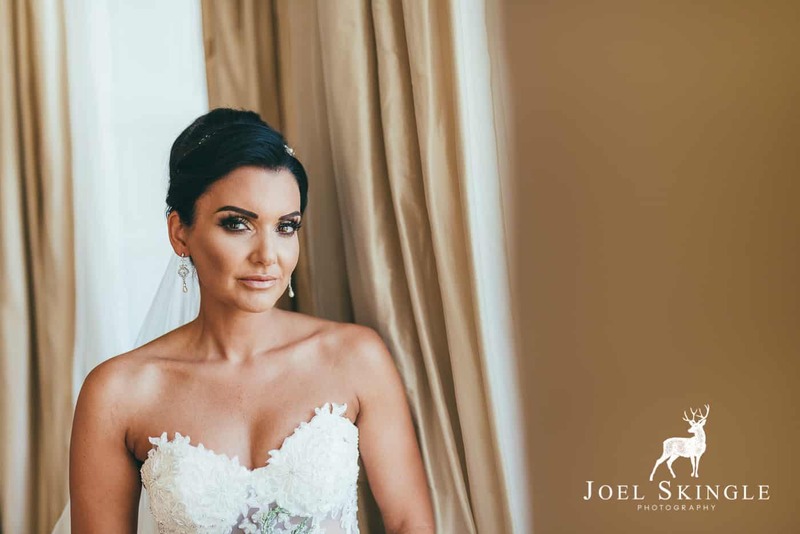 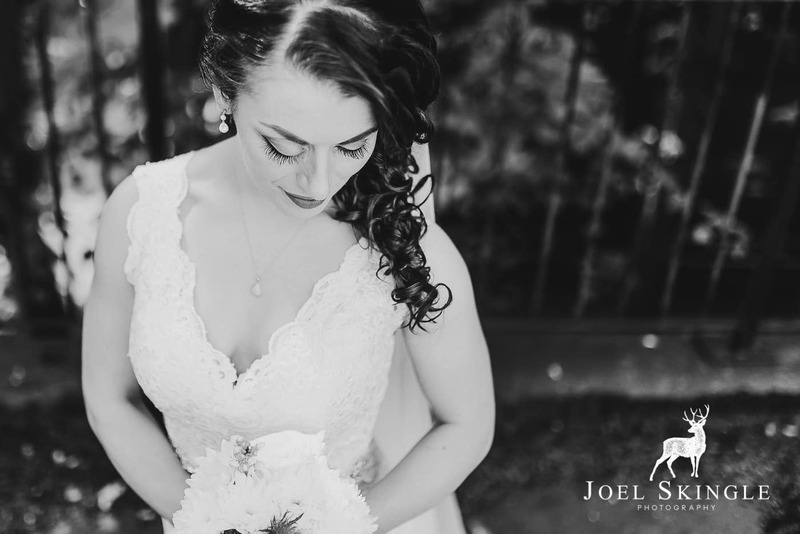 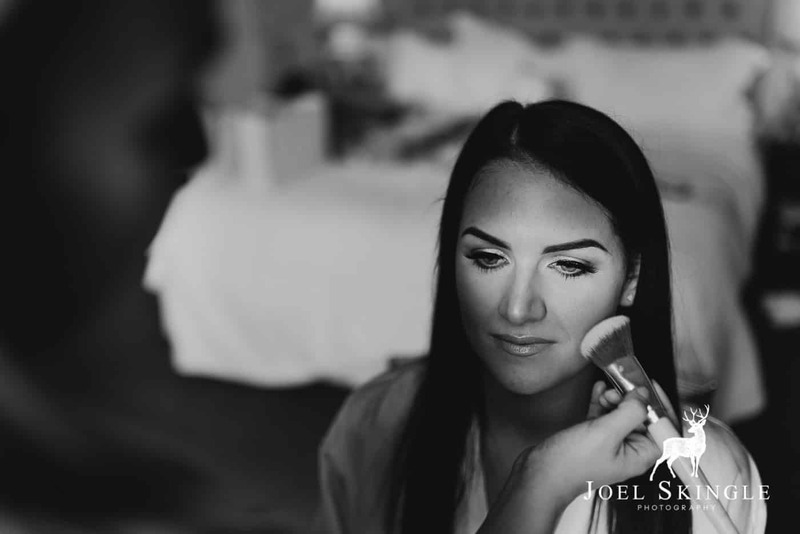 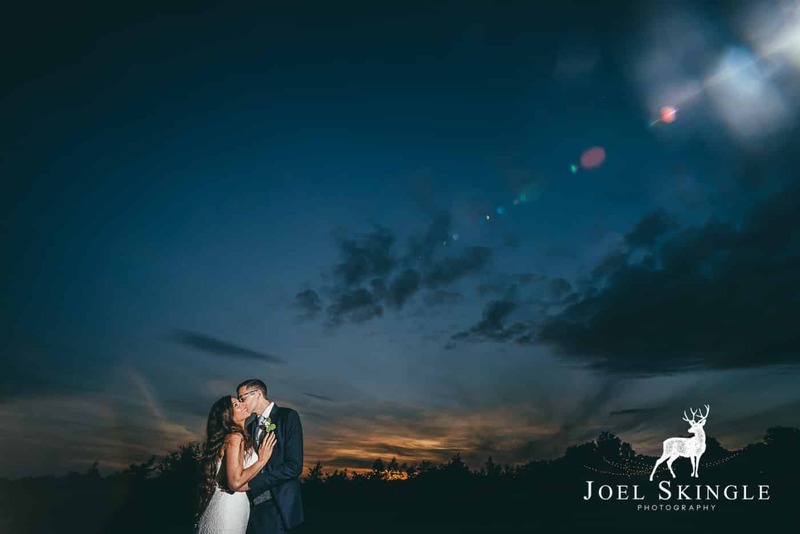 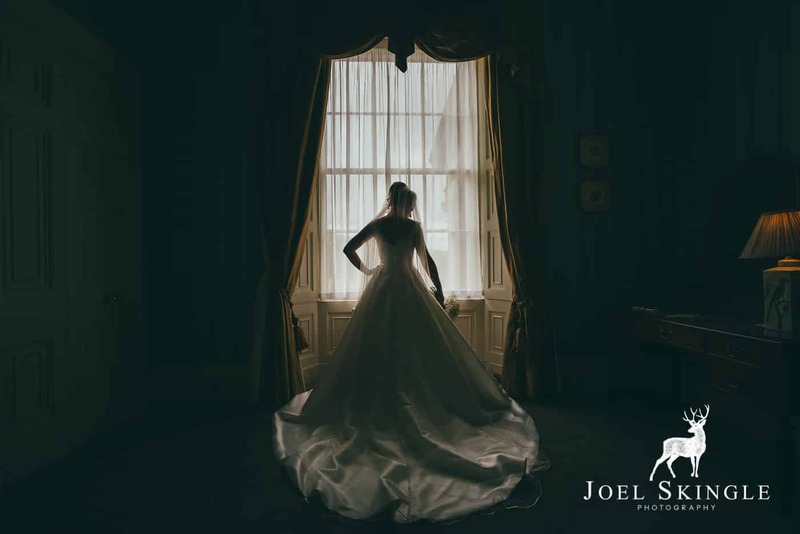 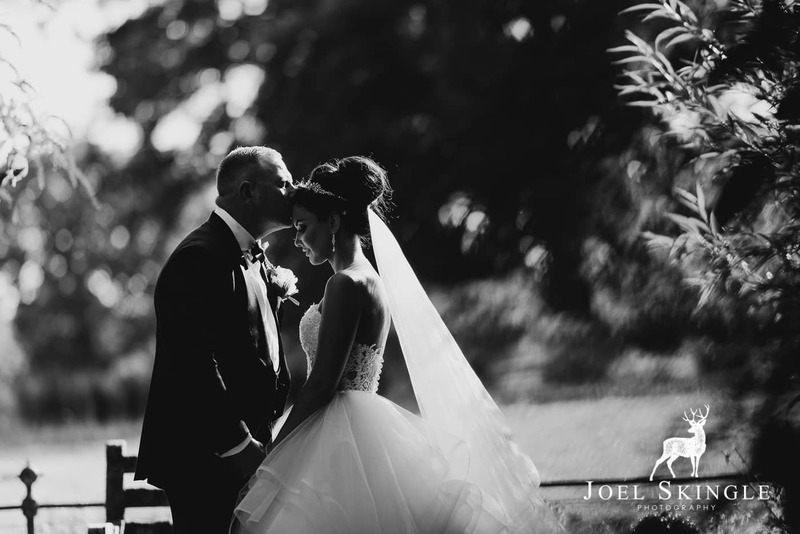 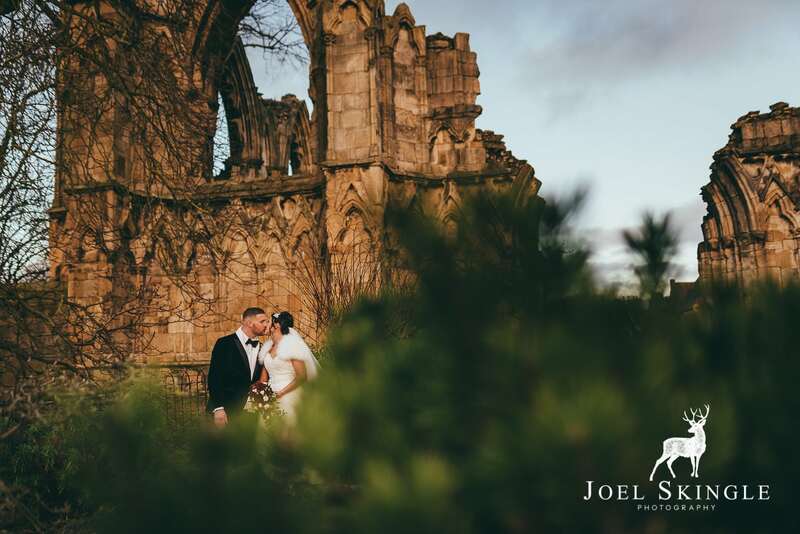 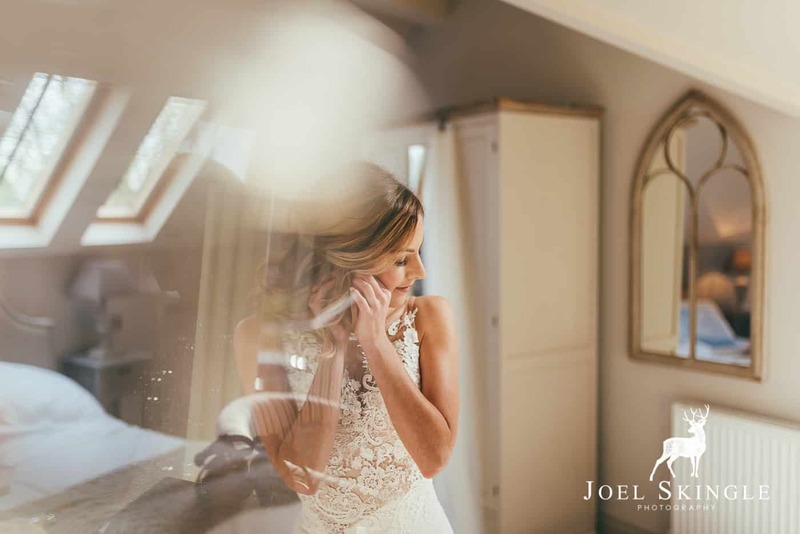 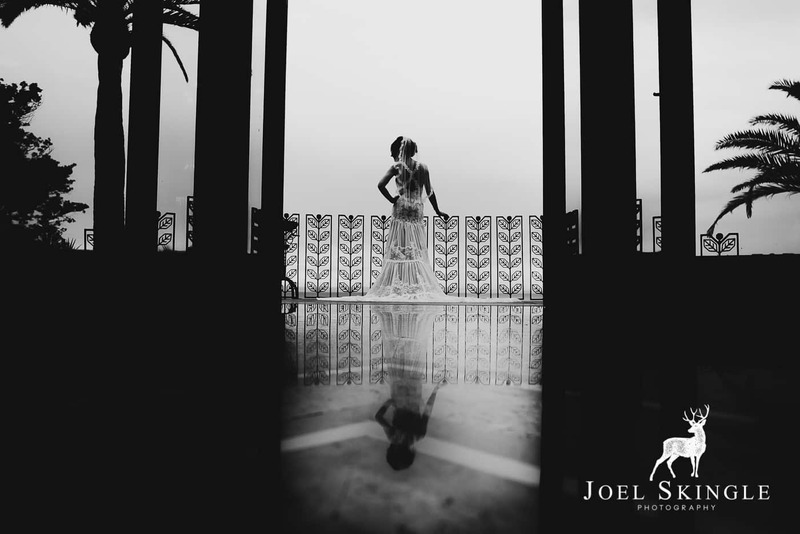 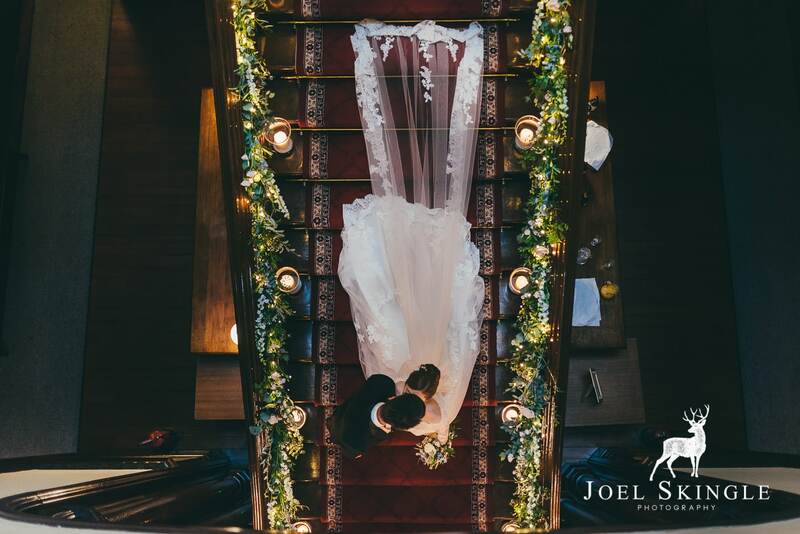 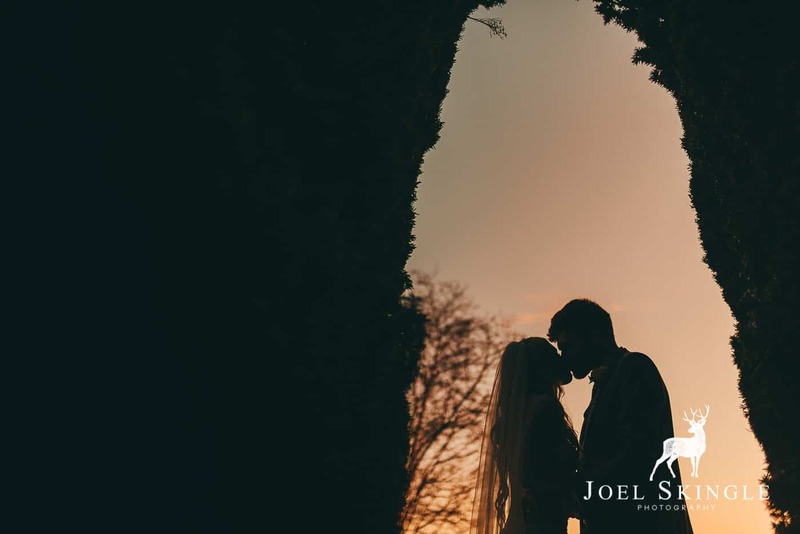 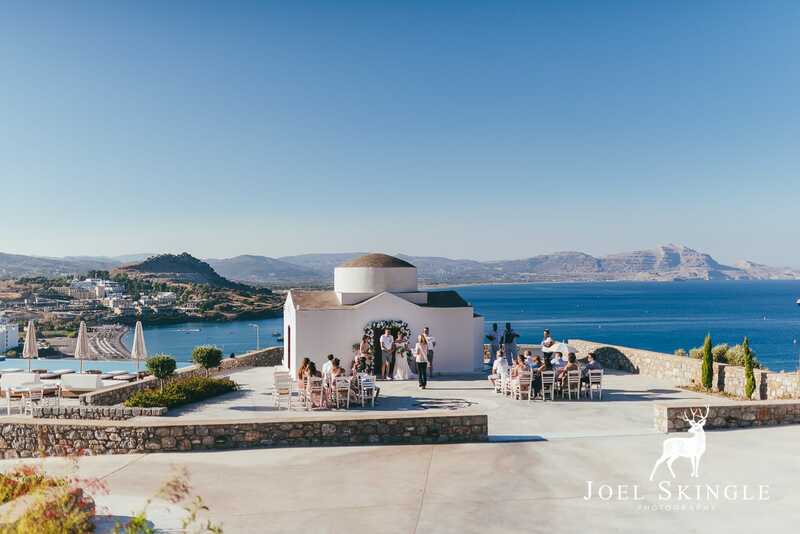 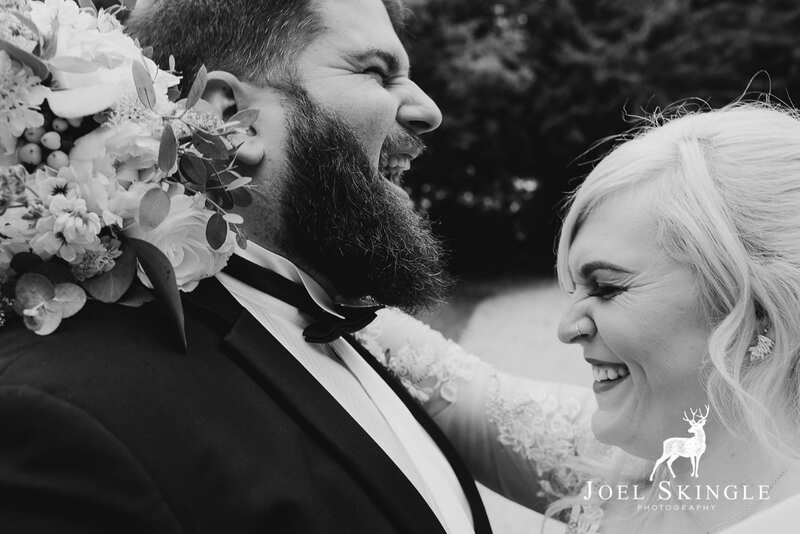 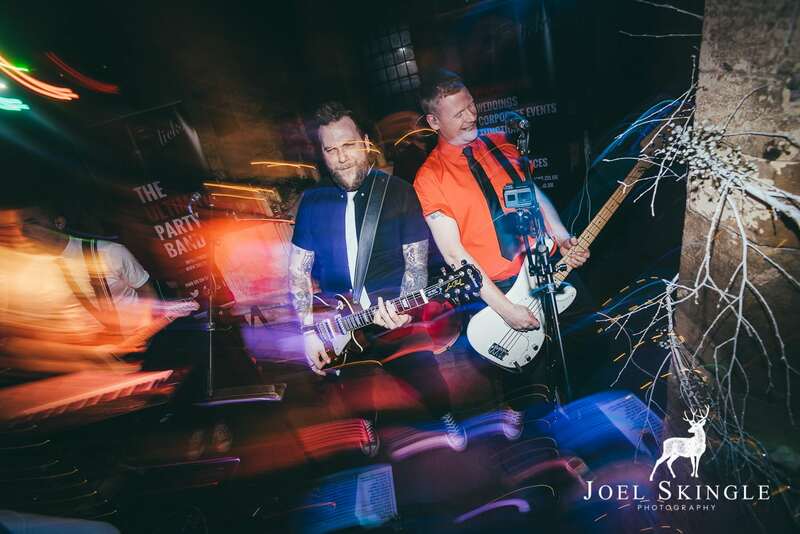 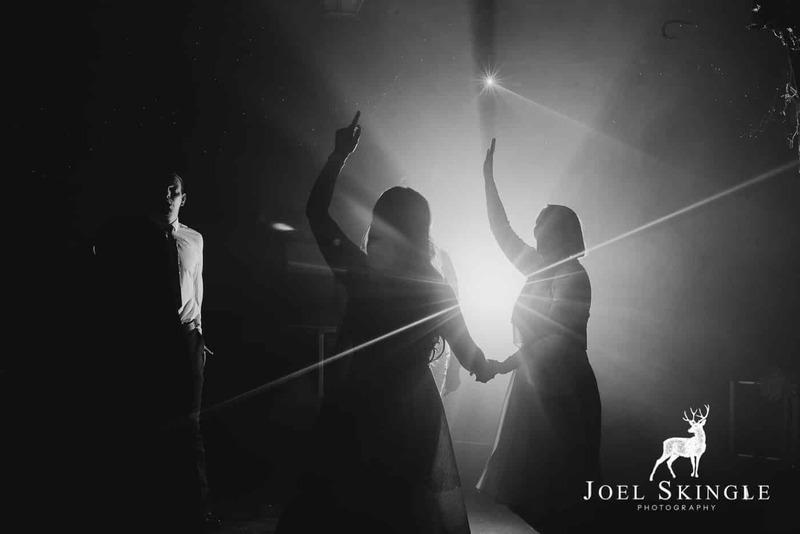 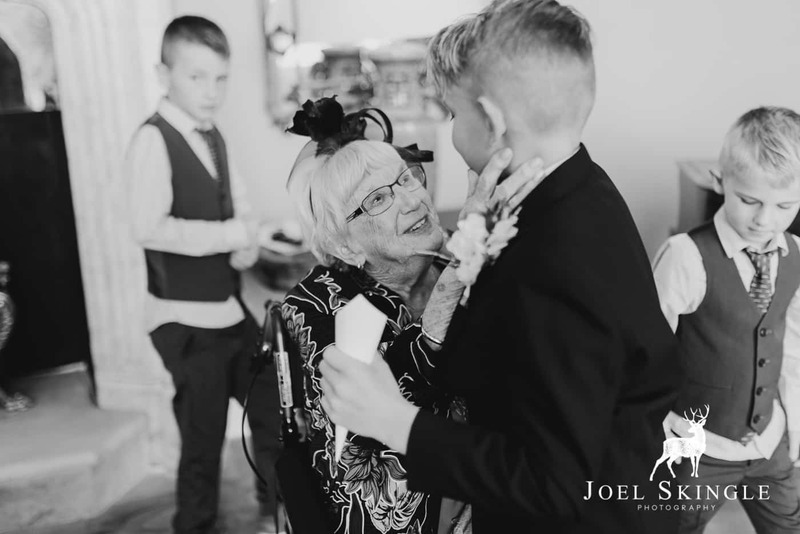 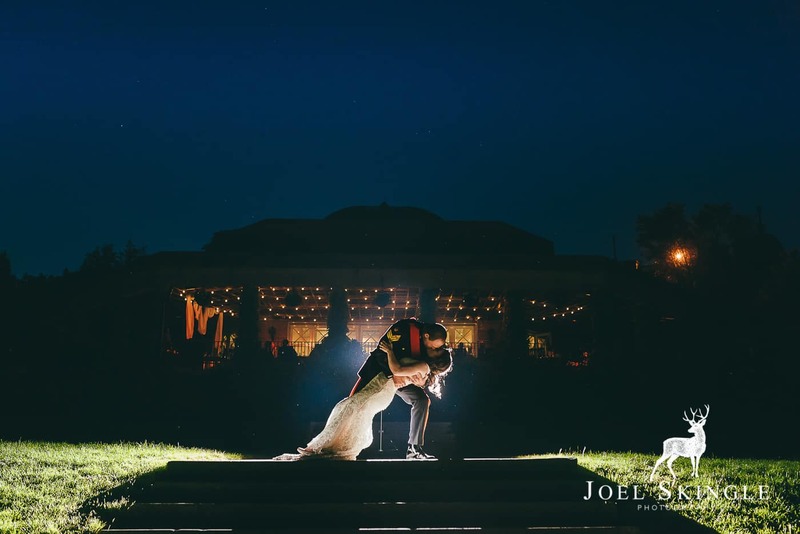 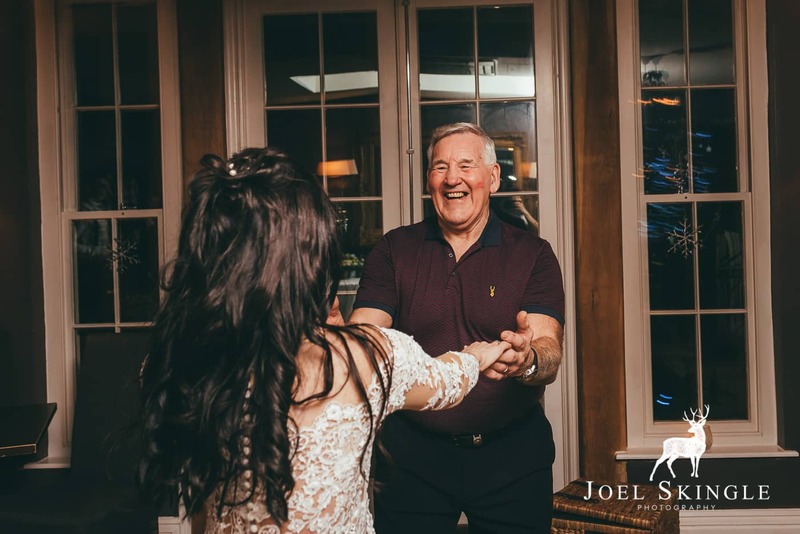 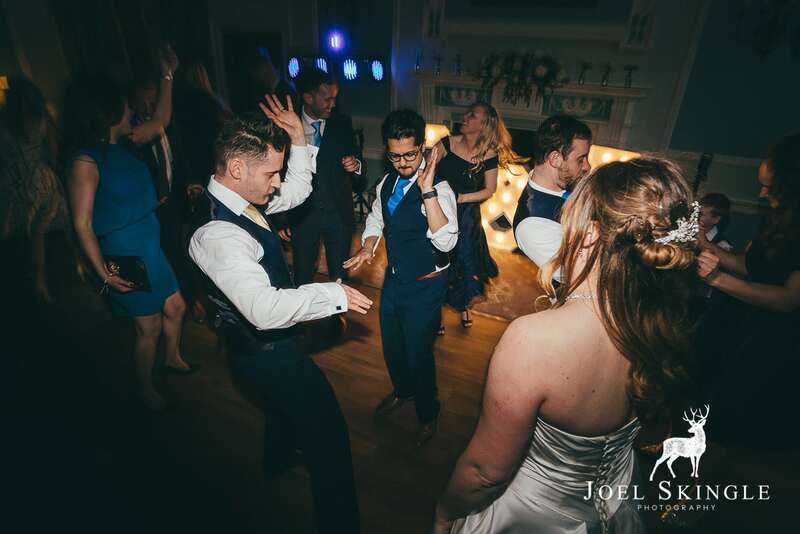 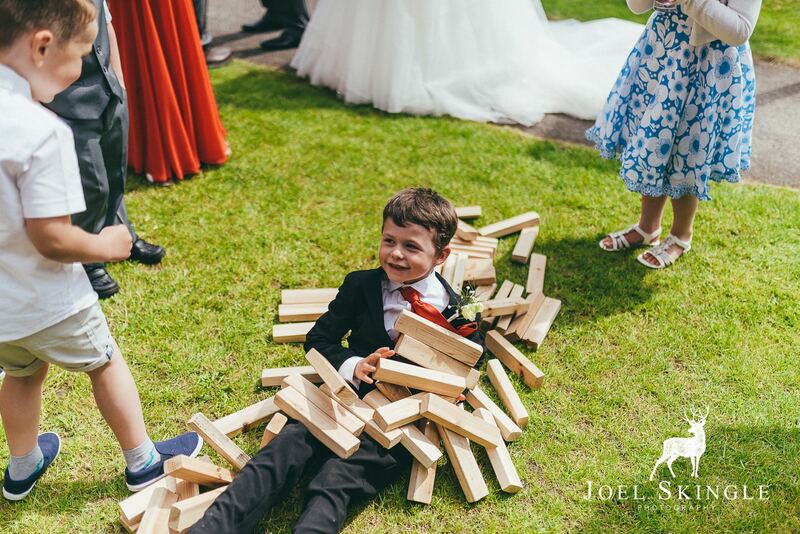 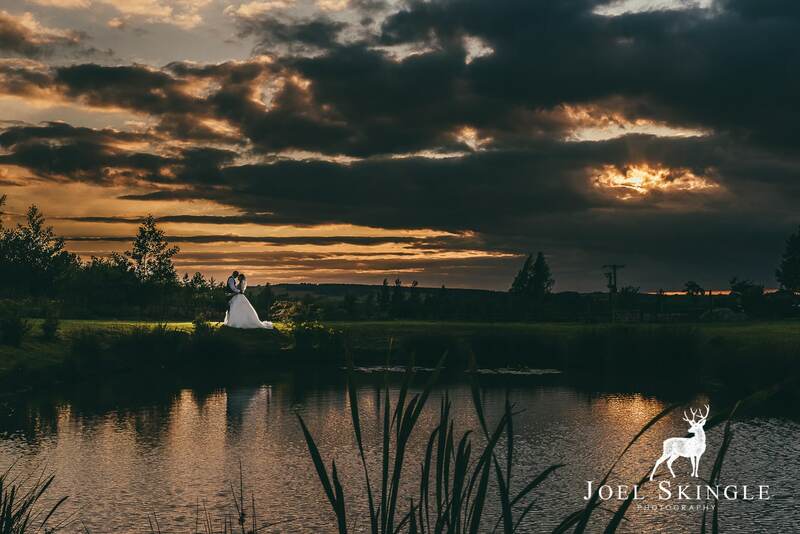 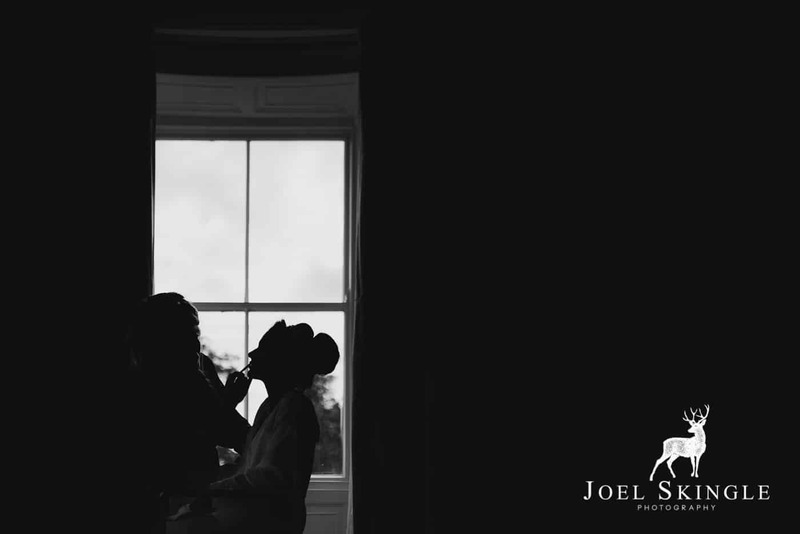 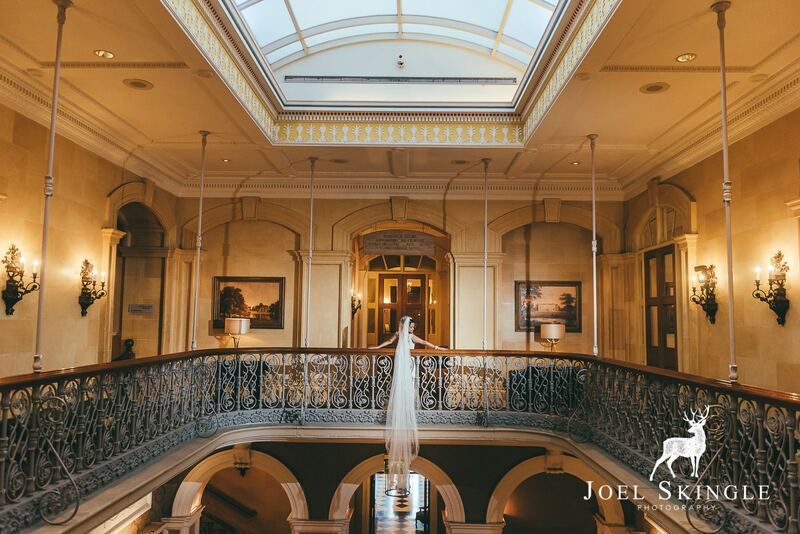 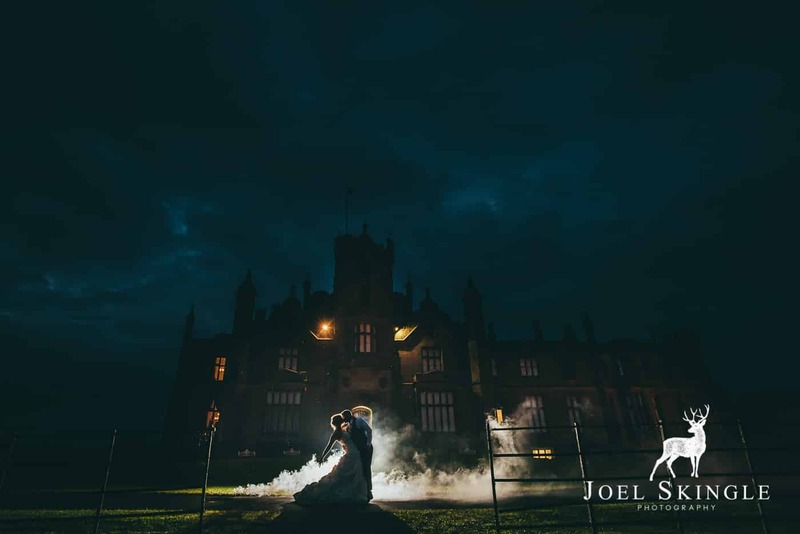 I get that first and foremost you want great photos from your wedding day but with someone like Joel that is a given. 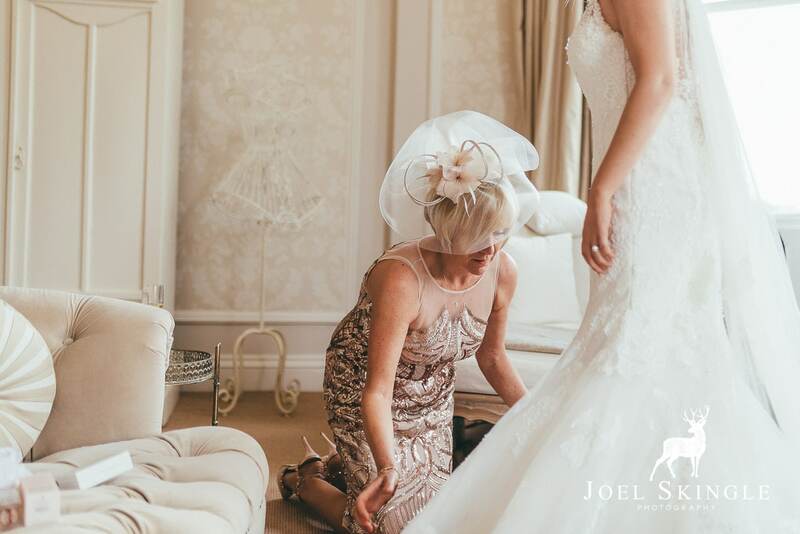 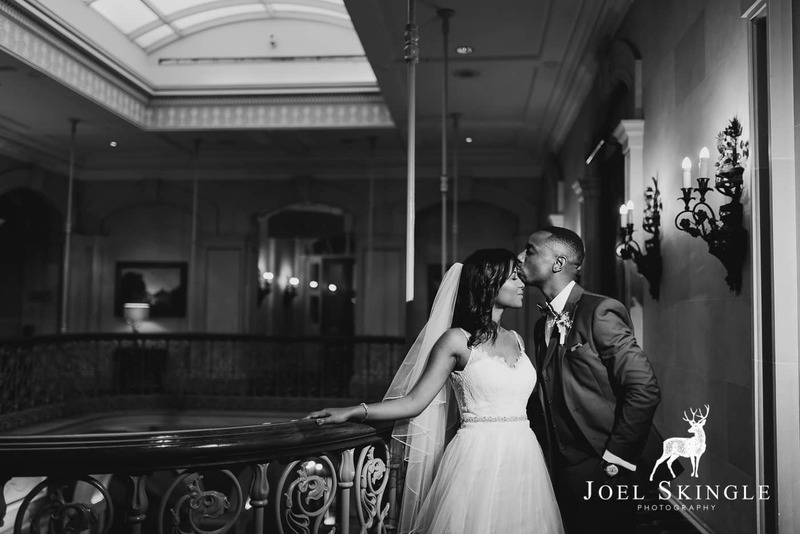 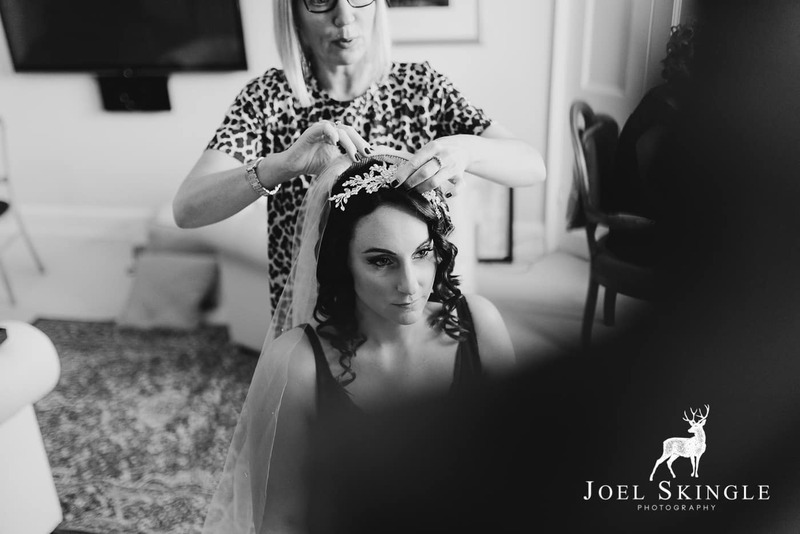 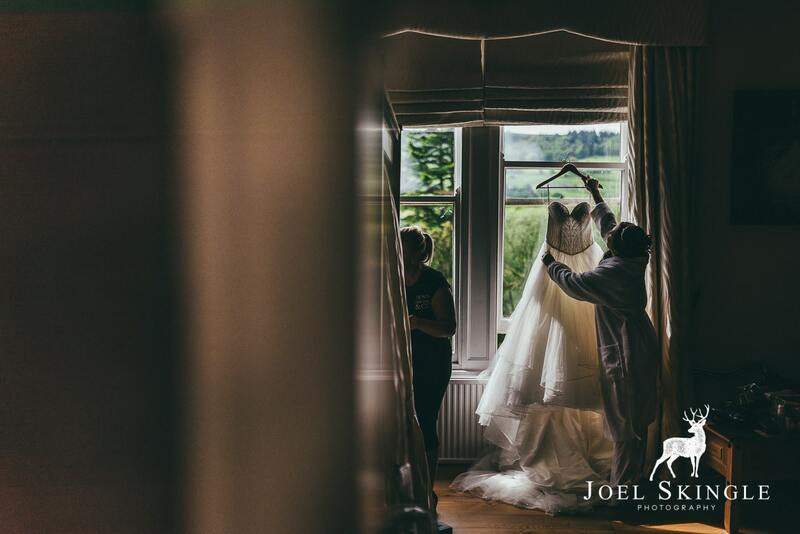 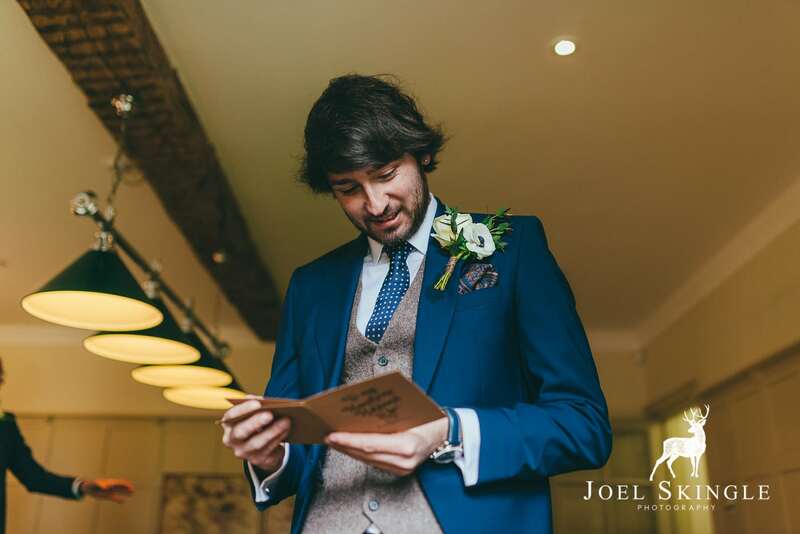 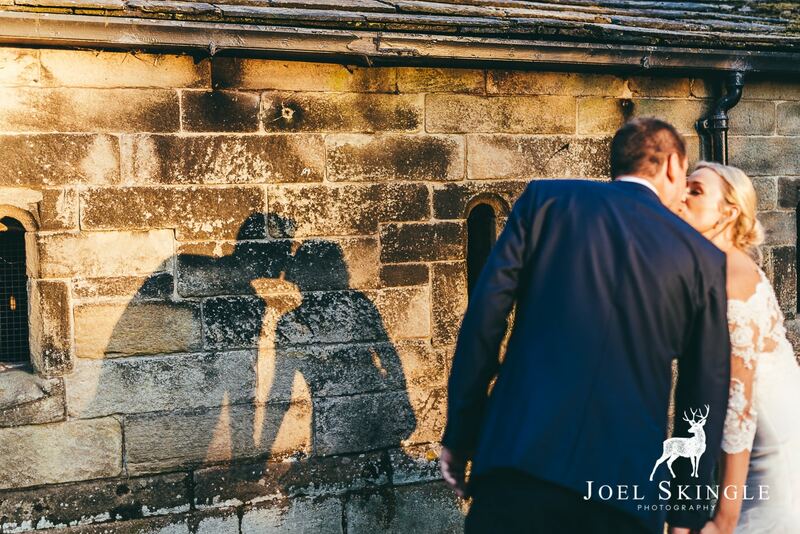 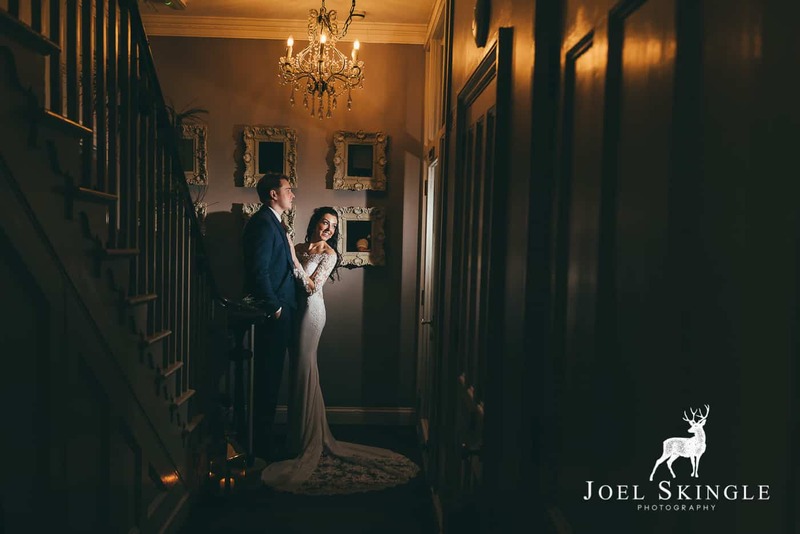 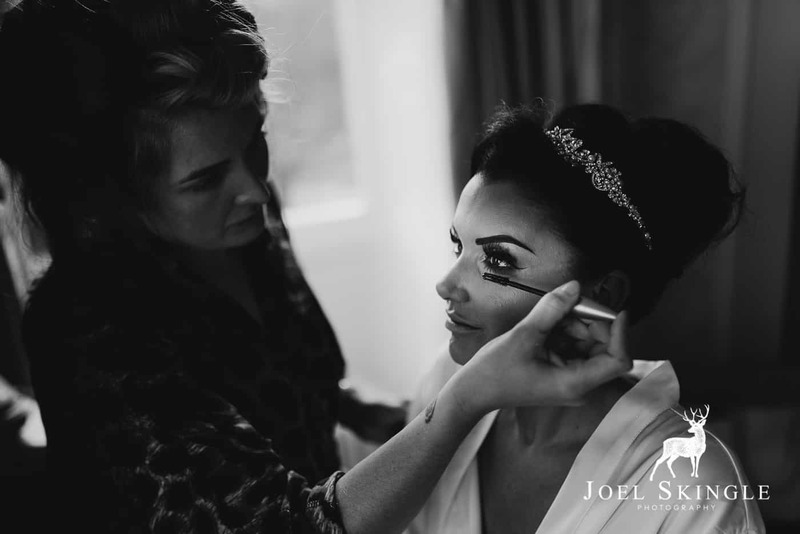 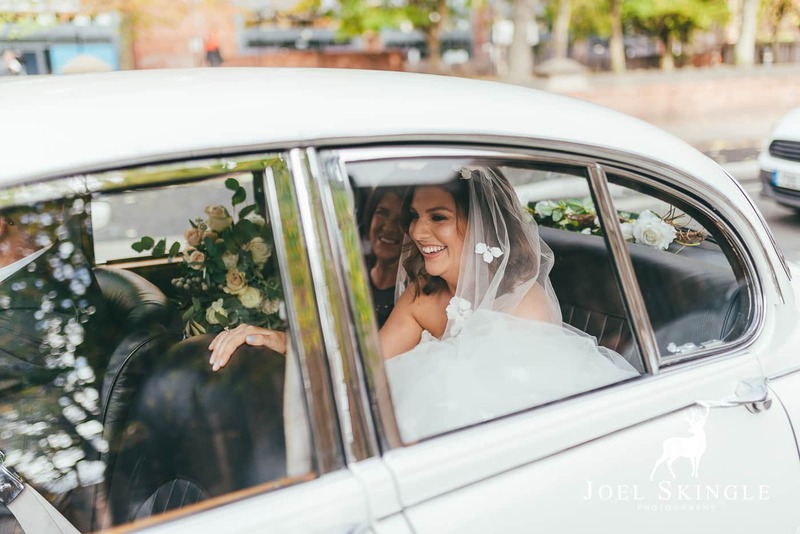 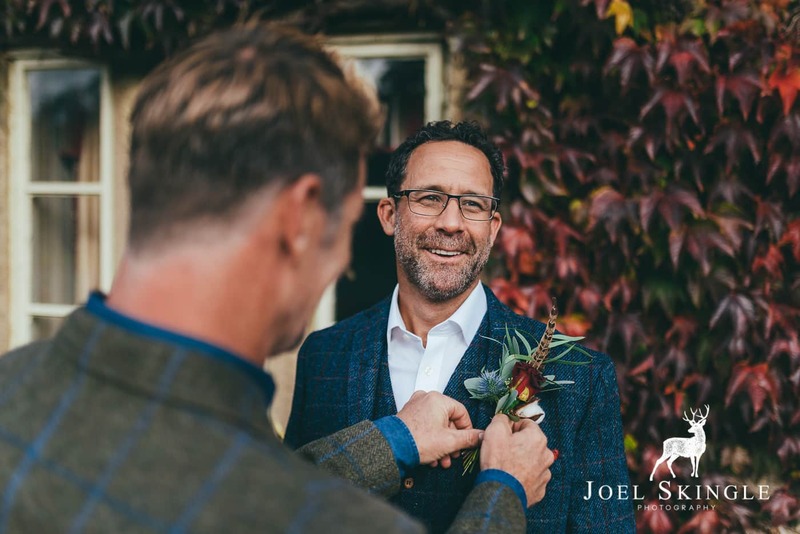 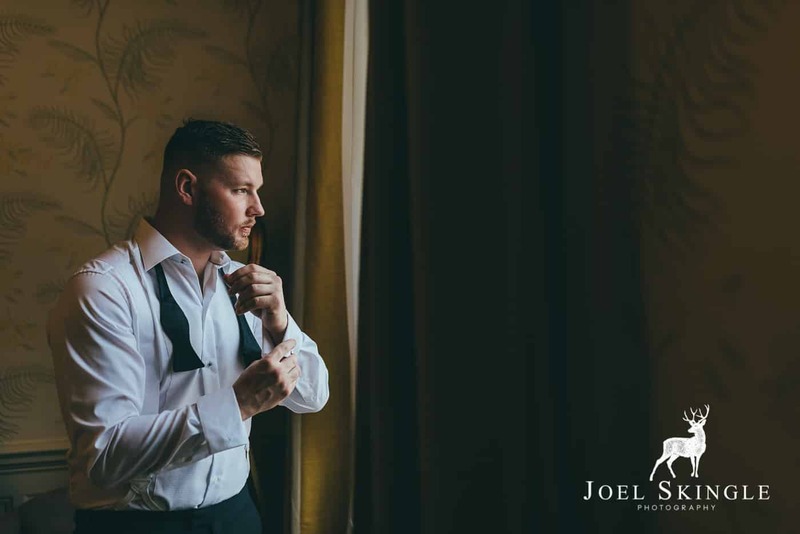 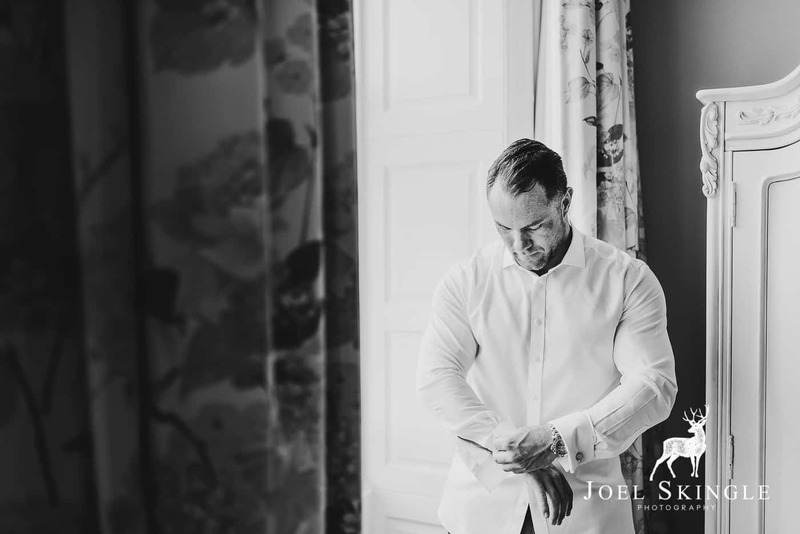 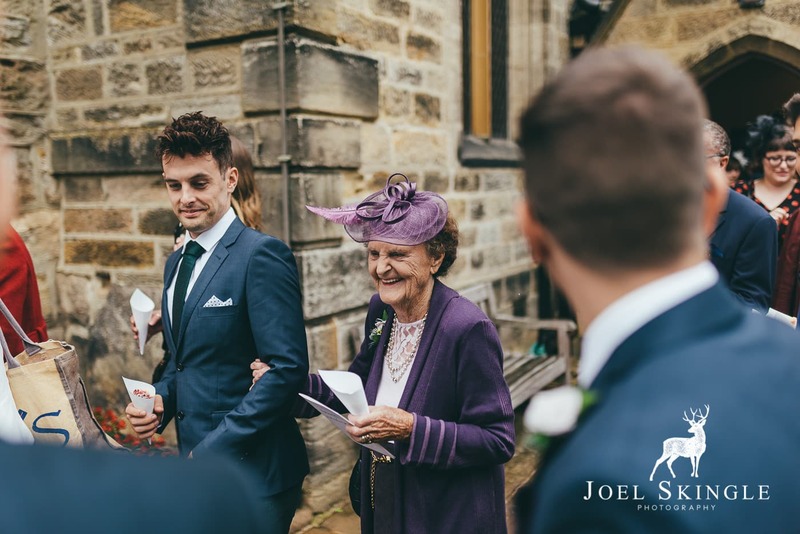 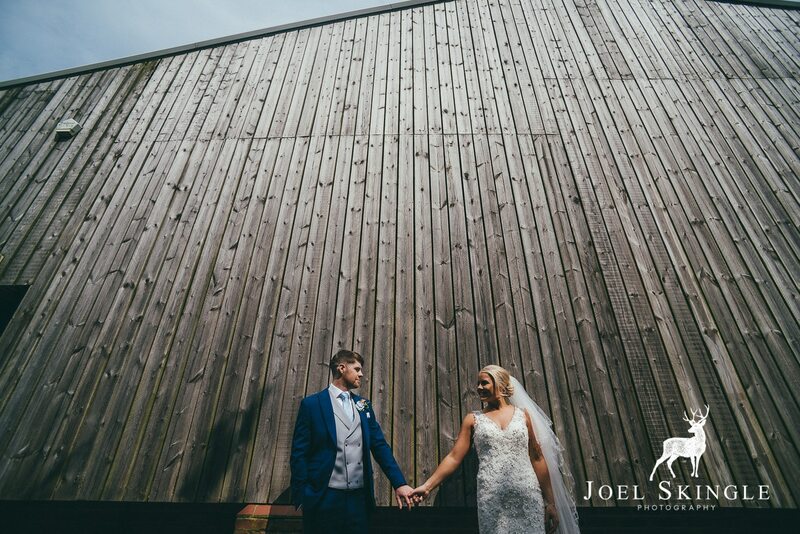 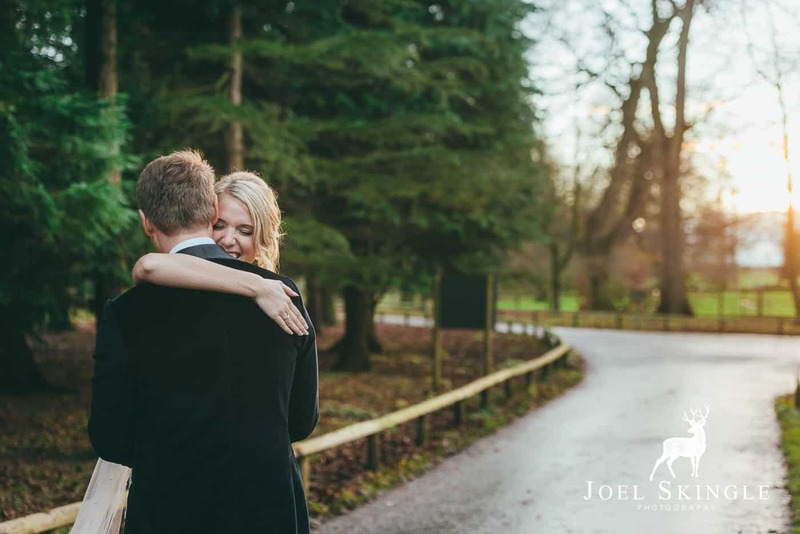 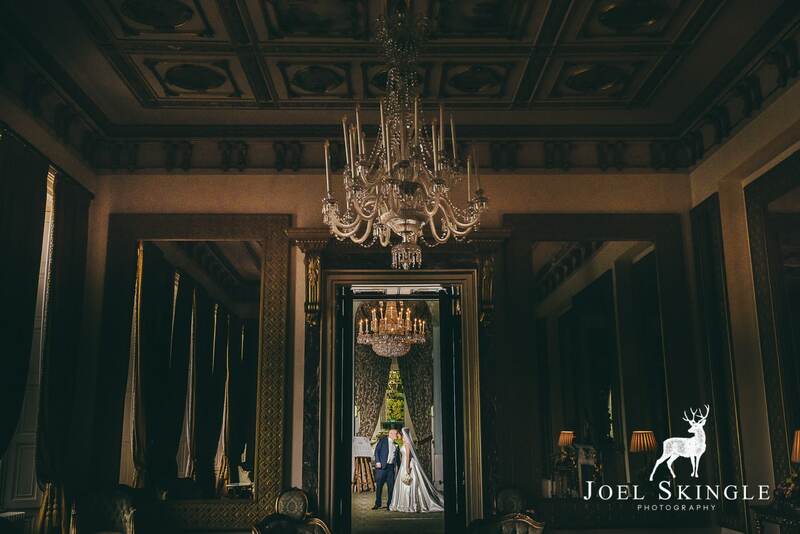 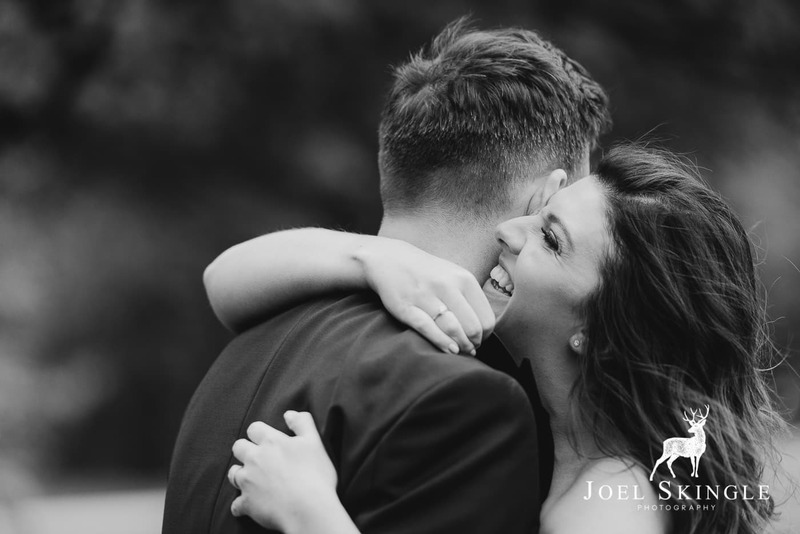 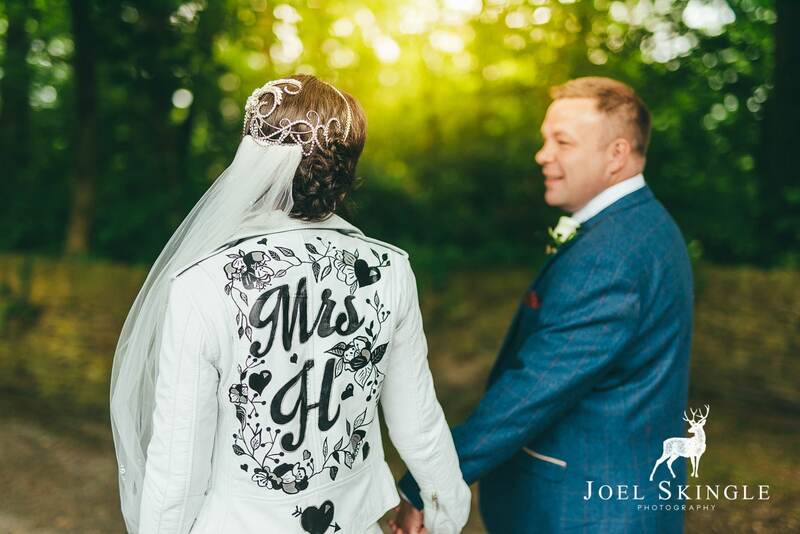 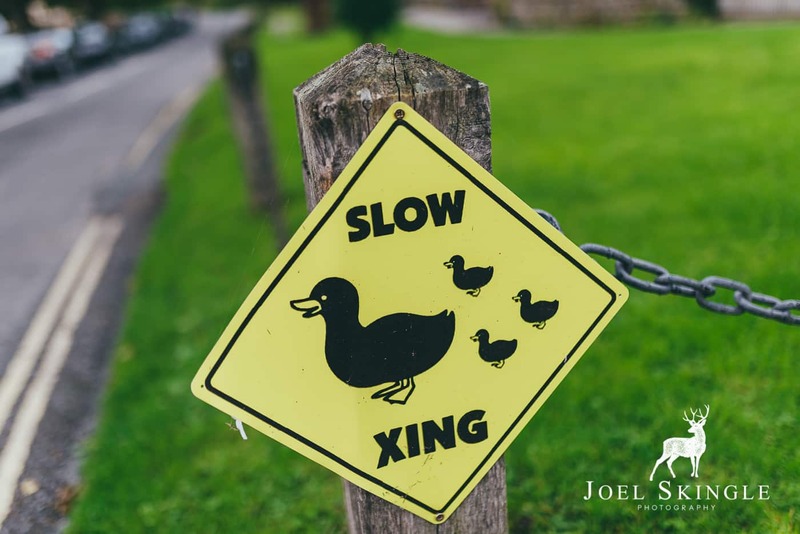 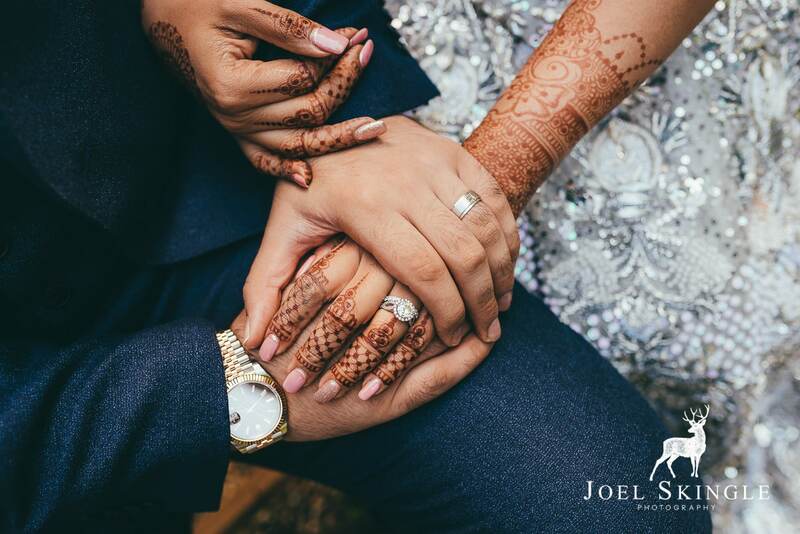 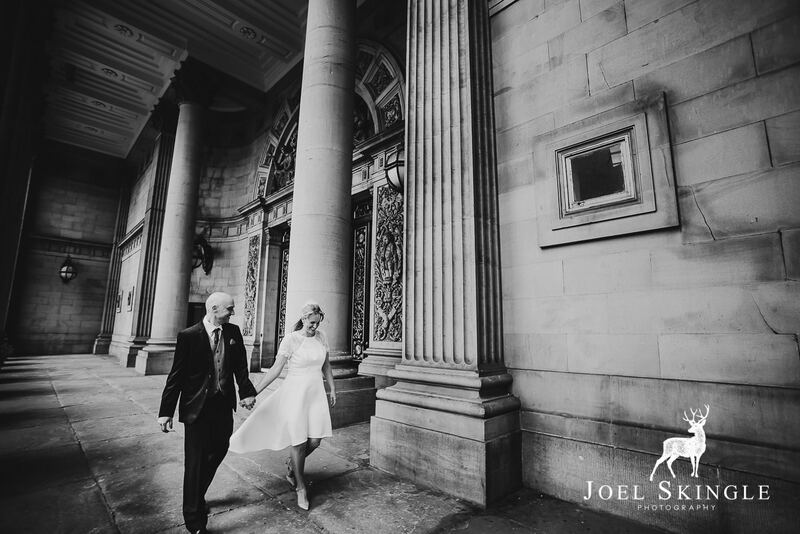 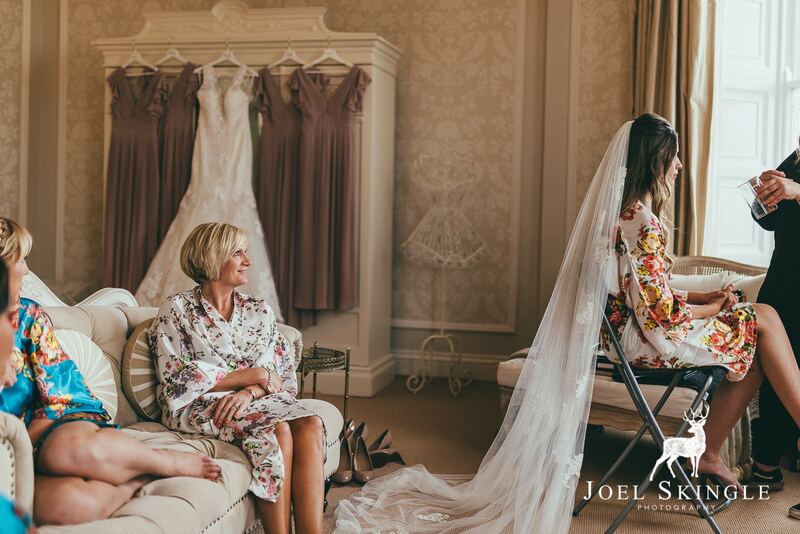 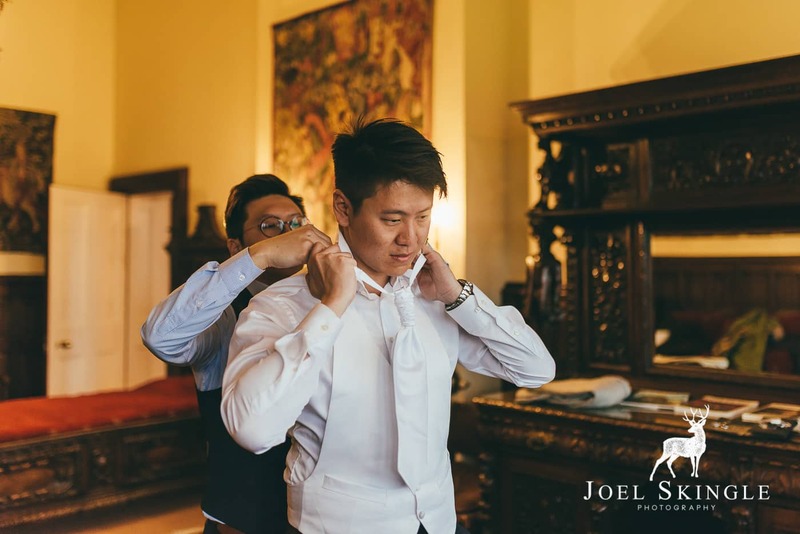 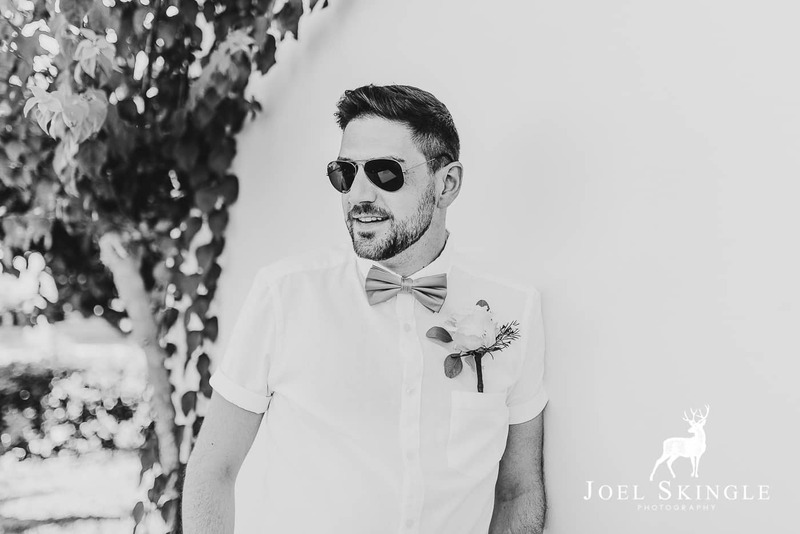 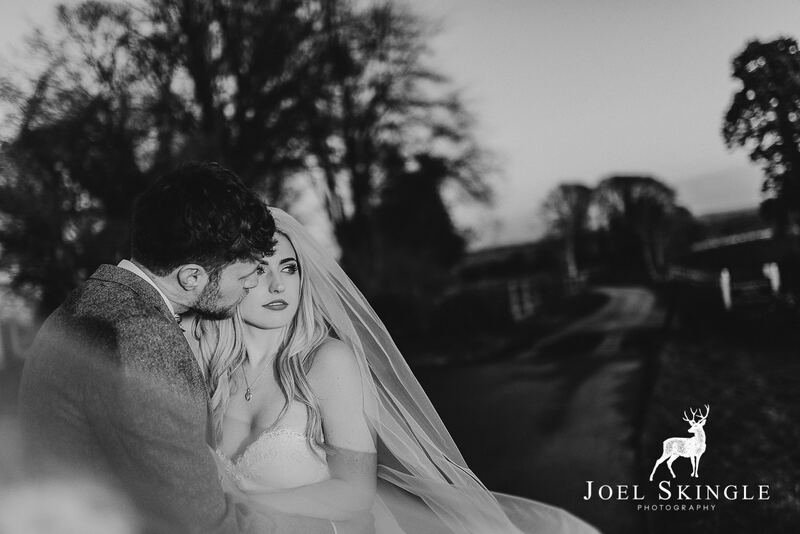 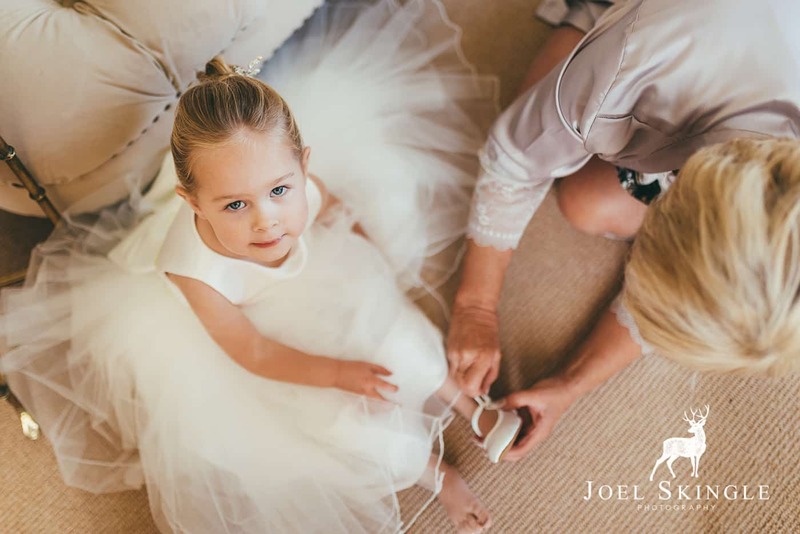 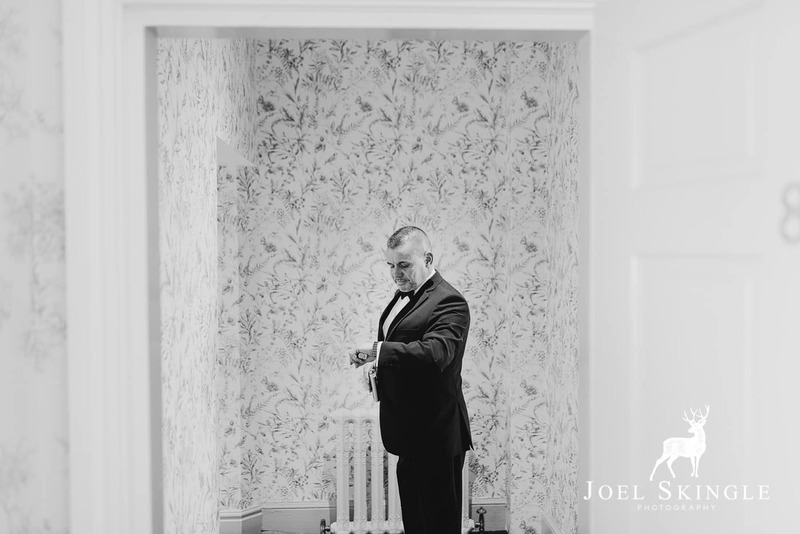 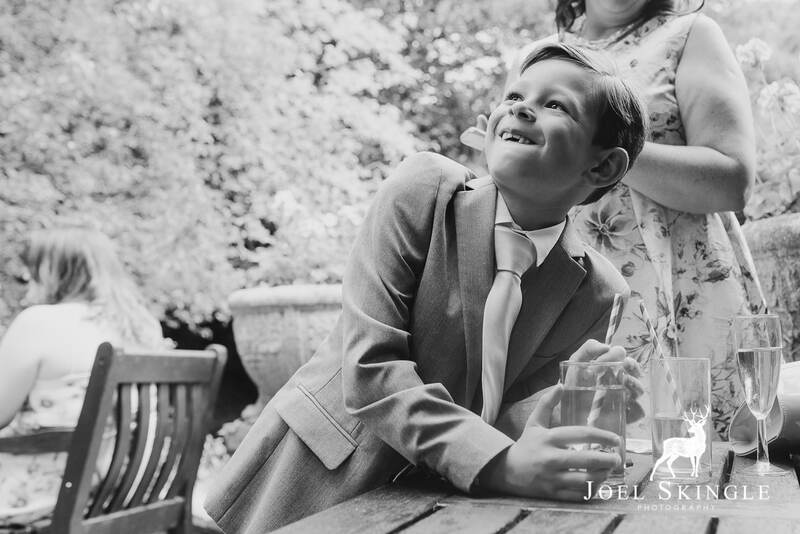 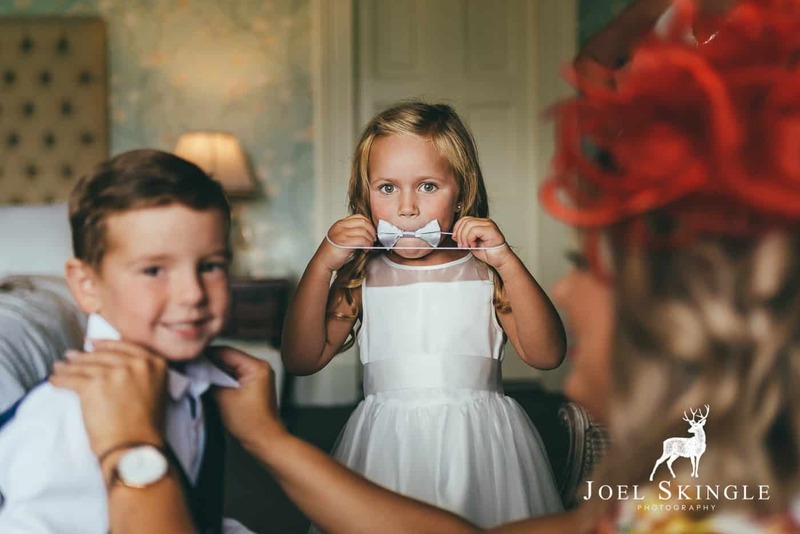 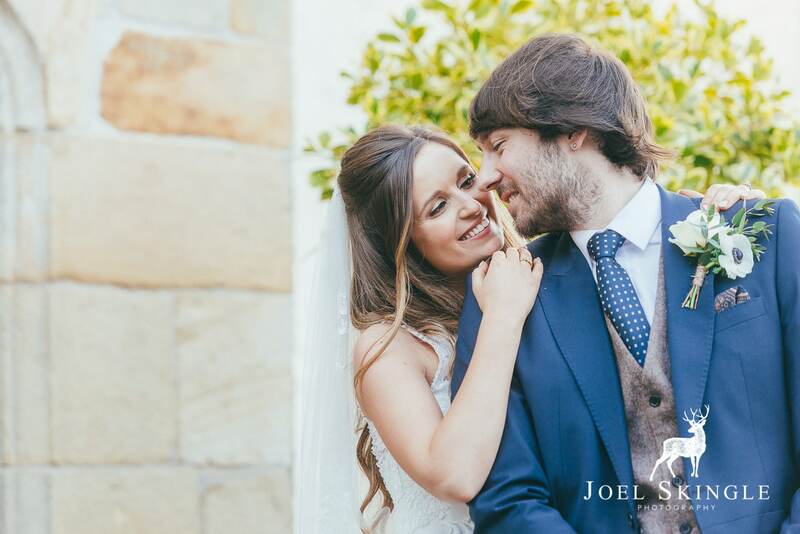 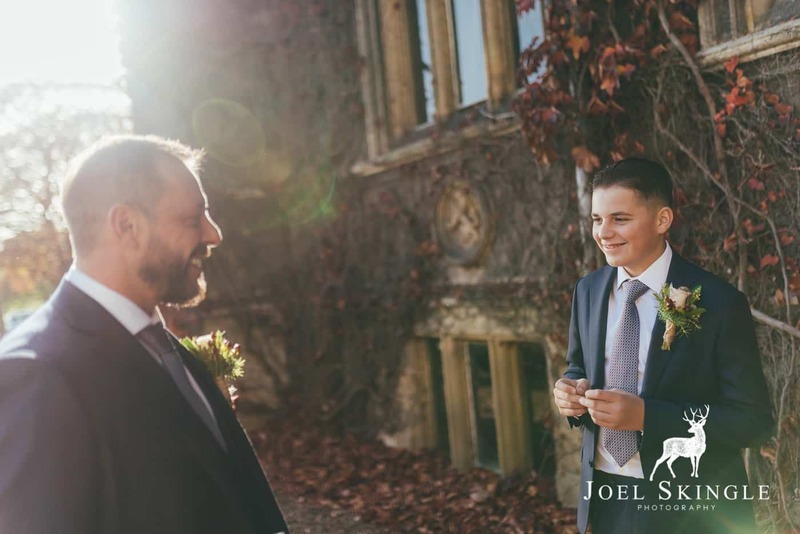 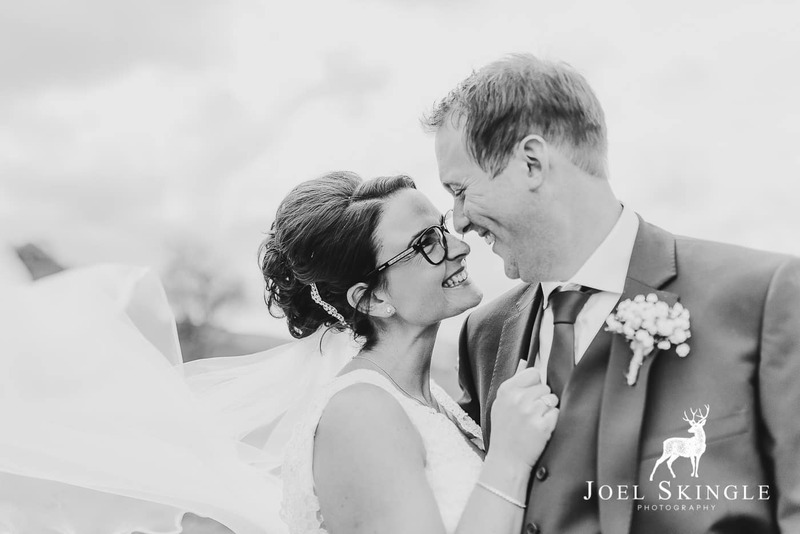 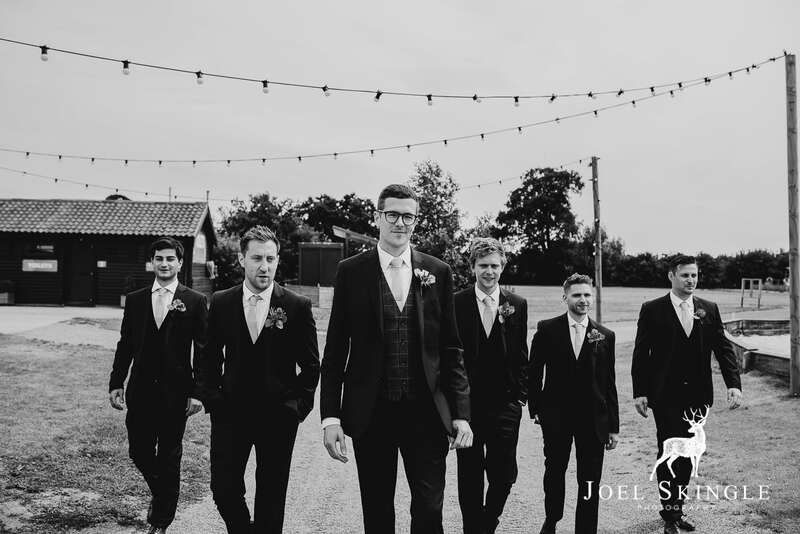 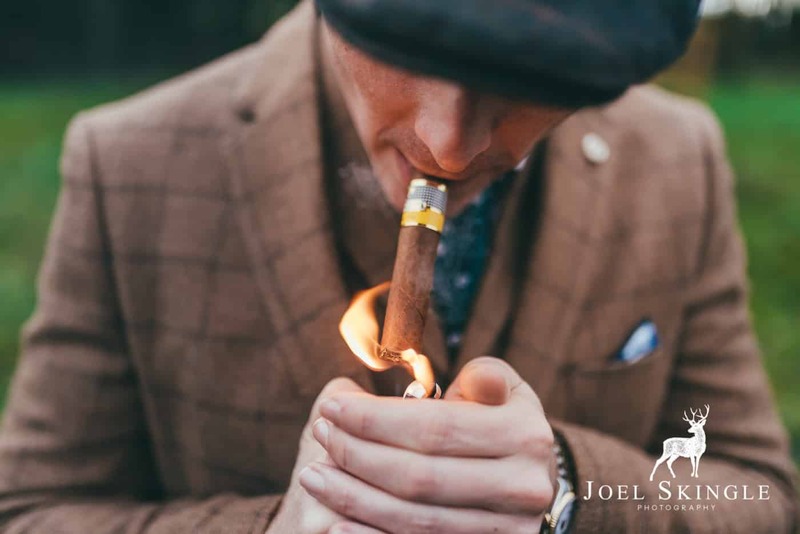 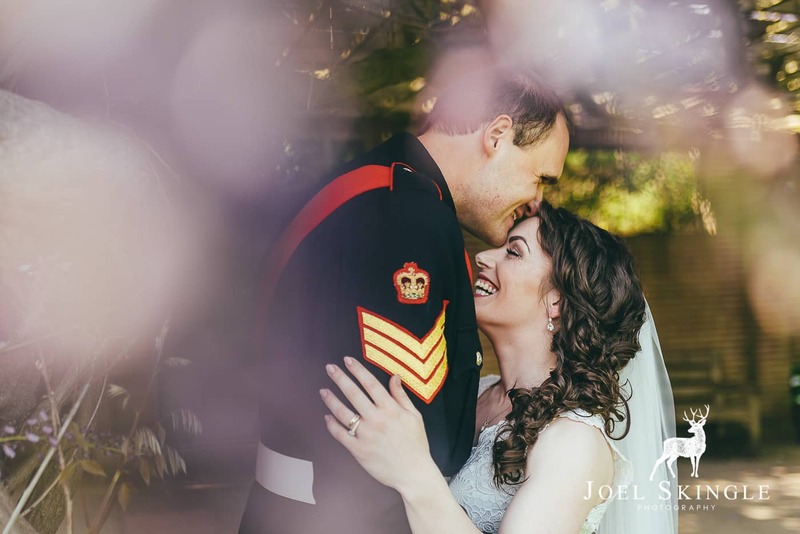 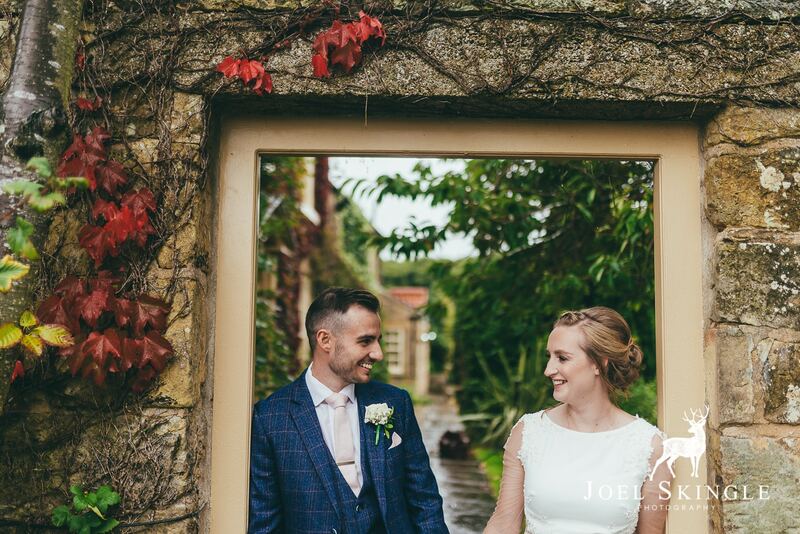 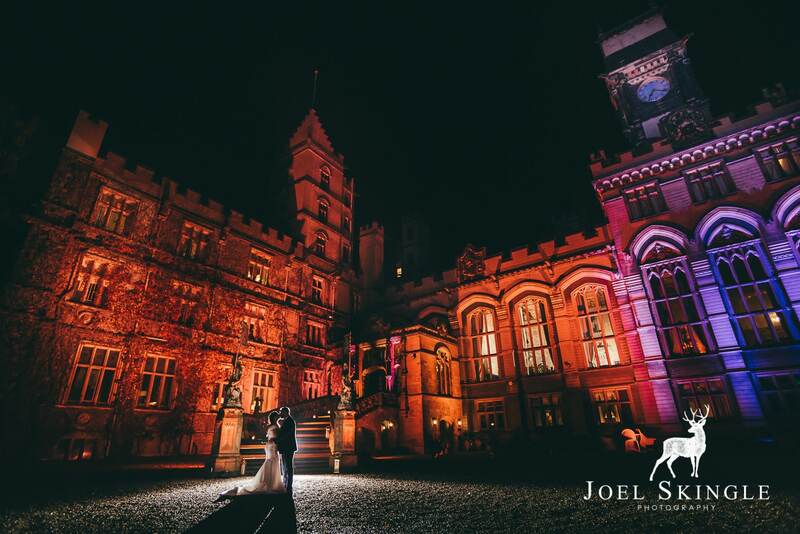 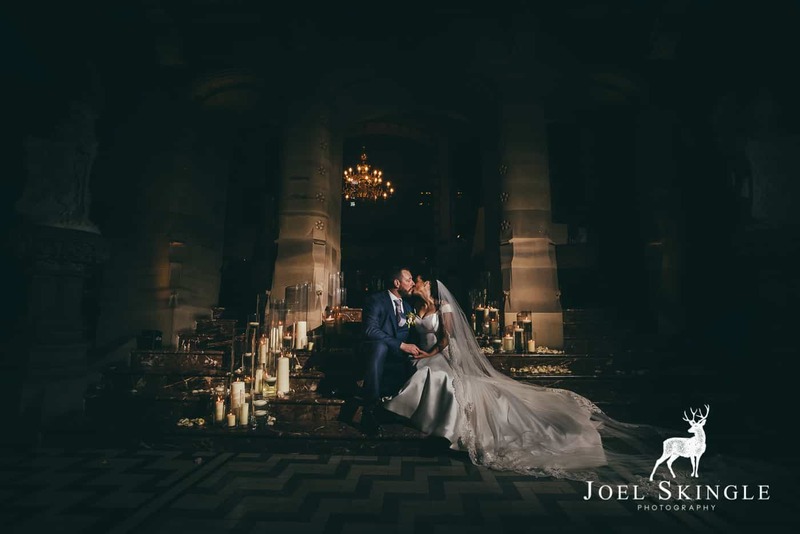 Having had Joel as our photographer we quickly found it’s about all the little details and boy did he smash it. 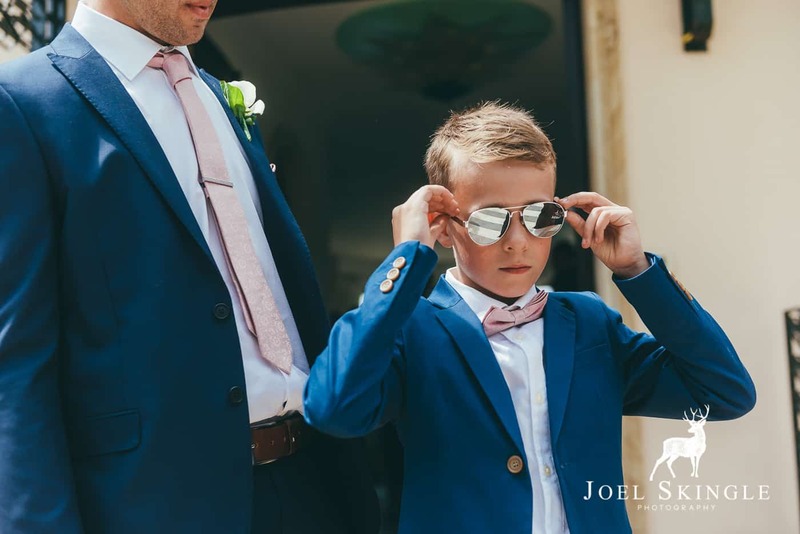 Some amazing frames in here buddy! 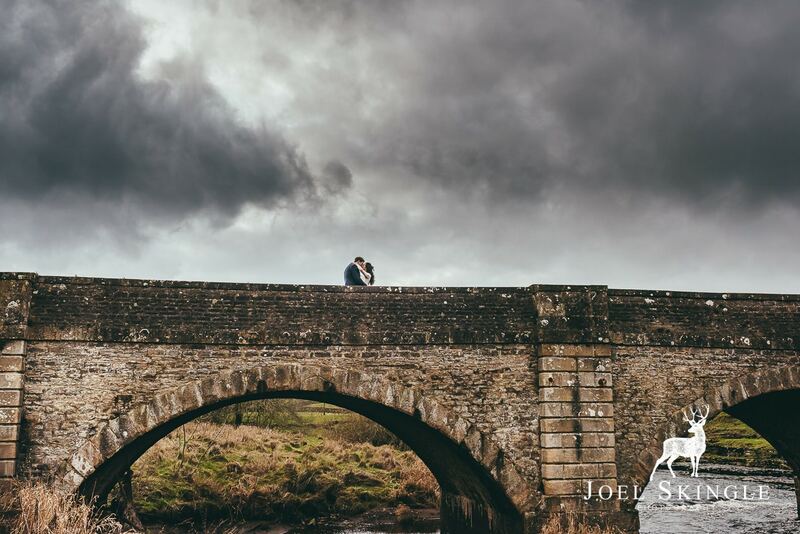 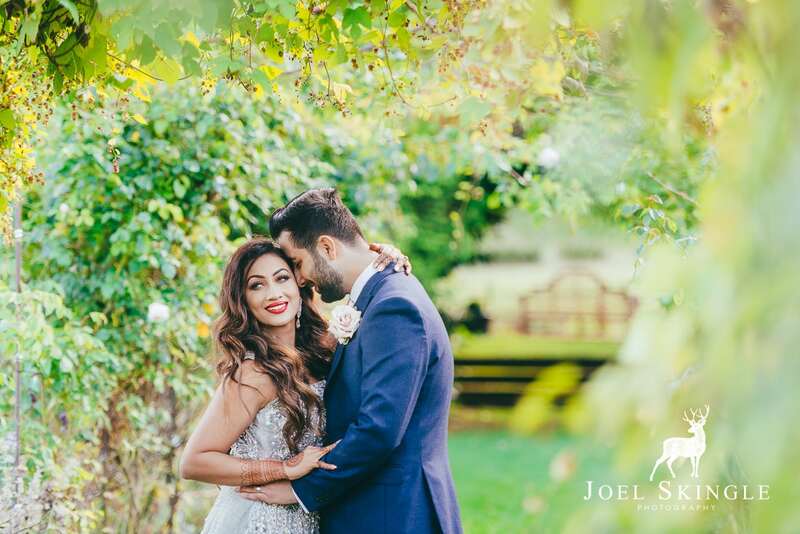 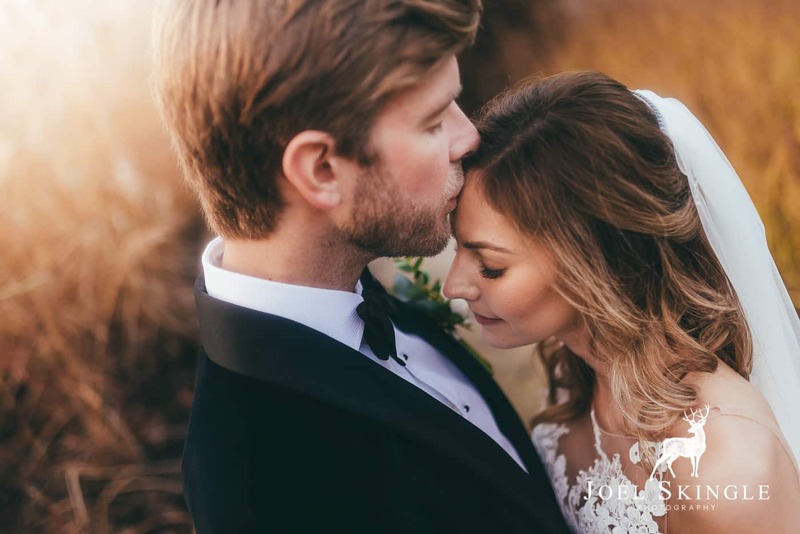 Brilliant work and such lucky couples to have an amazing photographer! 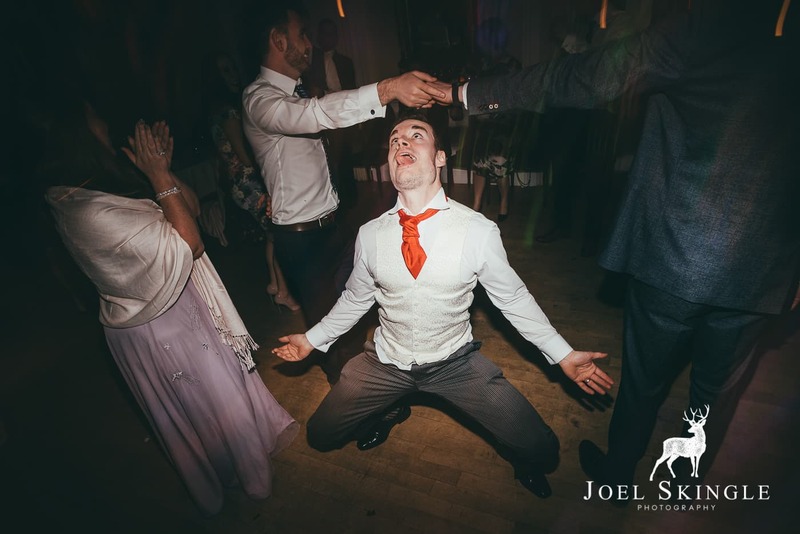 Wow mate, that was quite a ride! 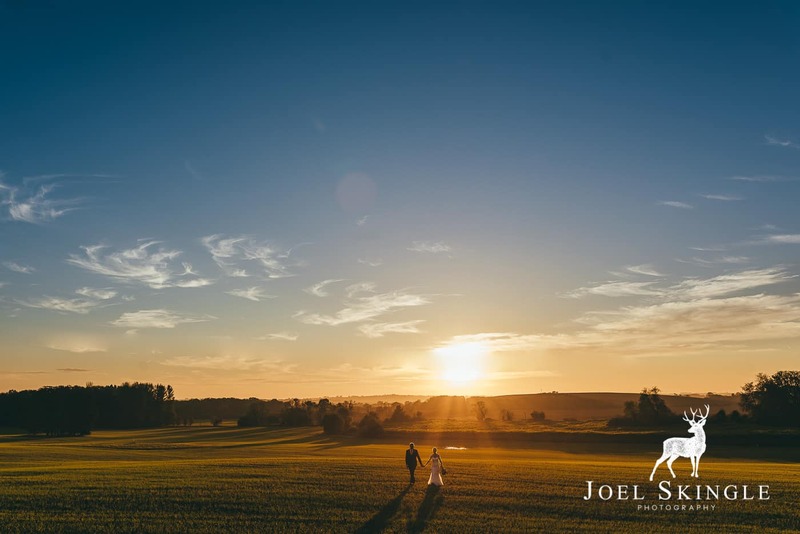 has to be your best year yet. 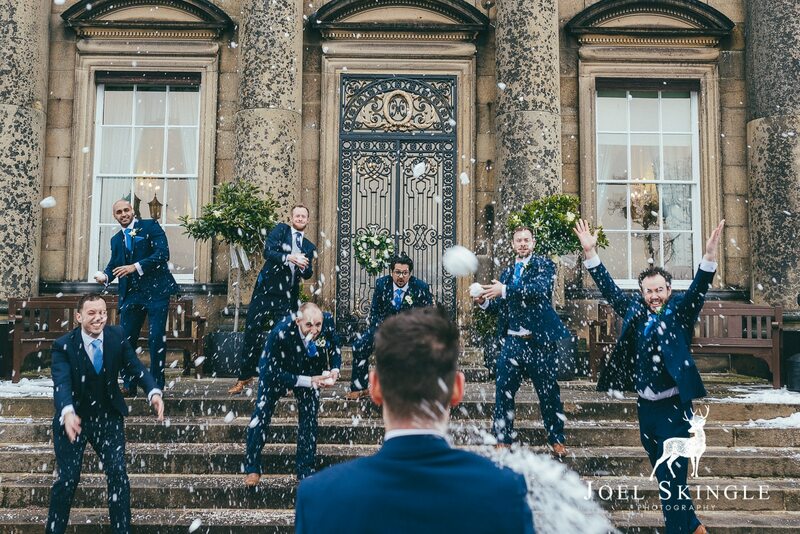 Epic stuff! 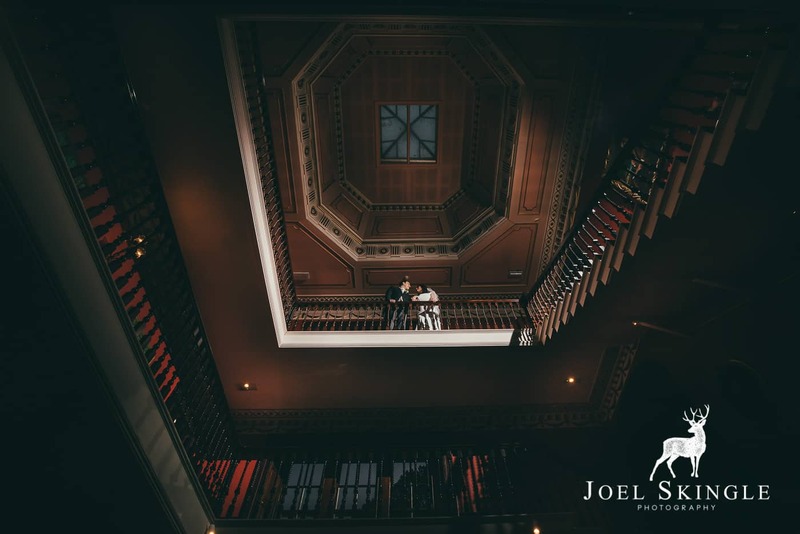 Amazing work Joel, loved looking through these! 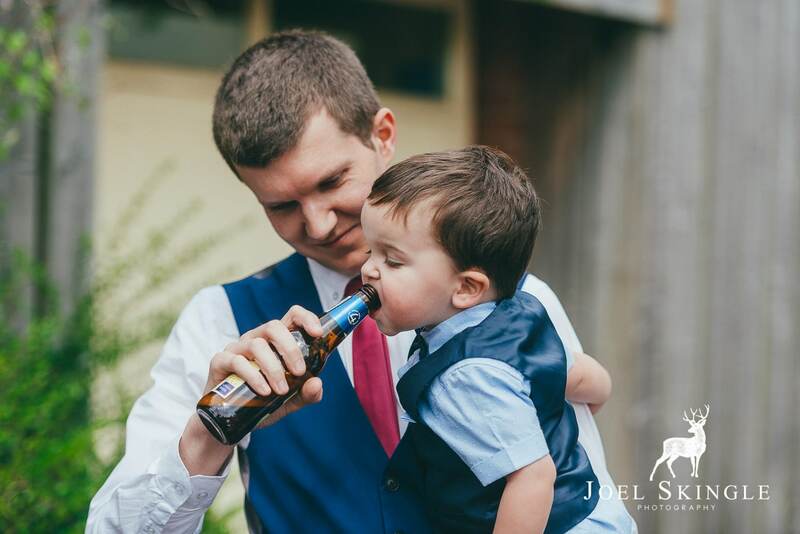 Pretty inspirational. 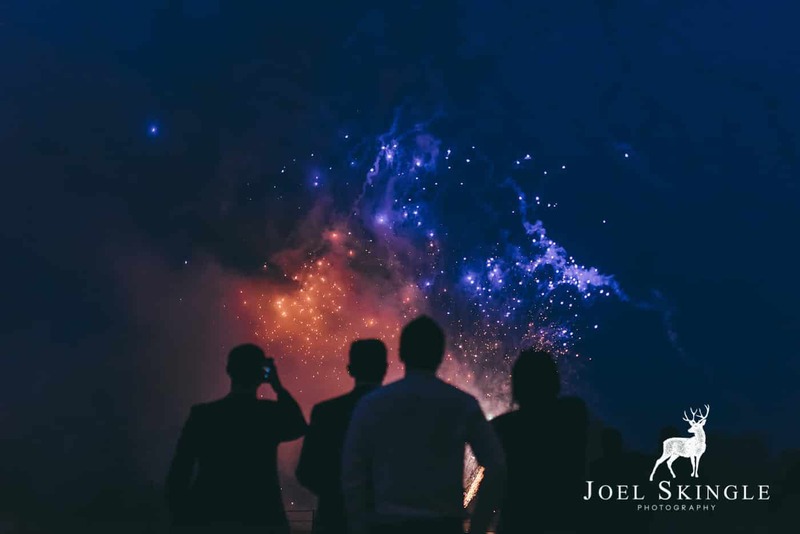 Hope you have an even better 2019!